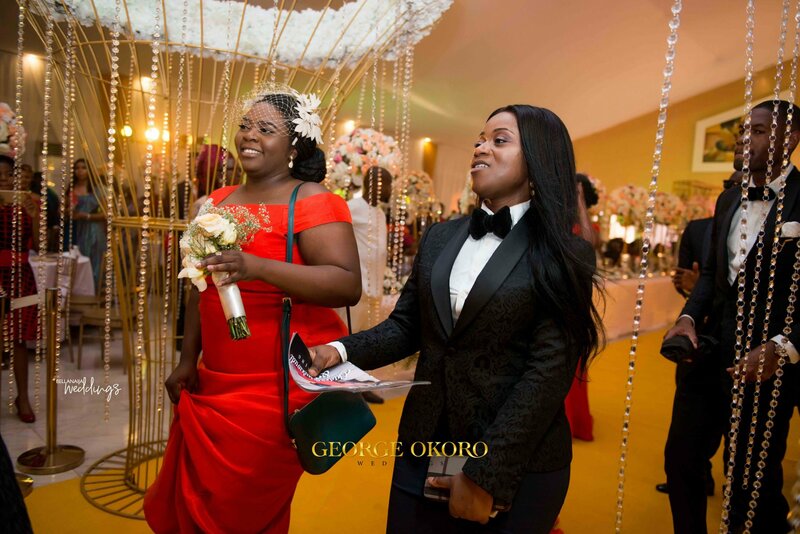 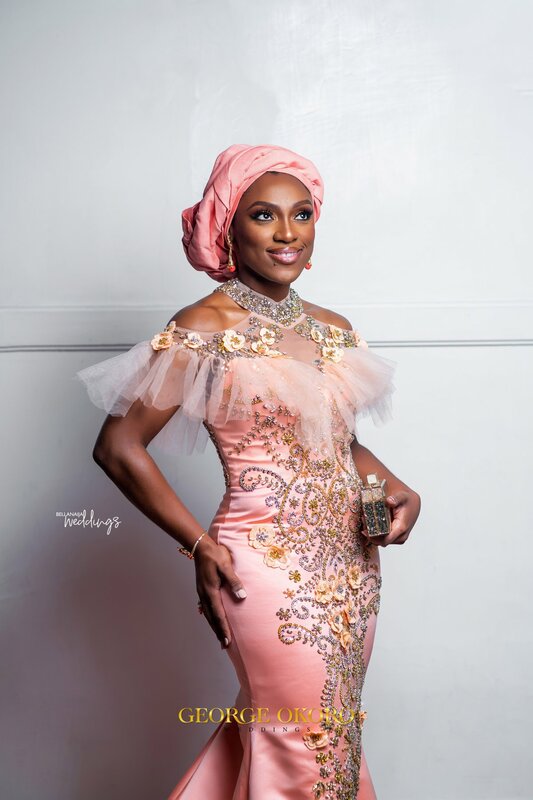 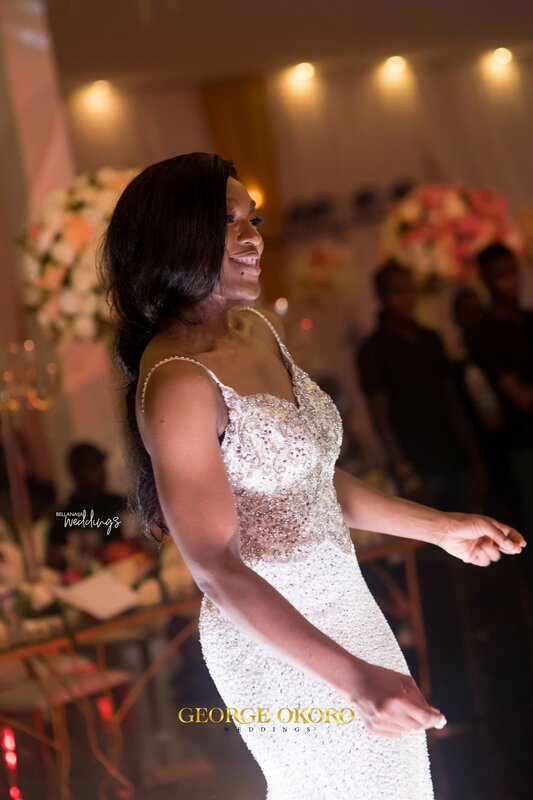 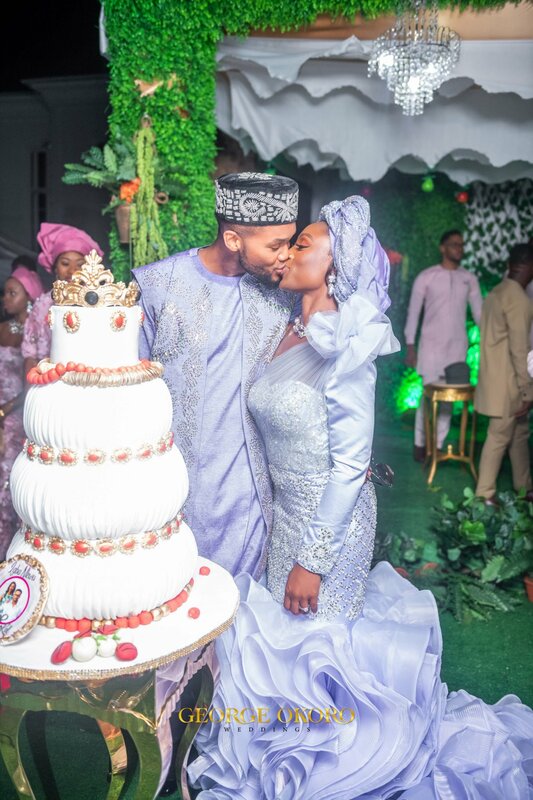 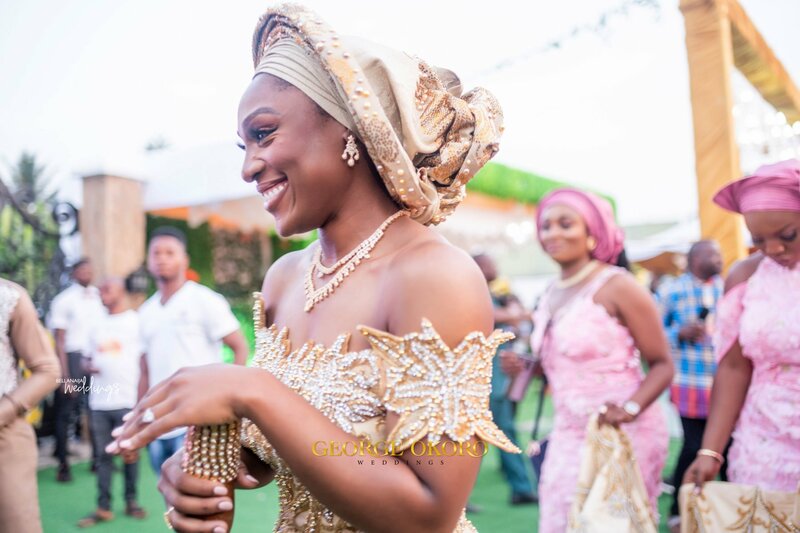 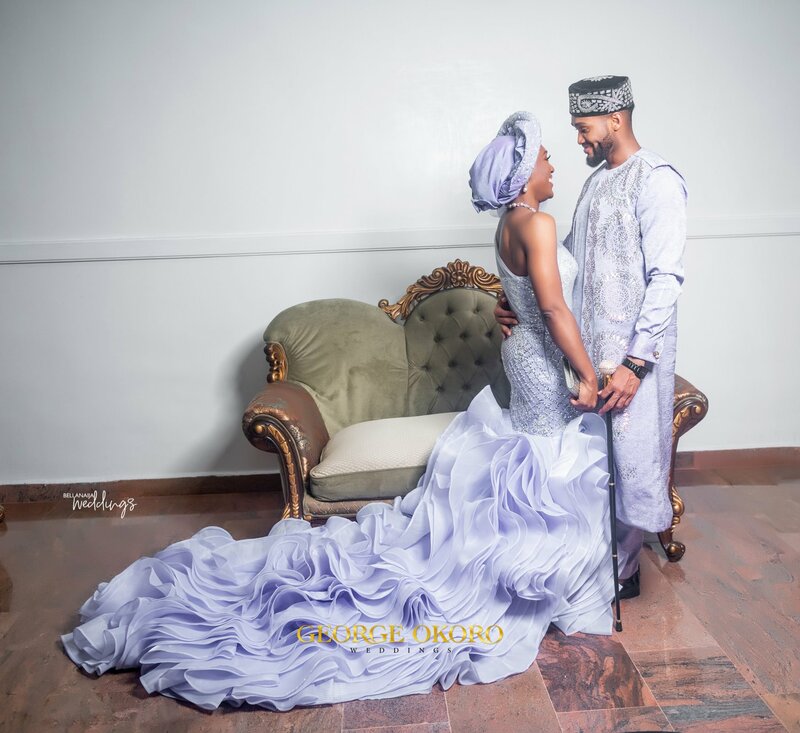 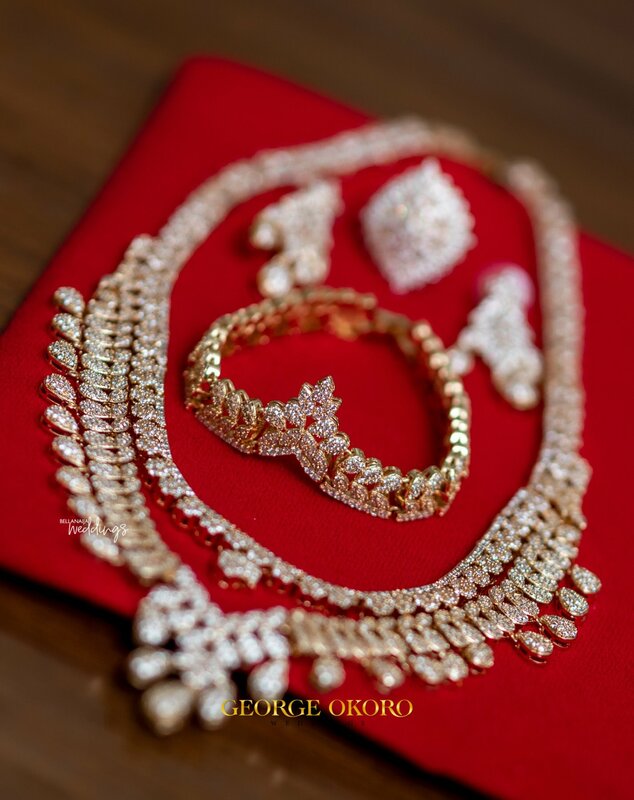 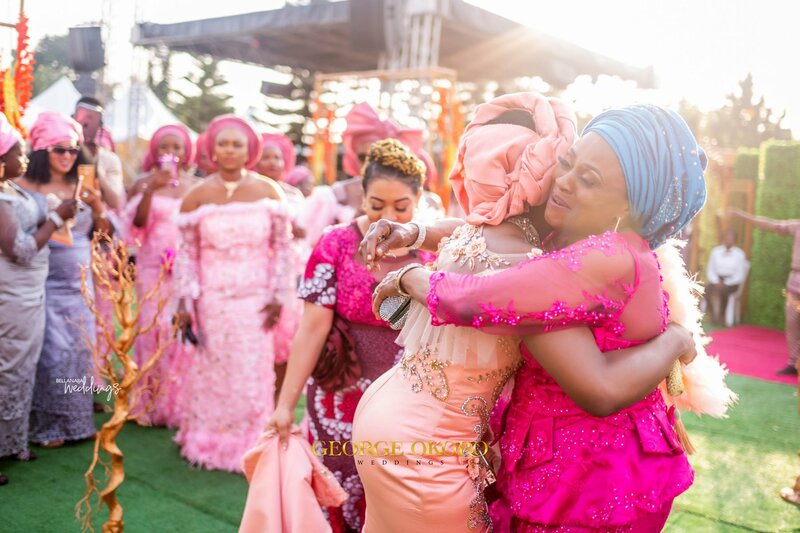 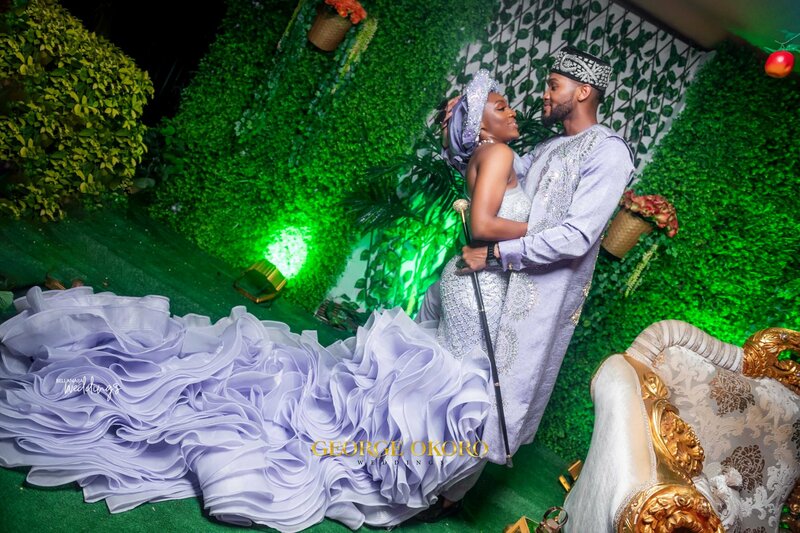 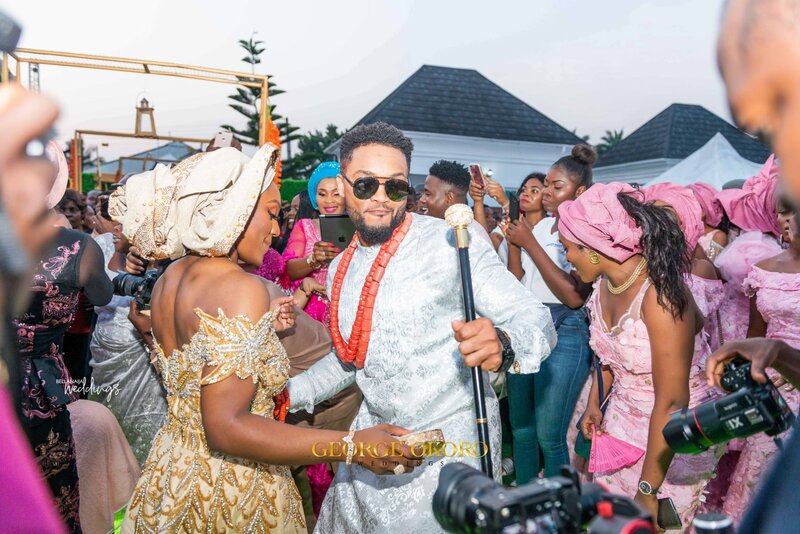 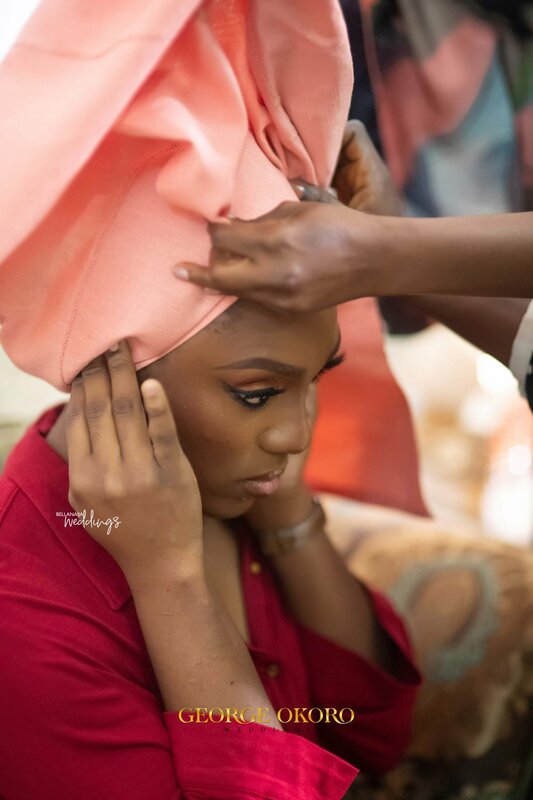 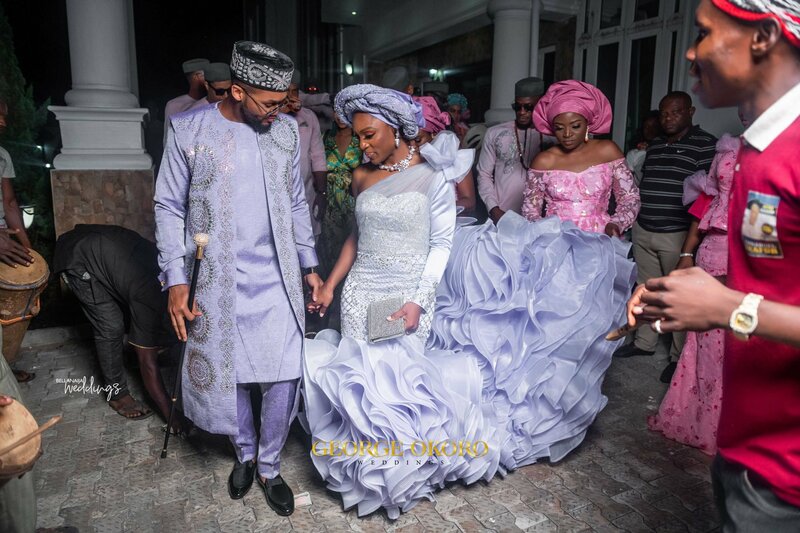 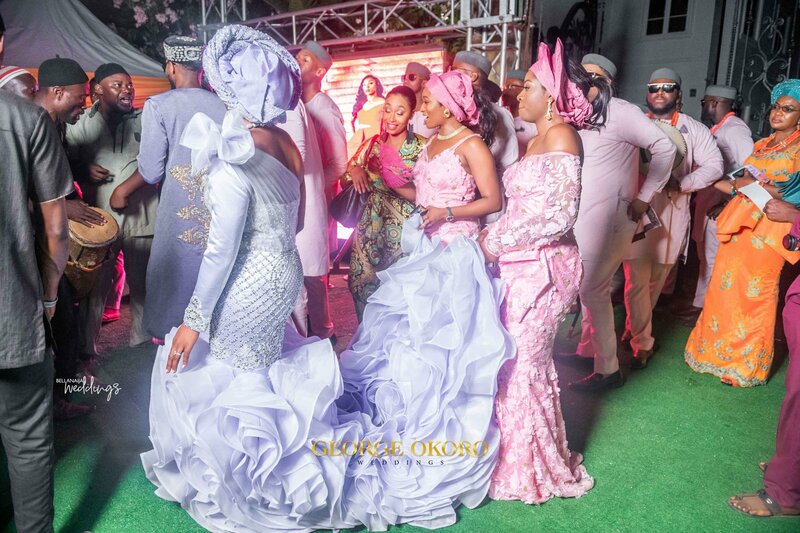 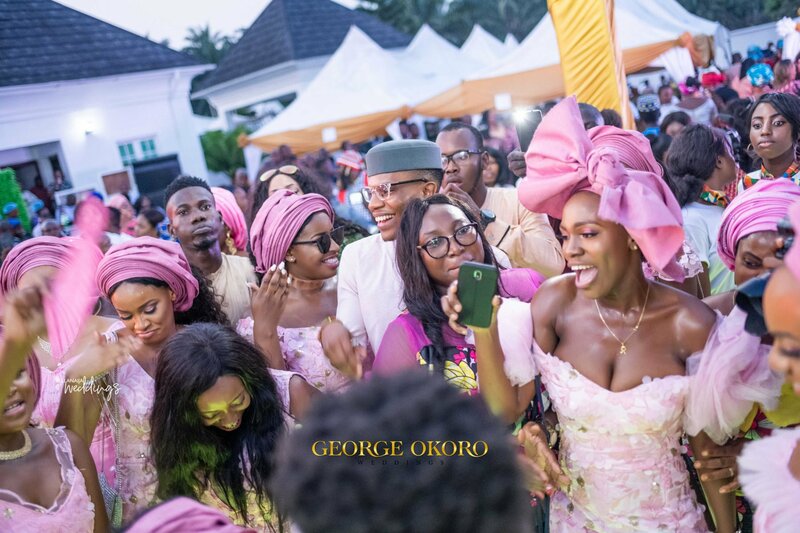 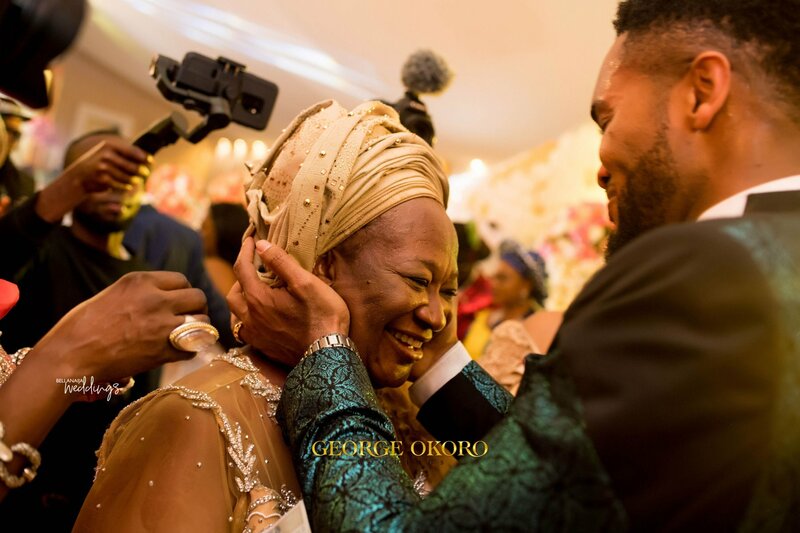 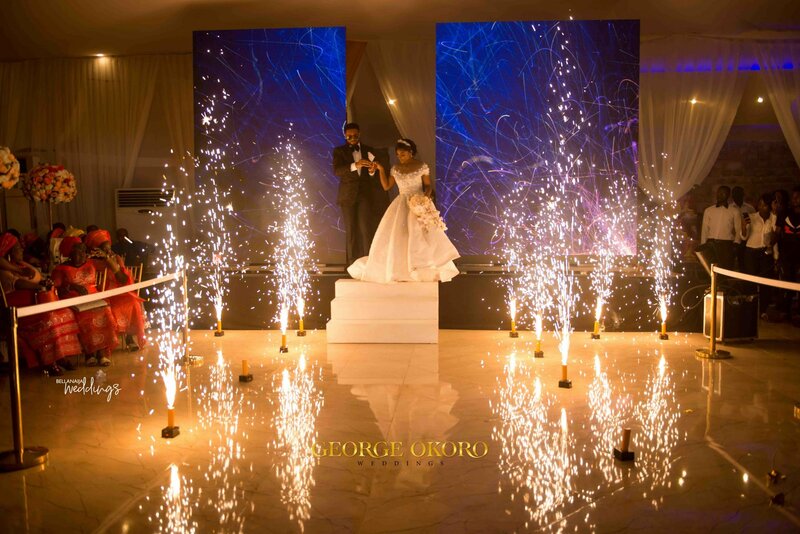 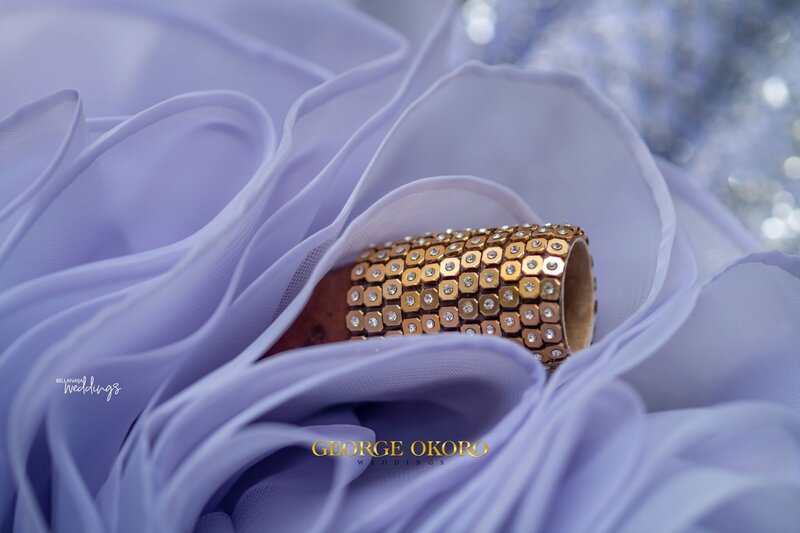 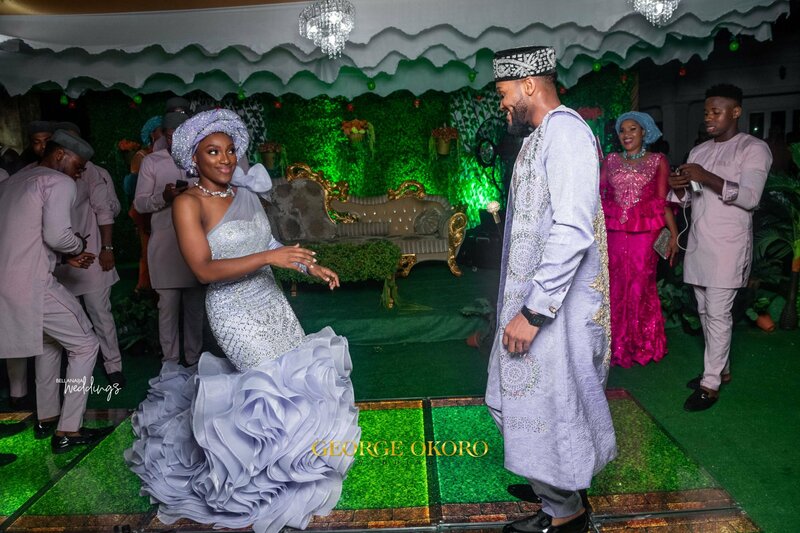 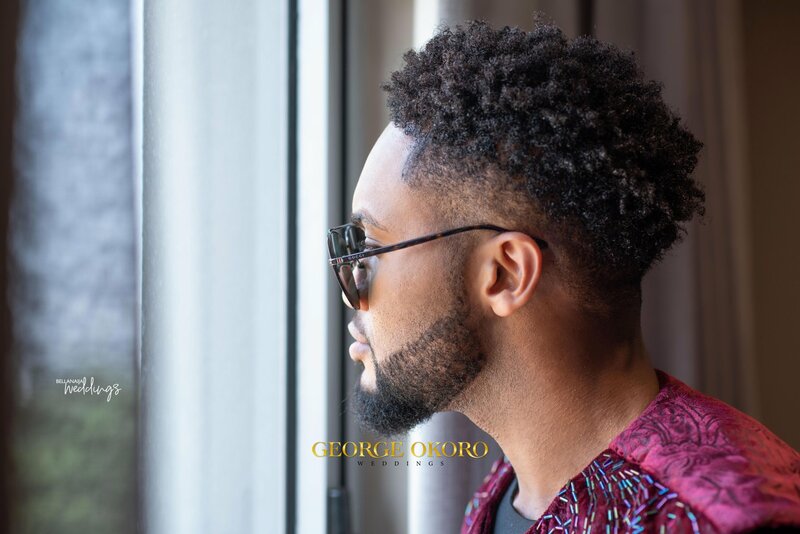 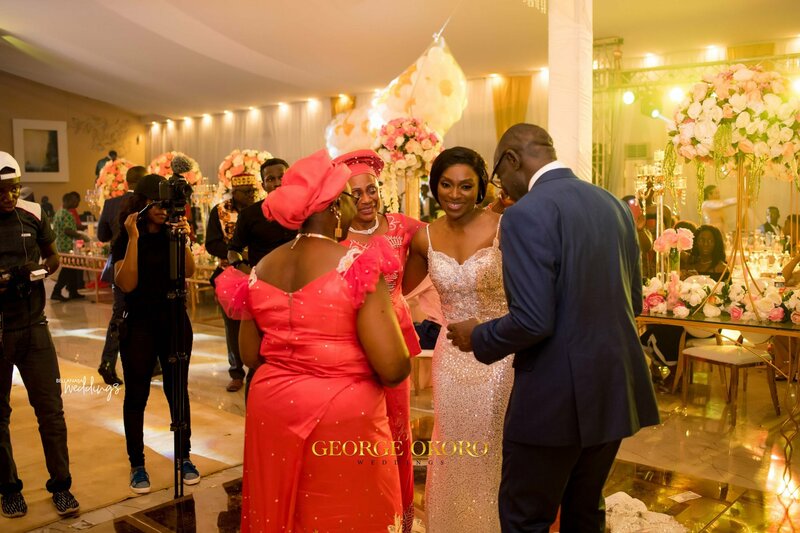 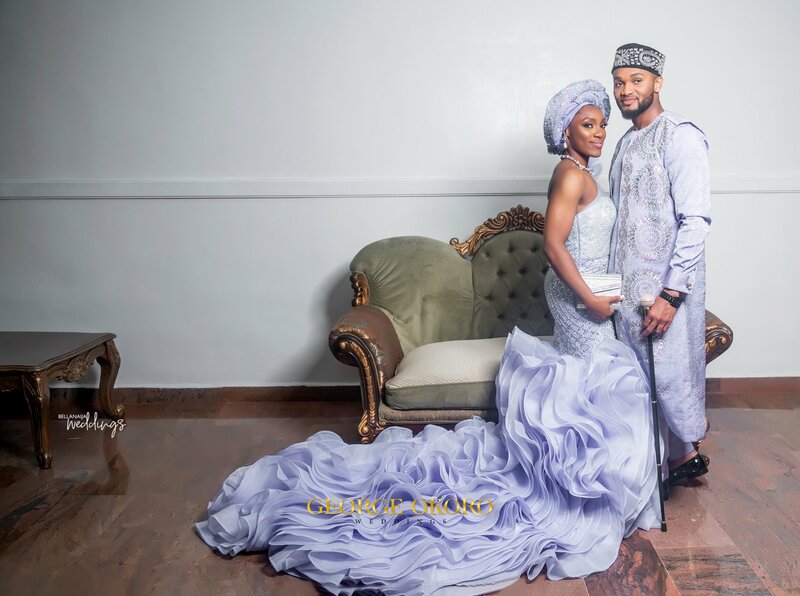 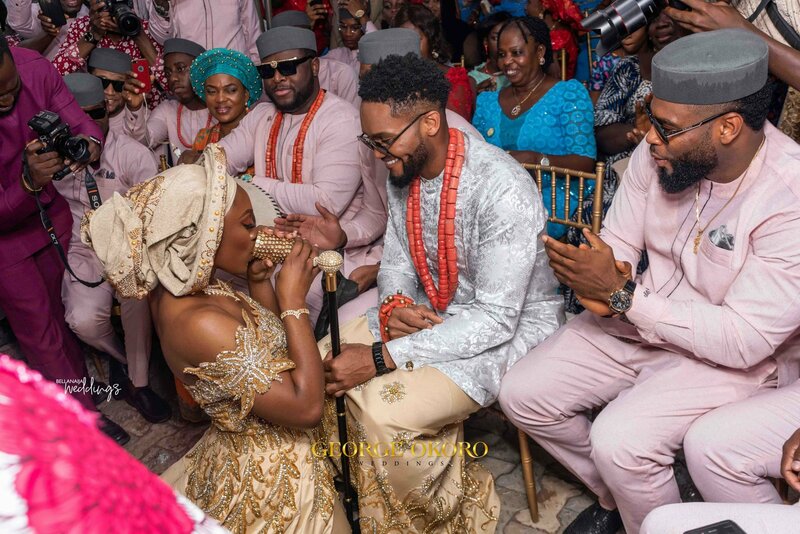 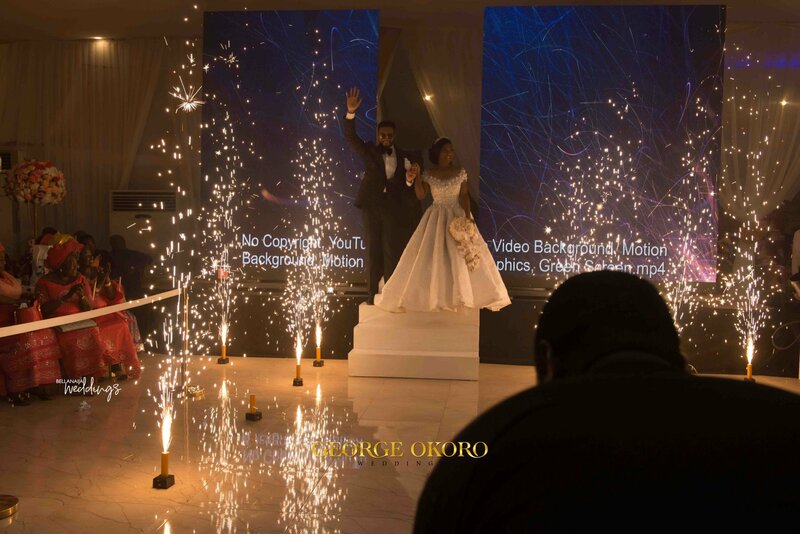 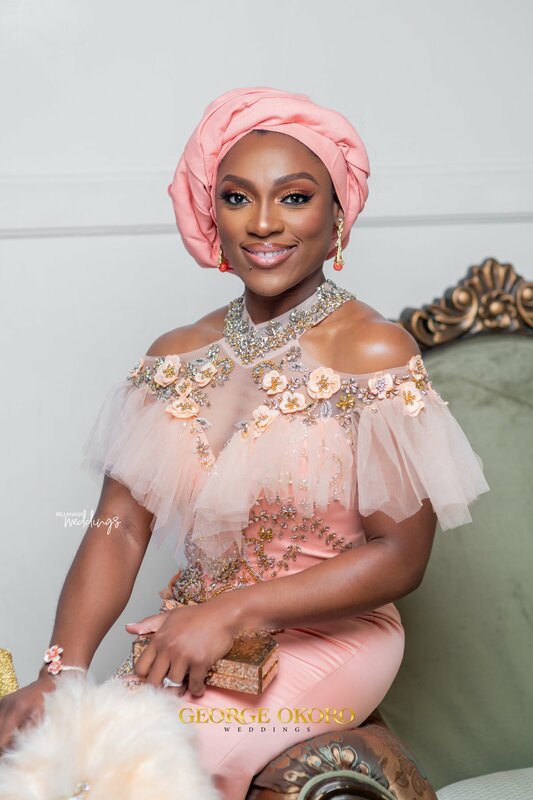 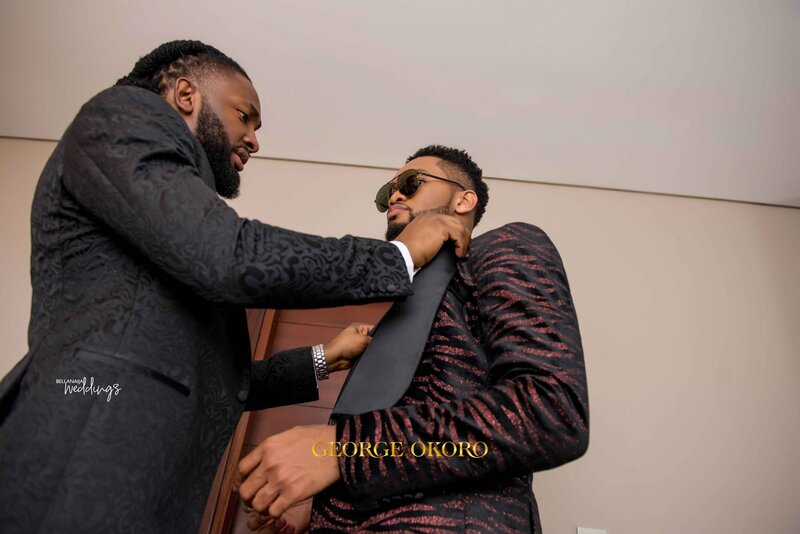 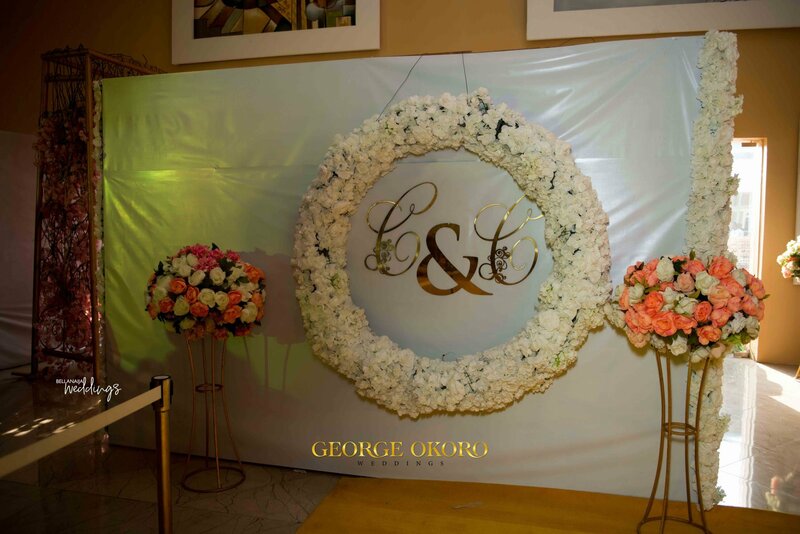 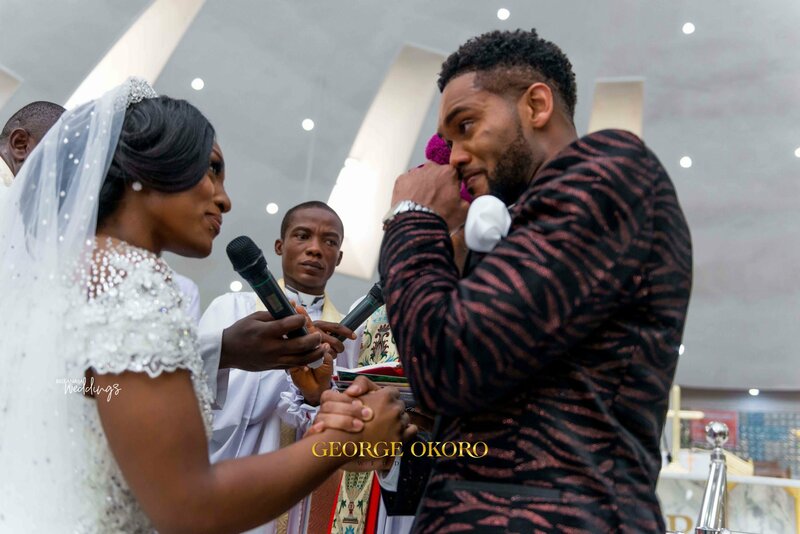 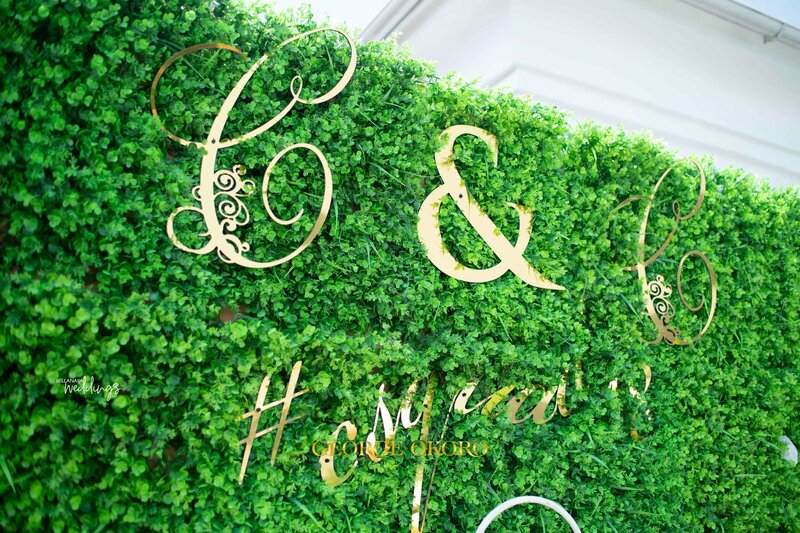 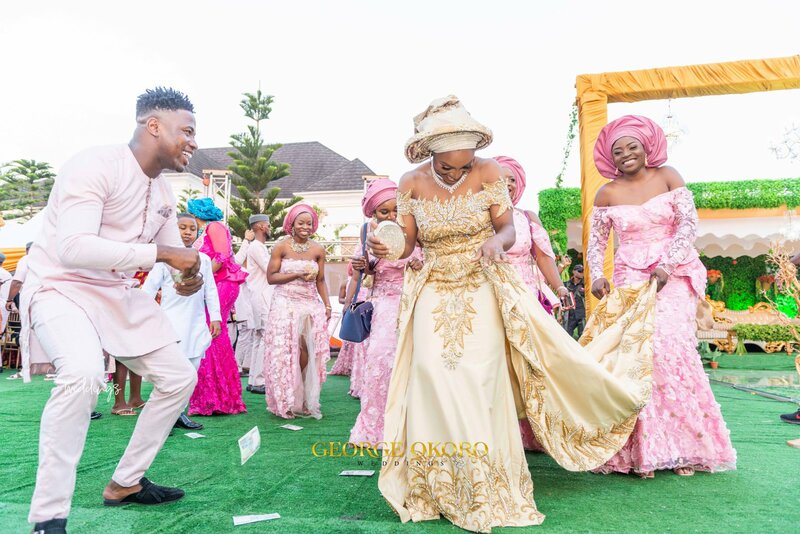 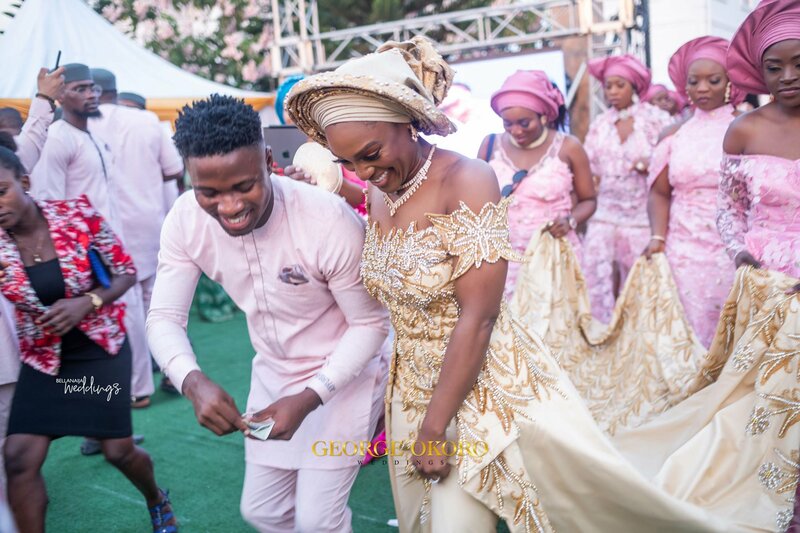 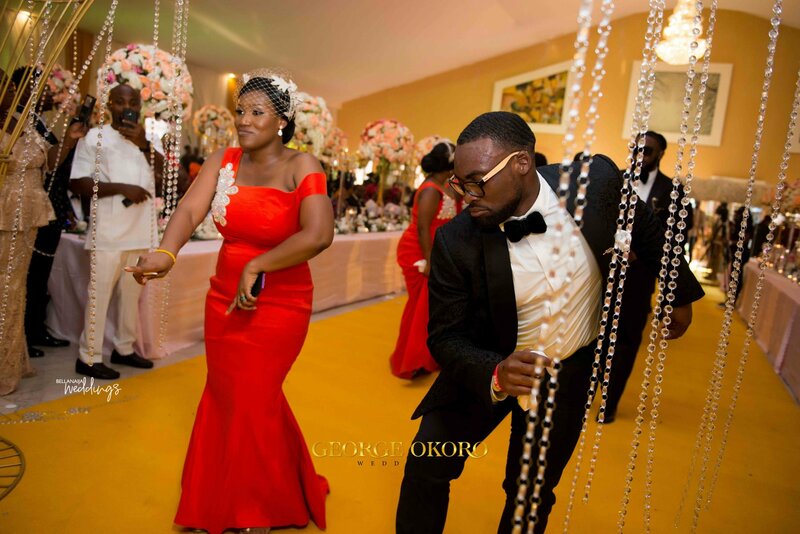 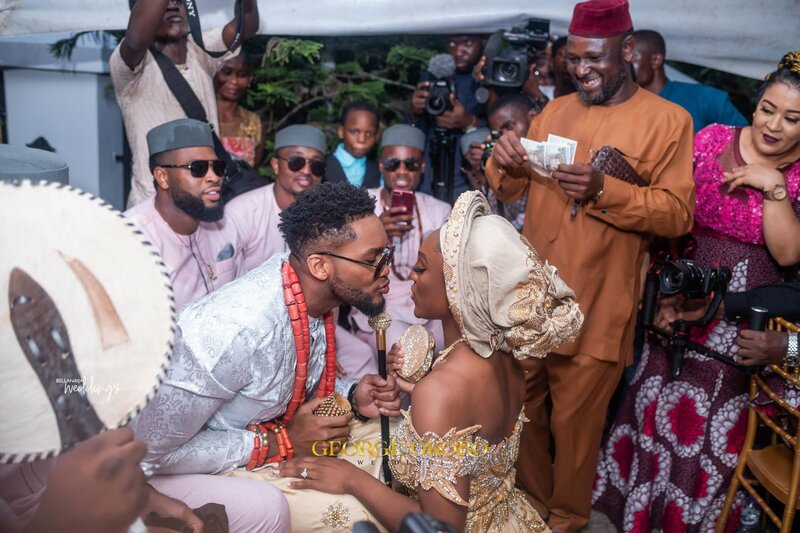 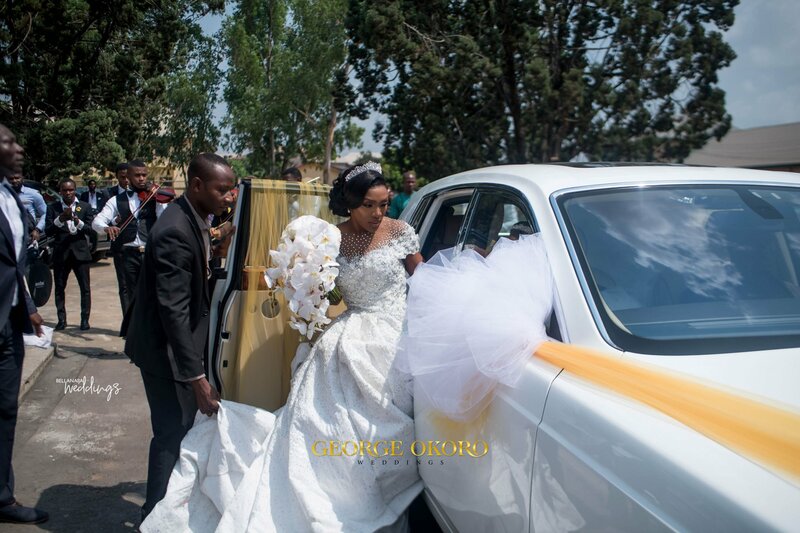 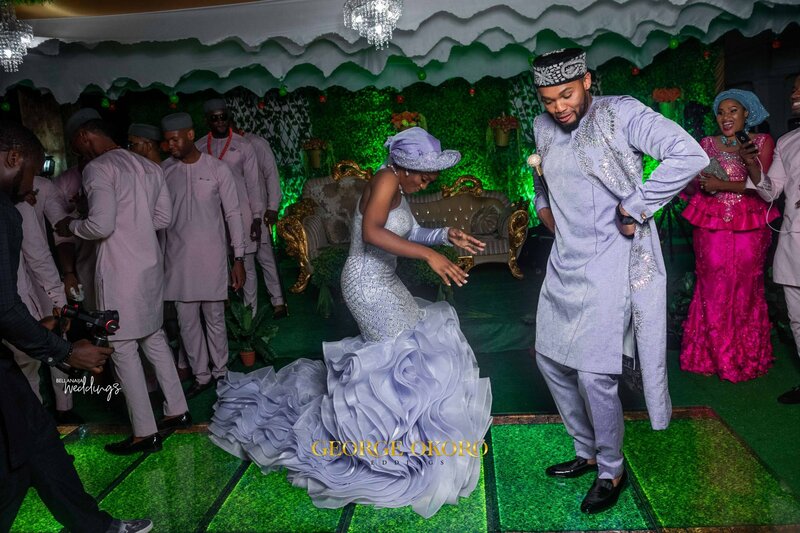 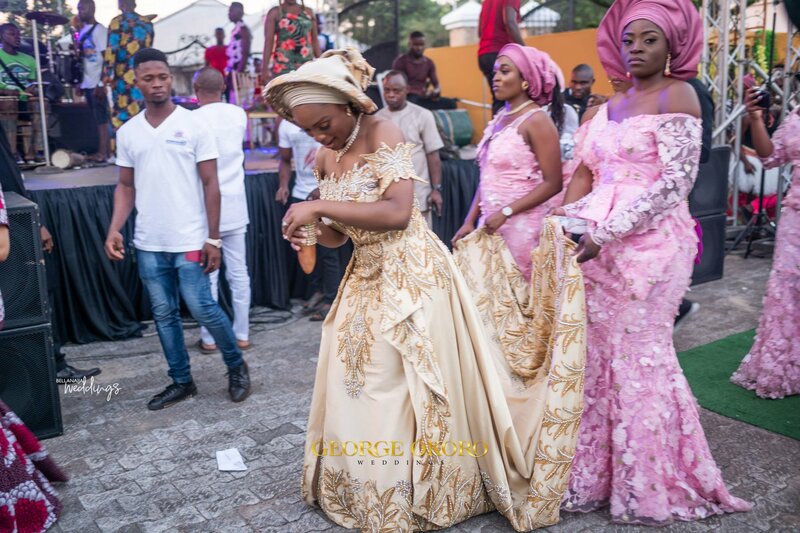 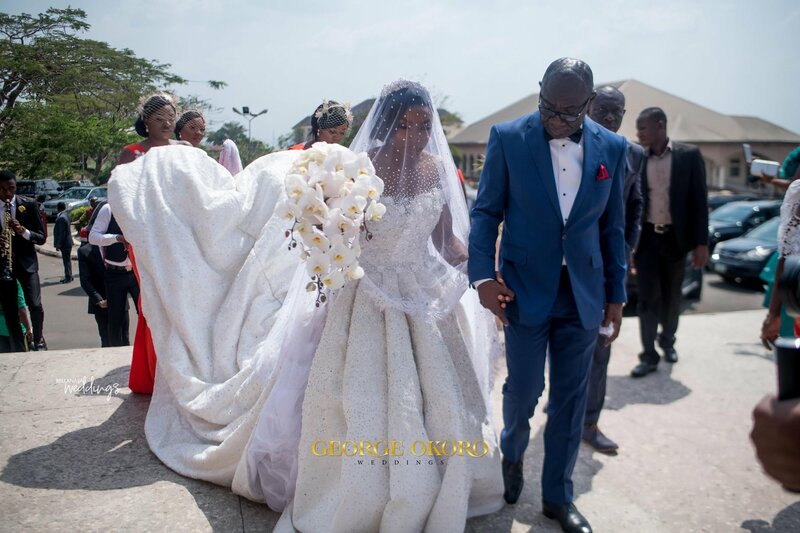 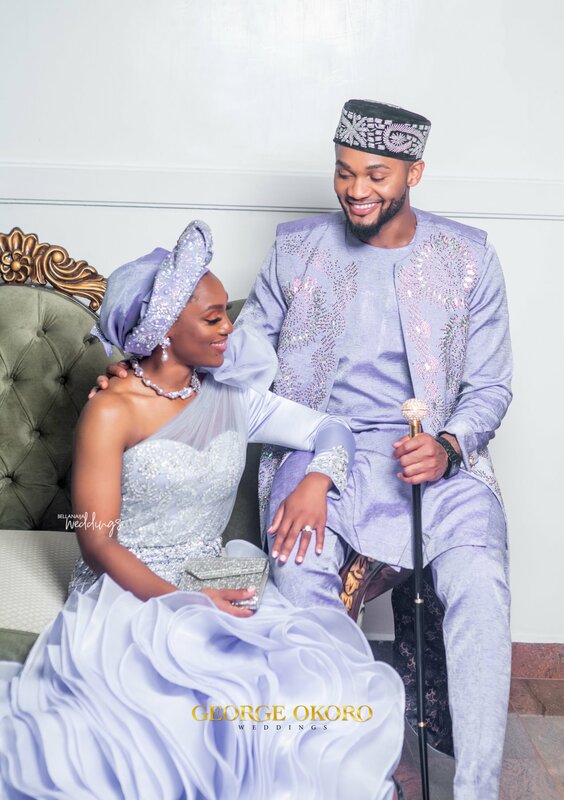 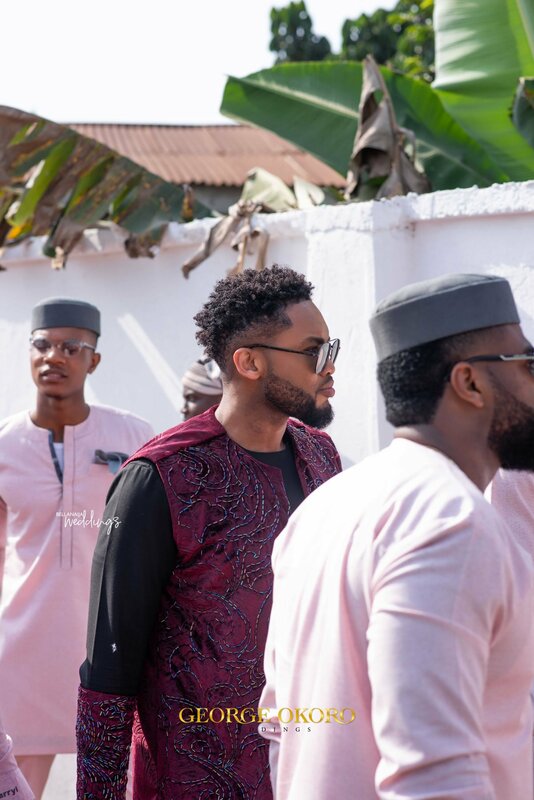 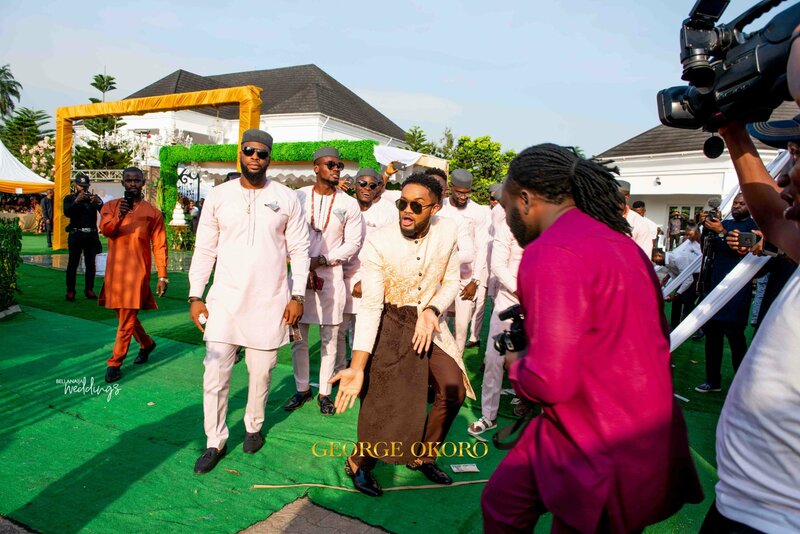 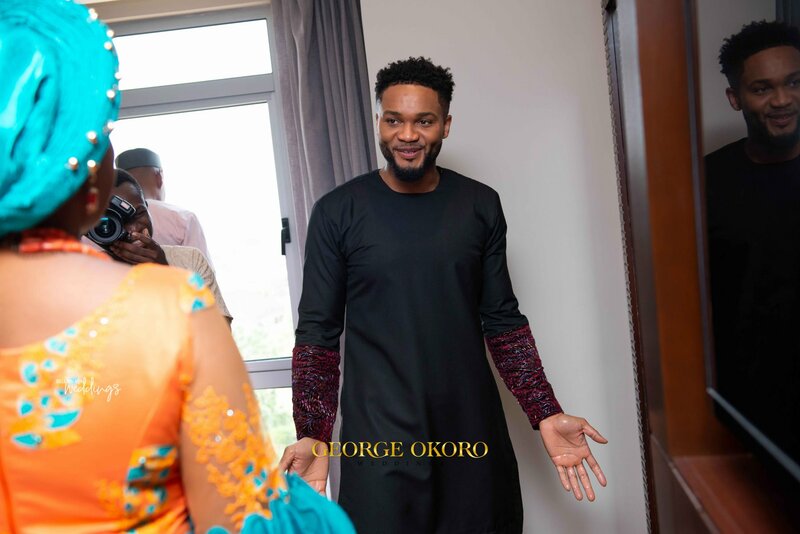 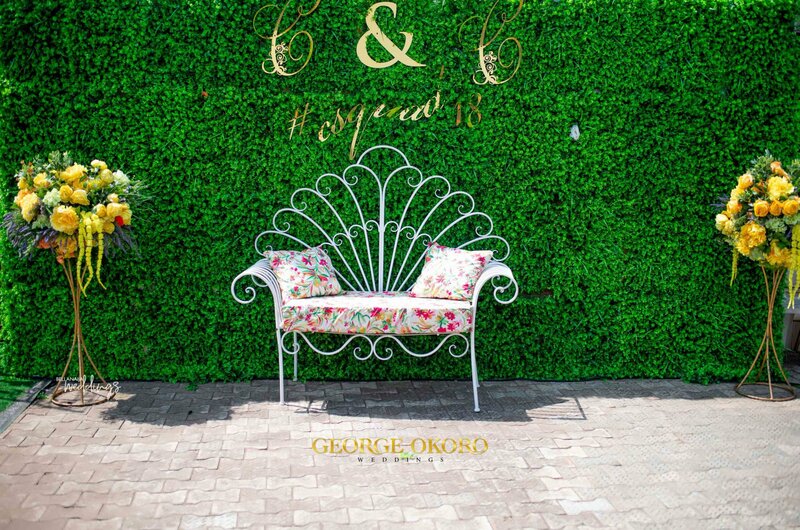 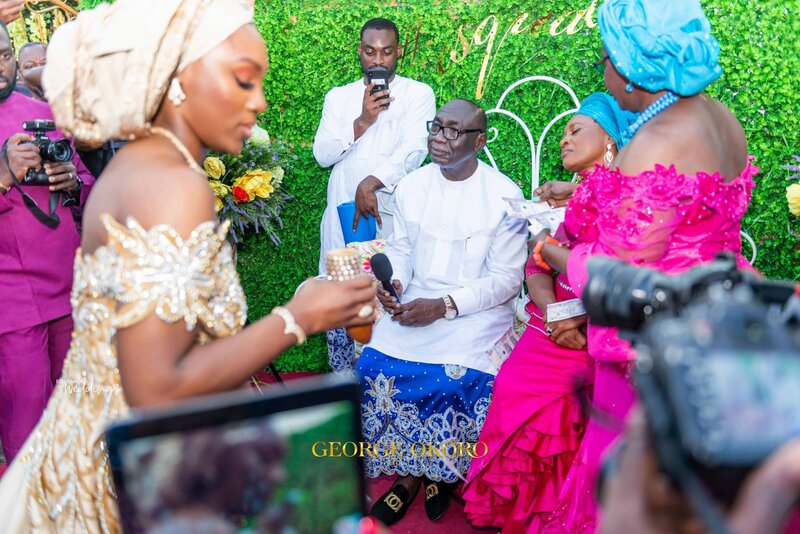 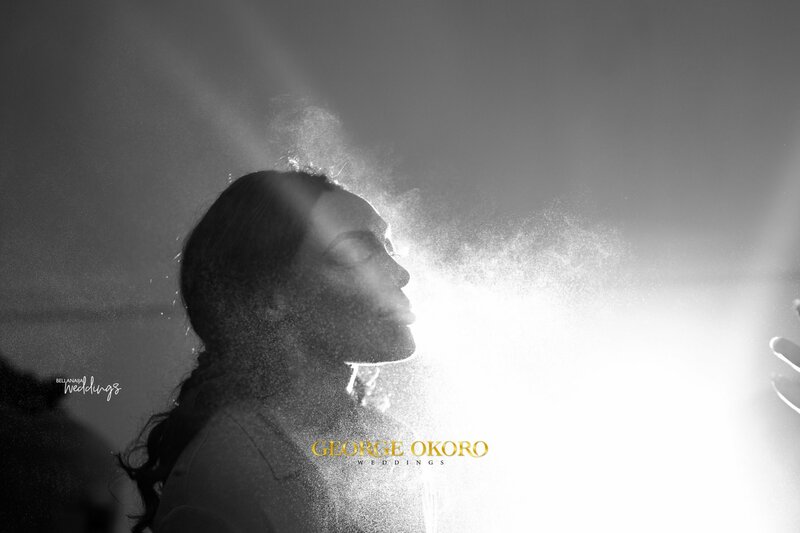 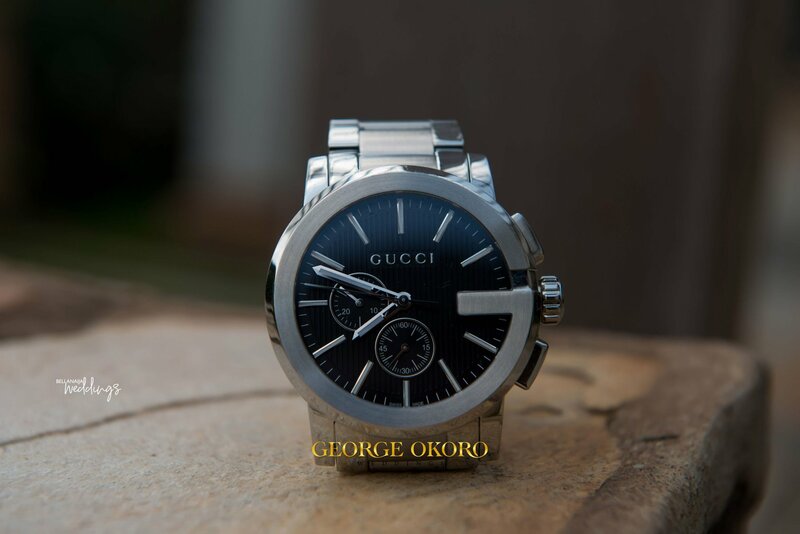 Chidera and Chukwudi‘s wedding will give you that wow expression. 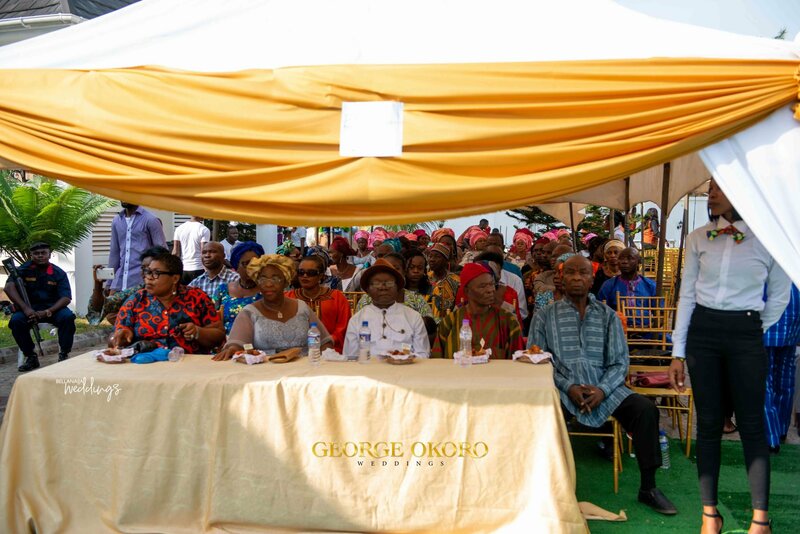 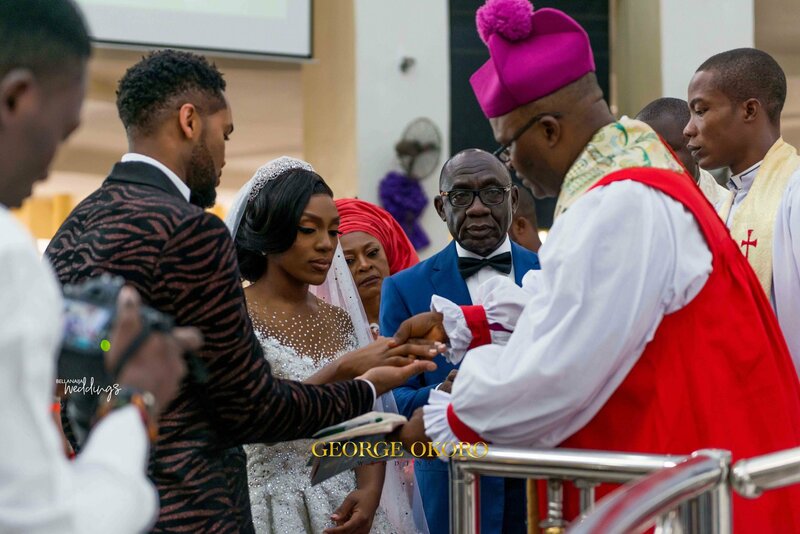 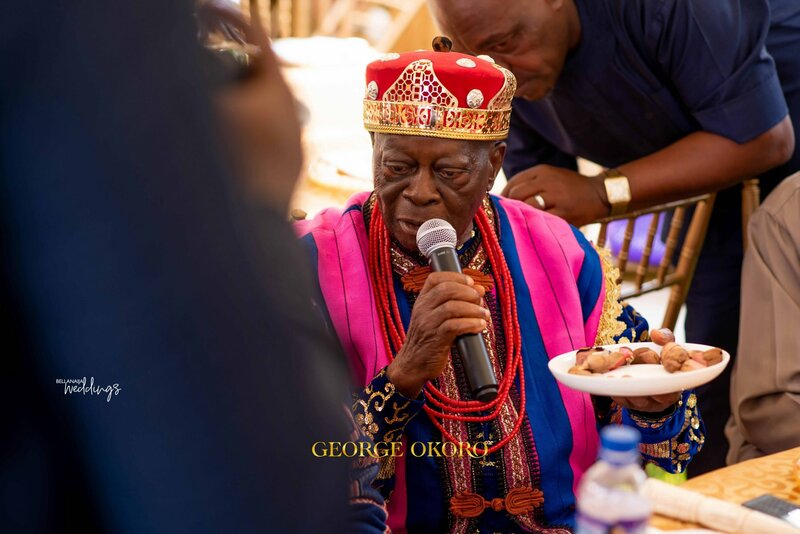 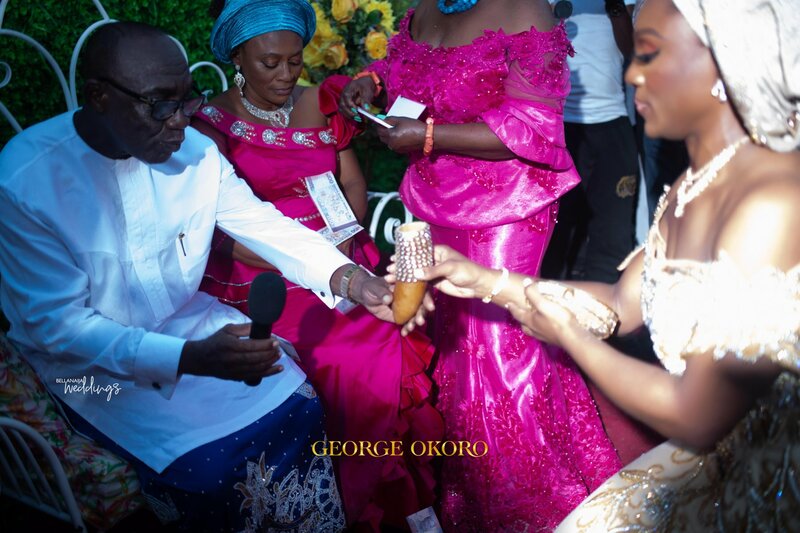 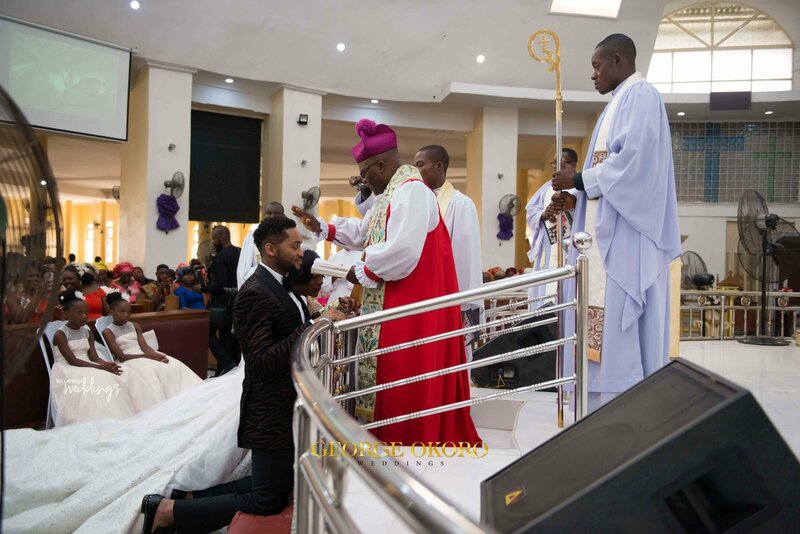 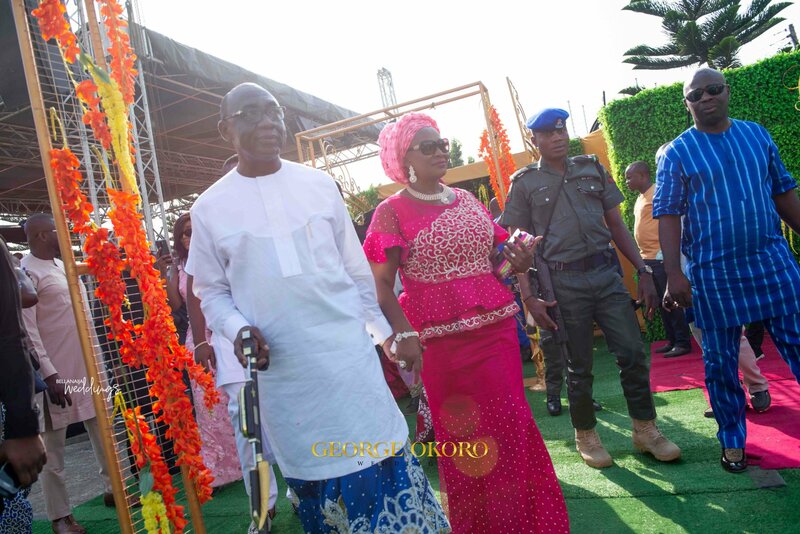 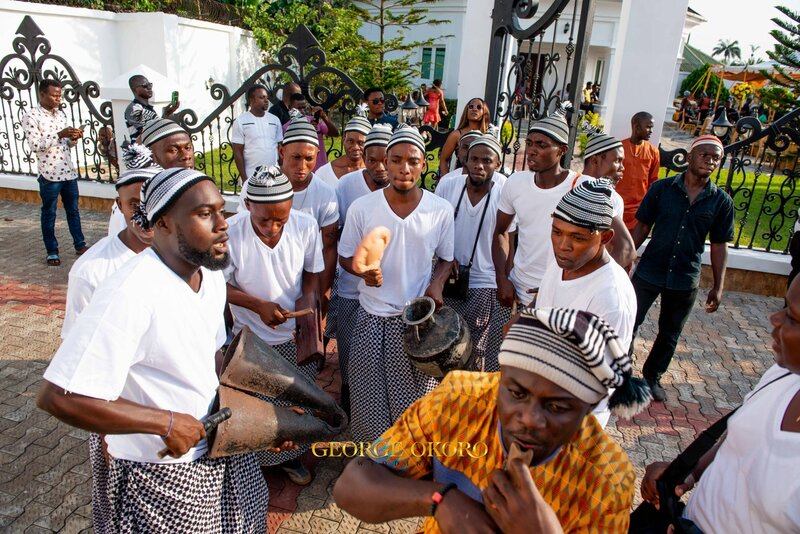 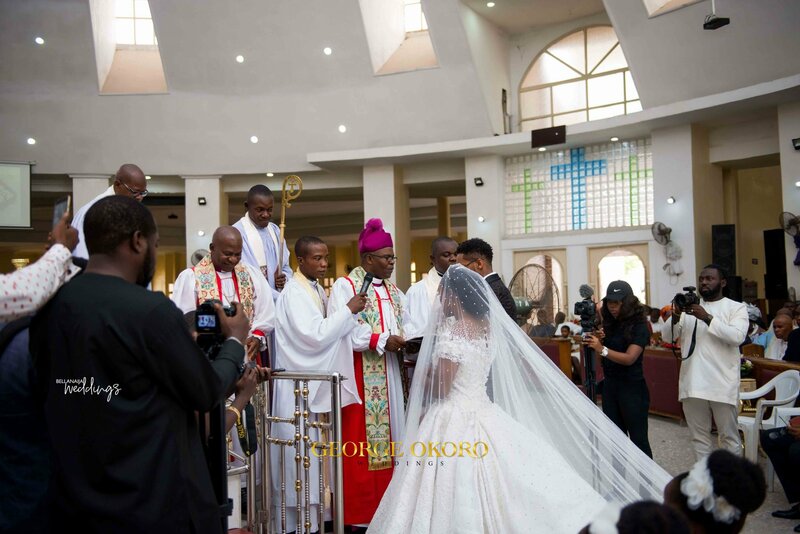 Following their traditional wedding in Imo, the couple moved down to Lagos to perform the religious rites. 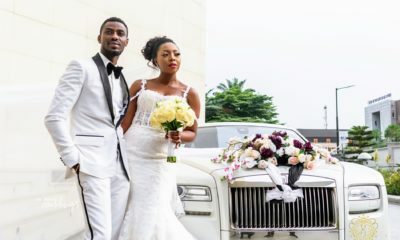 The couple gave us a strong sight to see at their white wedding. 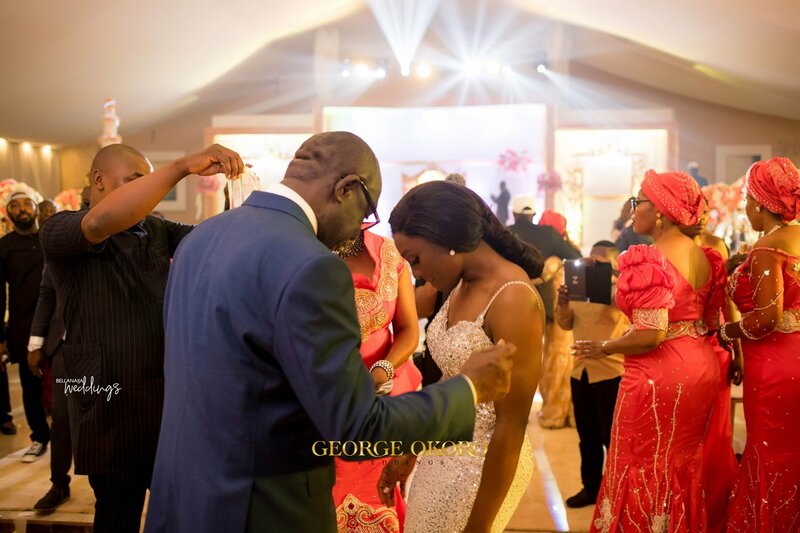 From the father-daughter dance to the groom-mother dance and lots of other interesting moments at the ceremony. 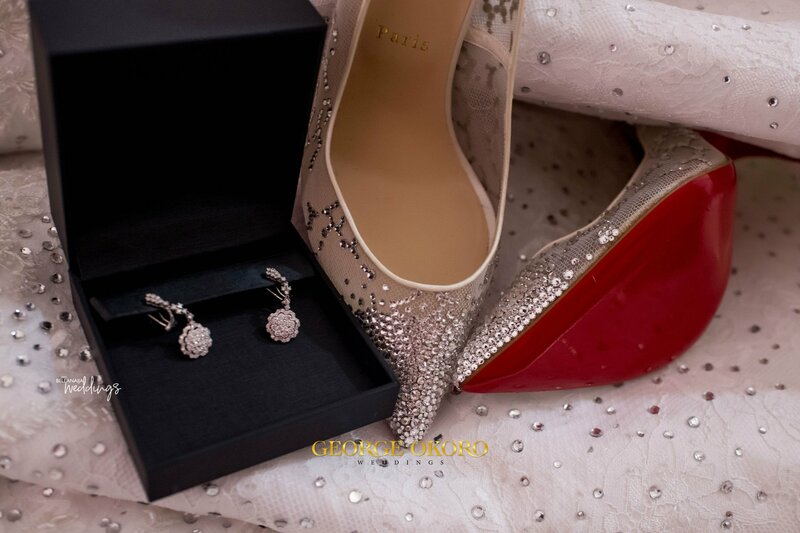 Their wedding will honestly leave you wanting more. 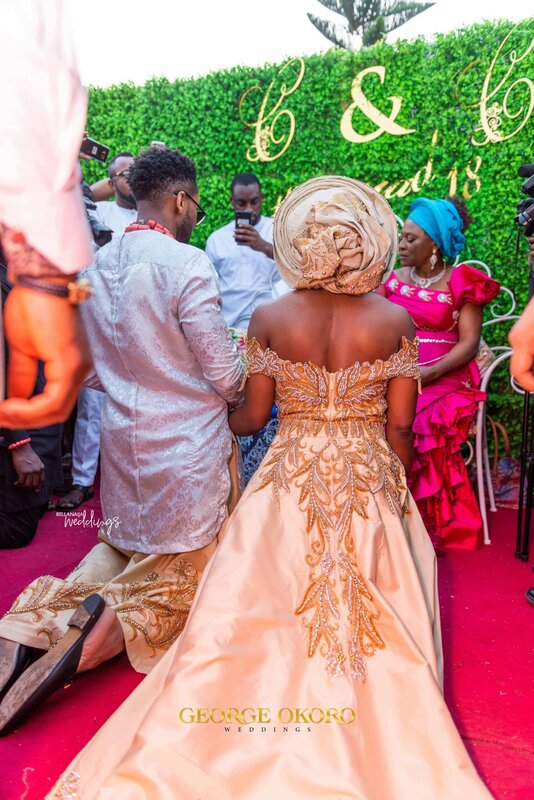 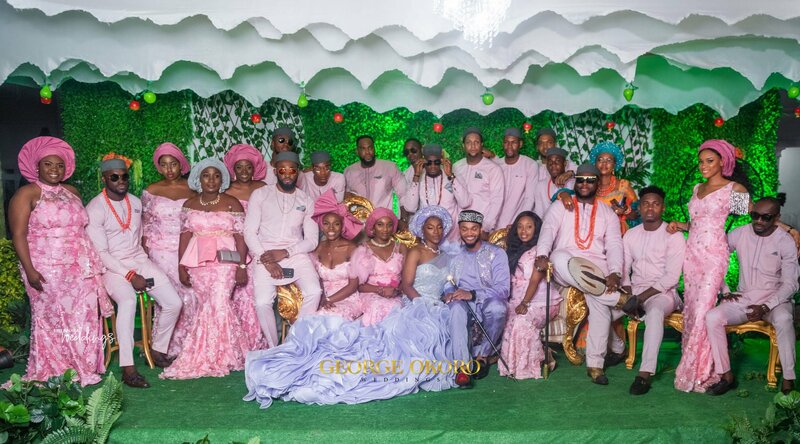 Just when you would think that you have seen all the beauty of the wedding, then their traditional wedding took it to a higher level. 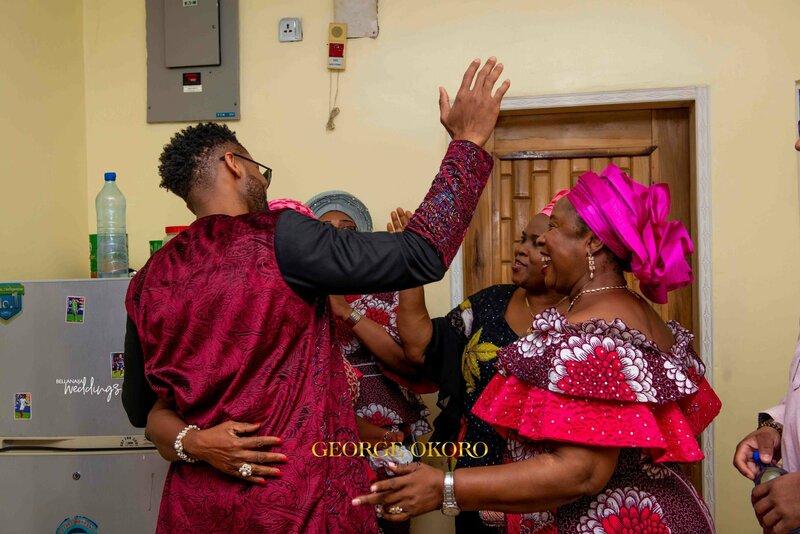 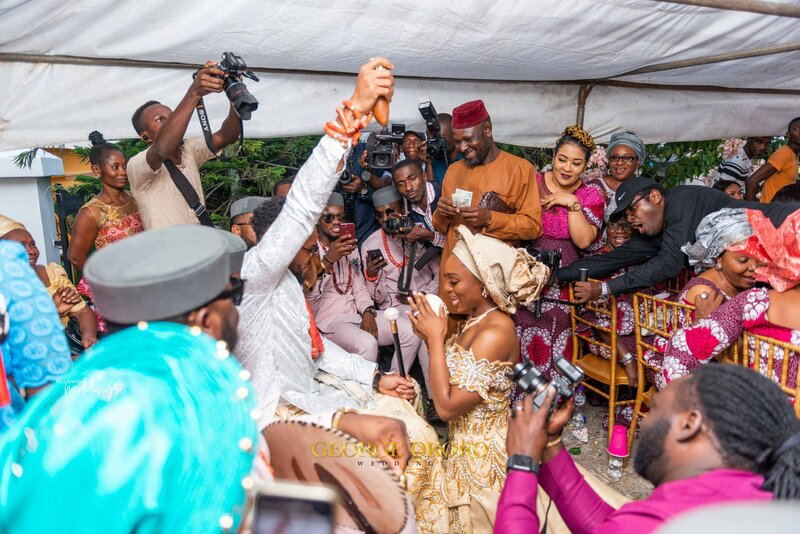 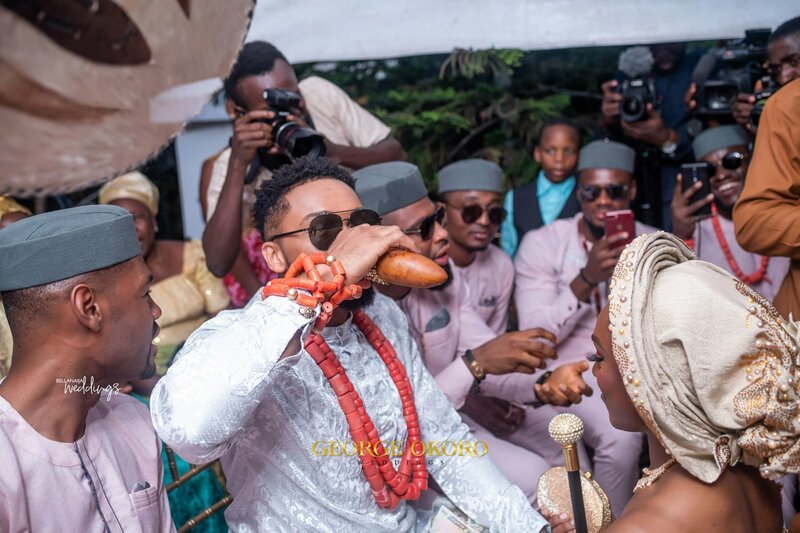 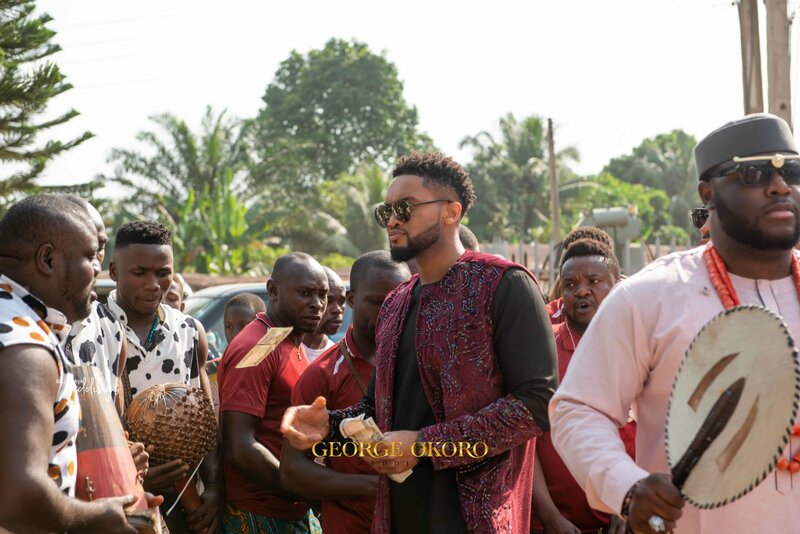 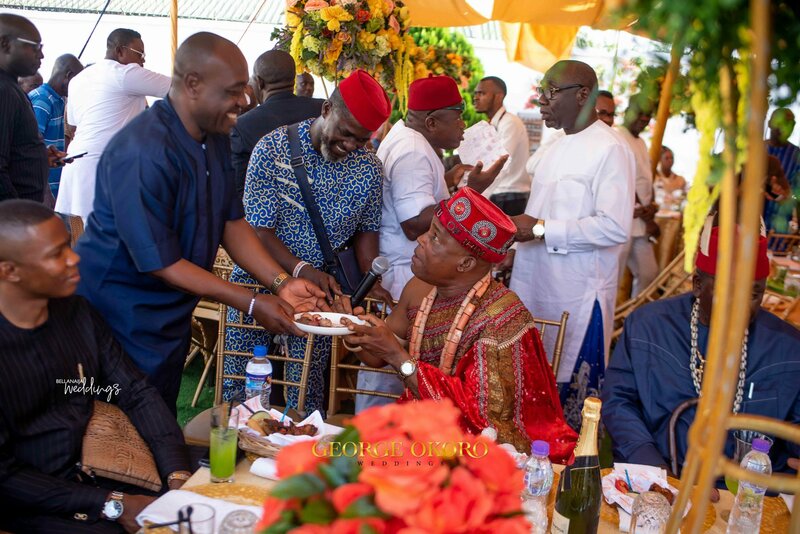 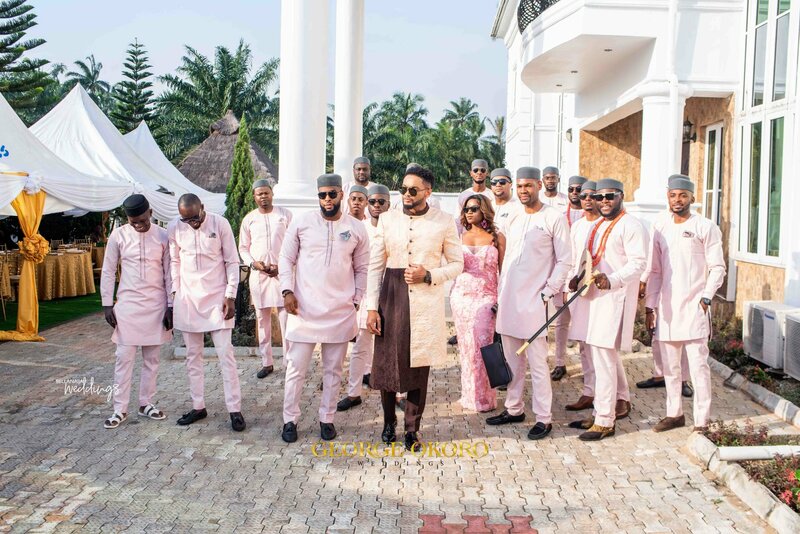 Their traditional wedding in Imo state was pretty epic and of course, you already know it is an Igbo wedding ceremony. 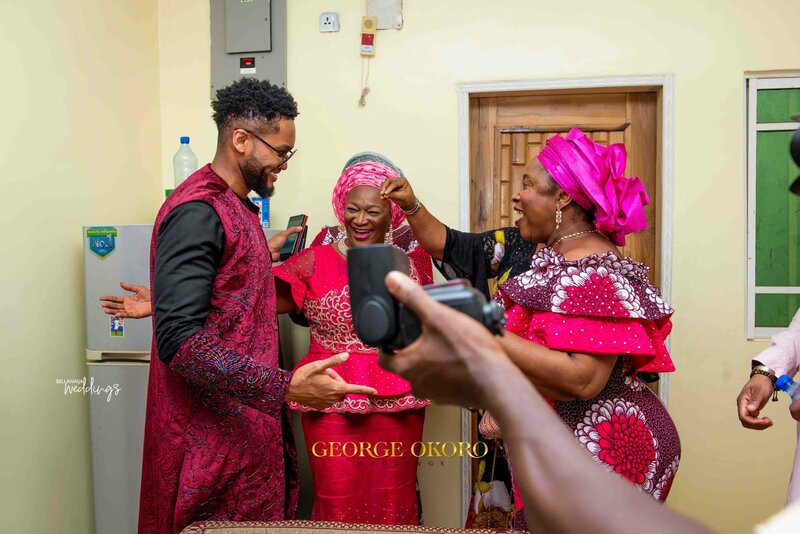 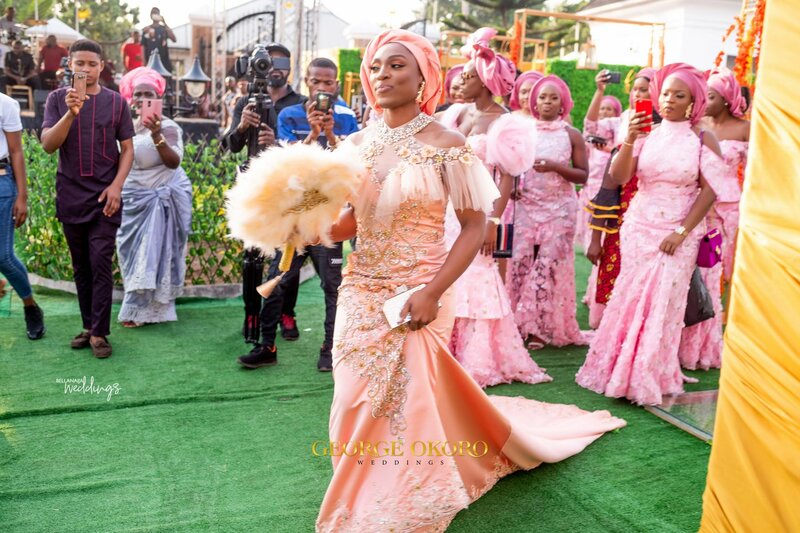 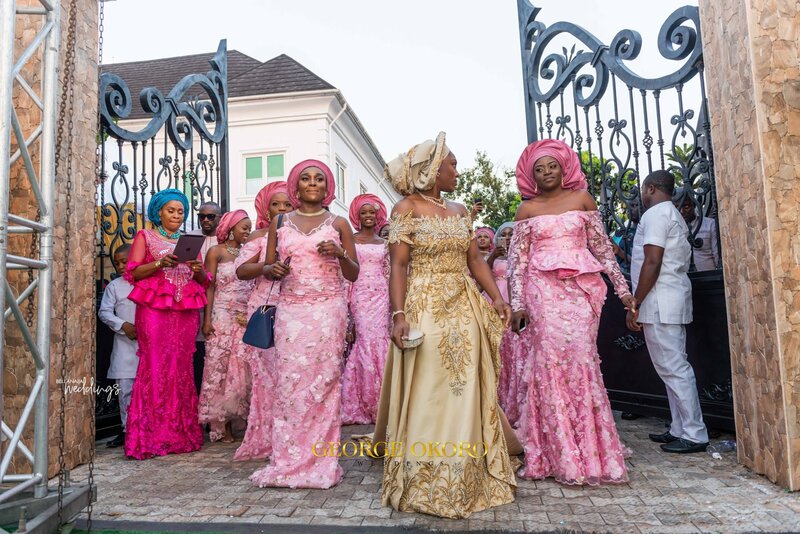 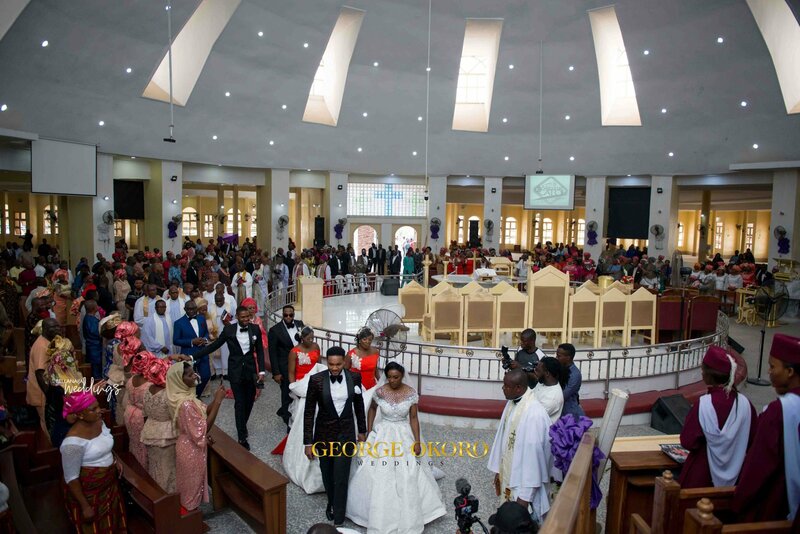 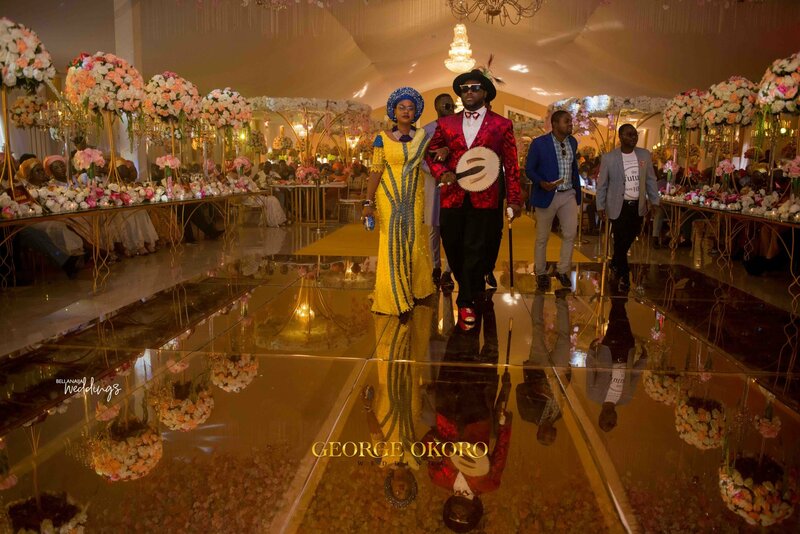 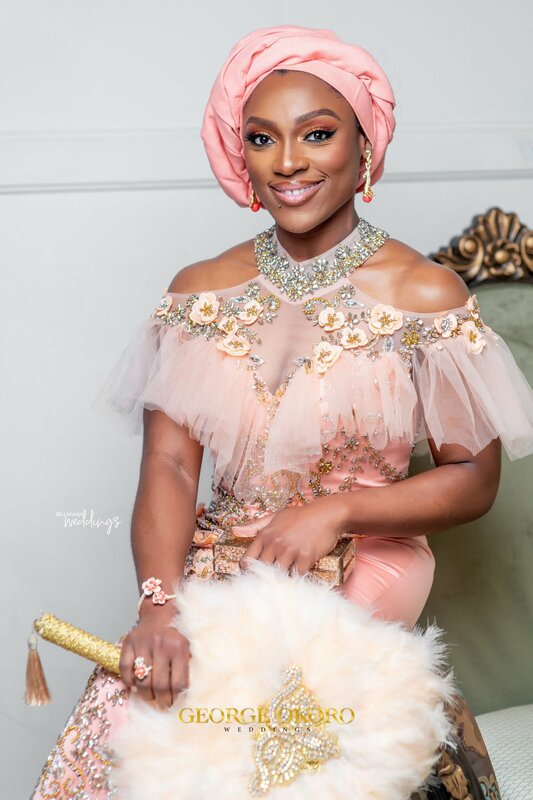 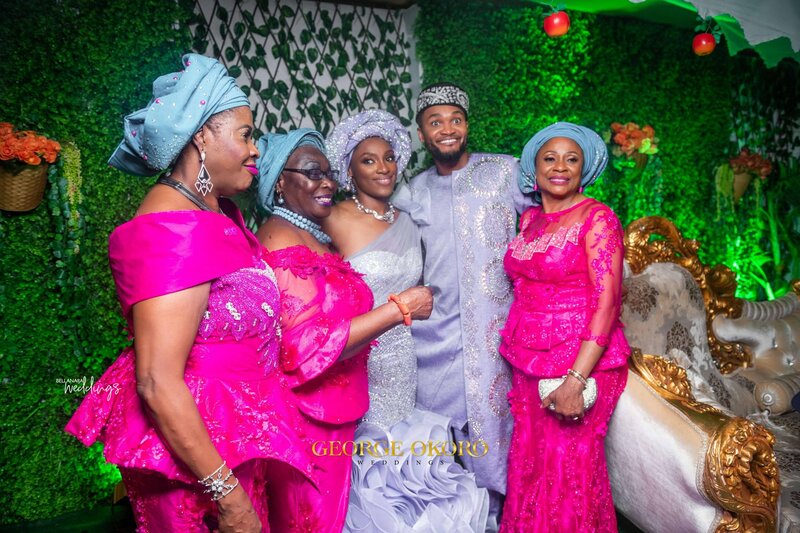 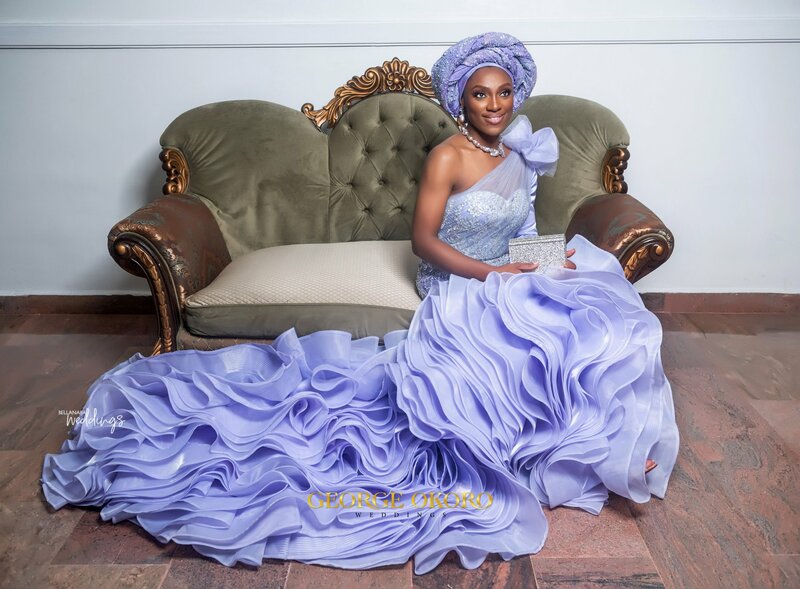 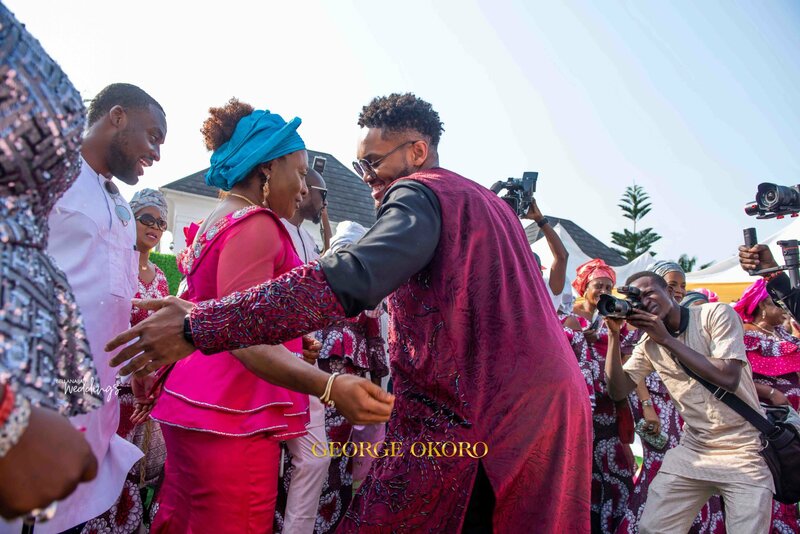 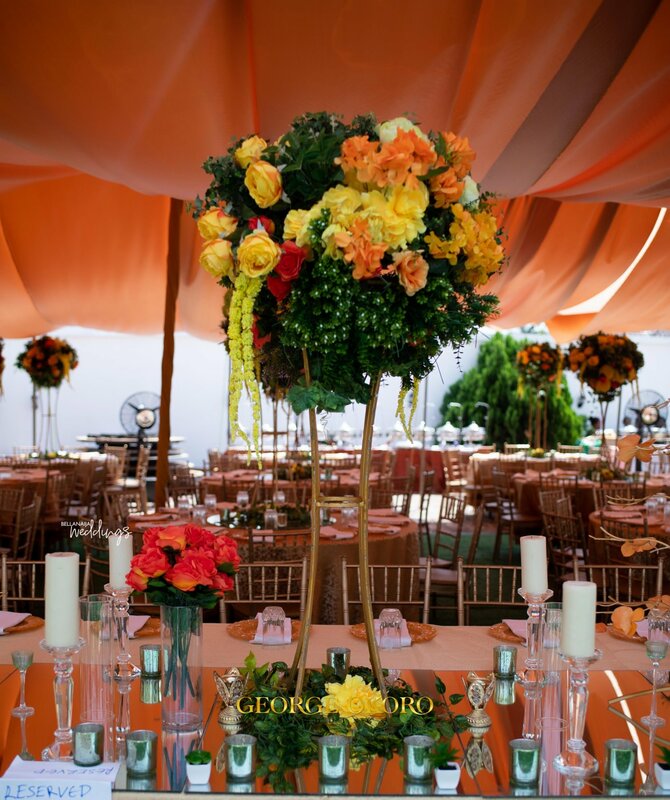 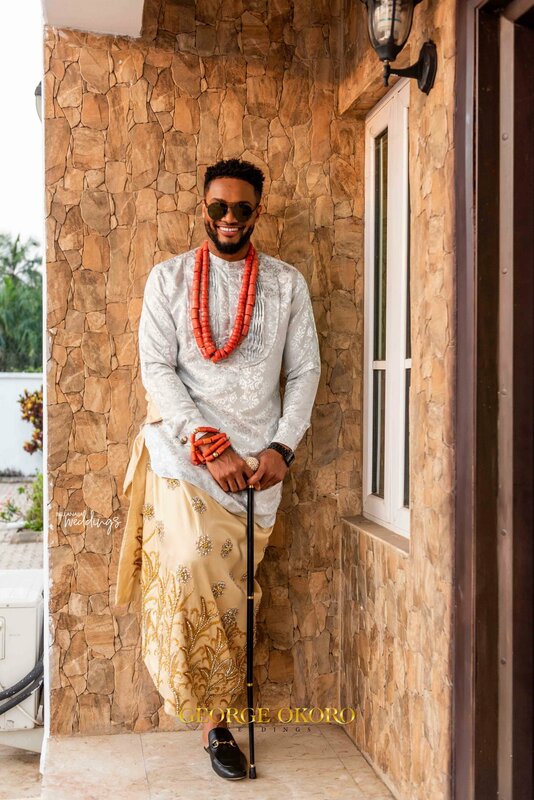 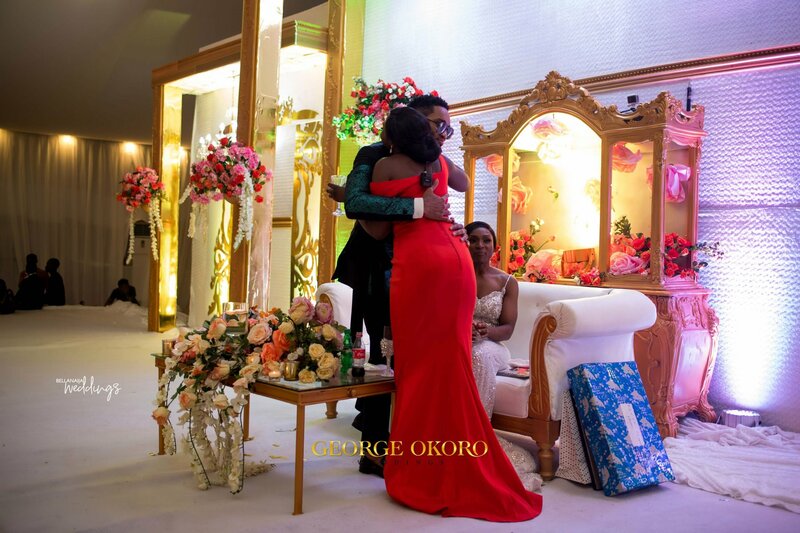 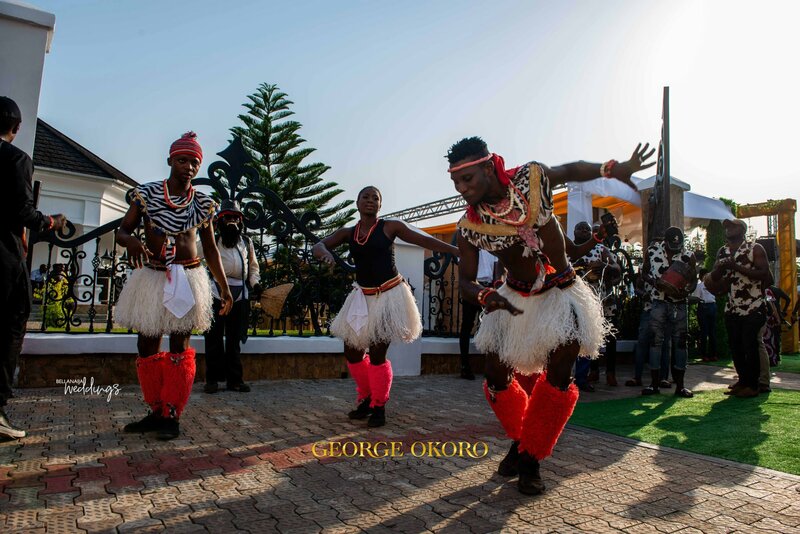 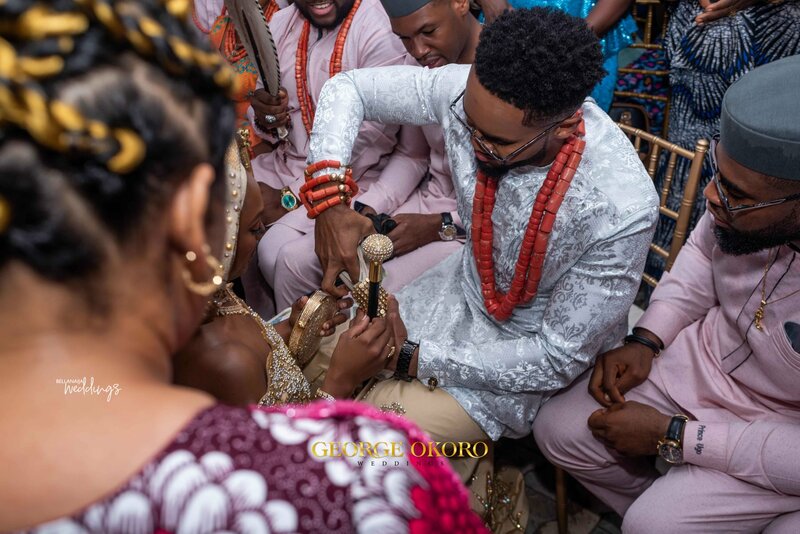 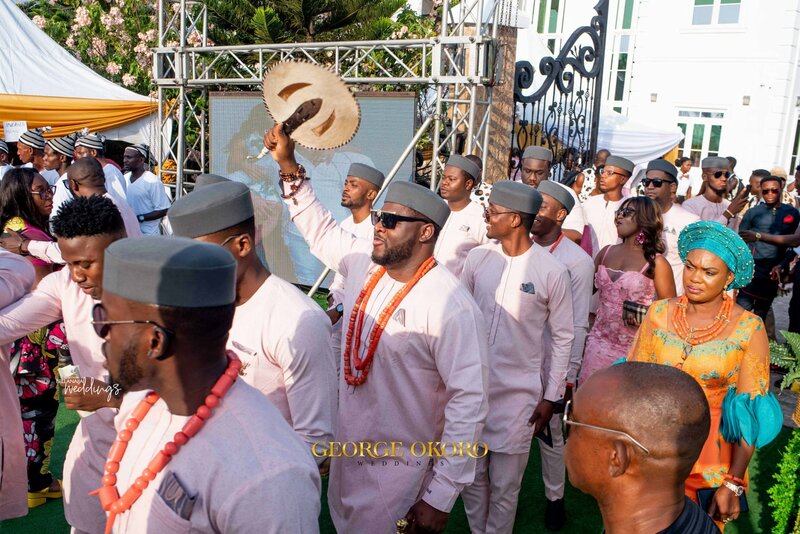 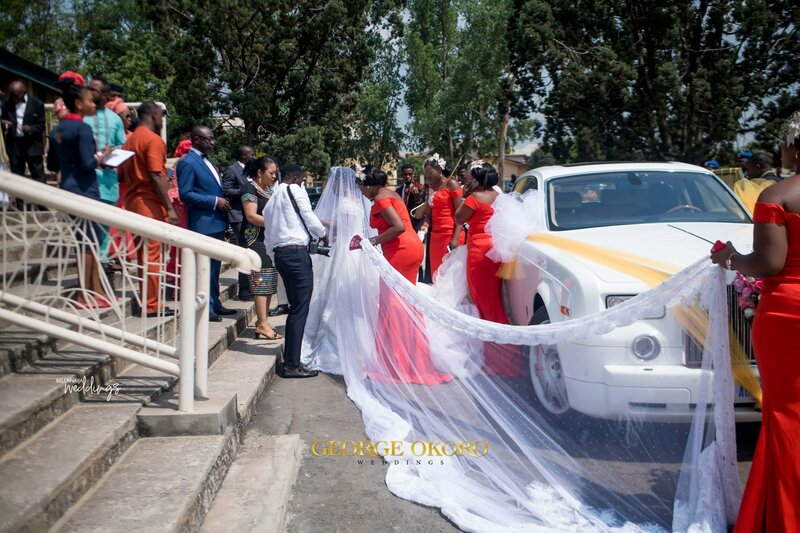 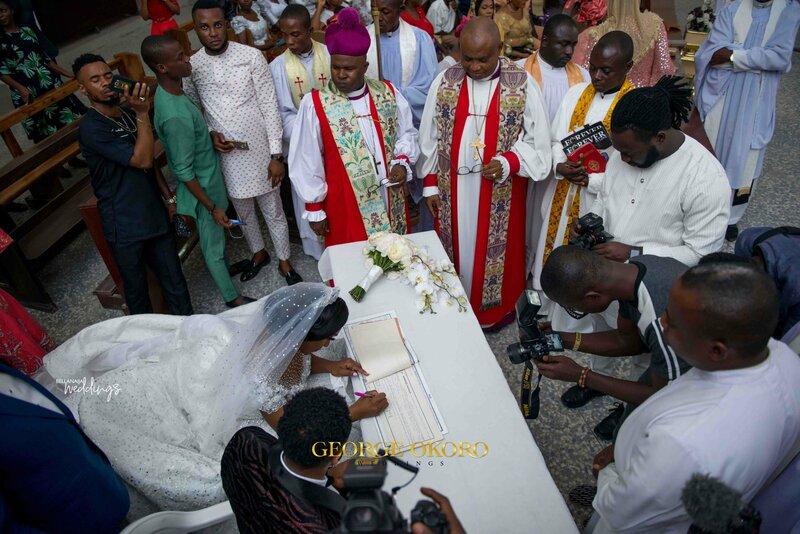 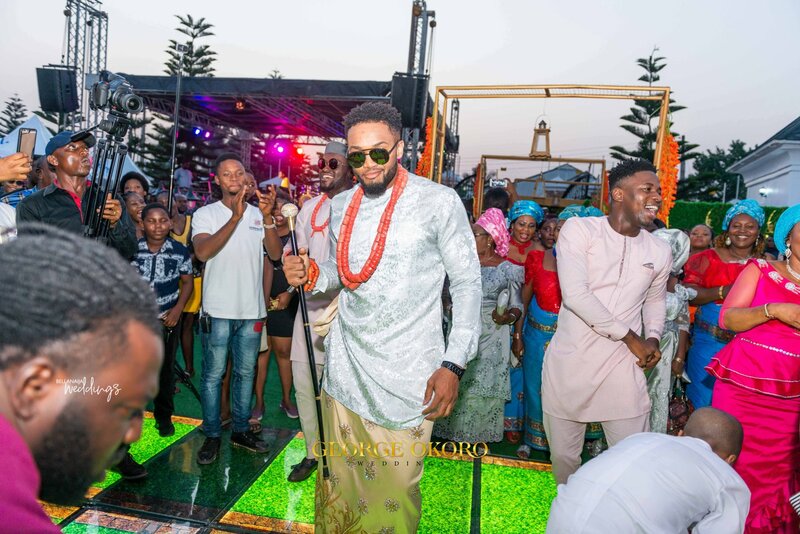 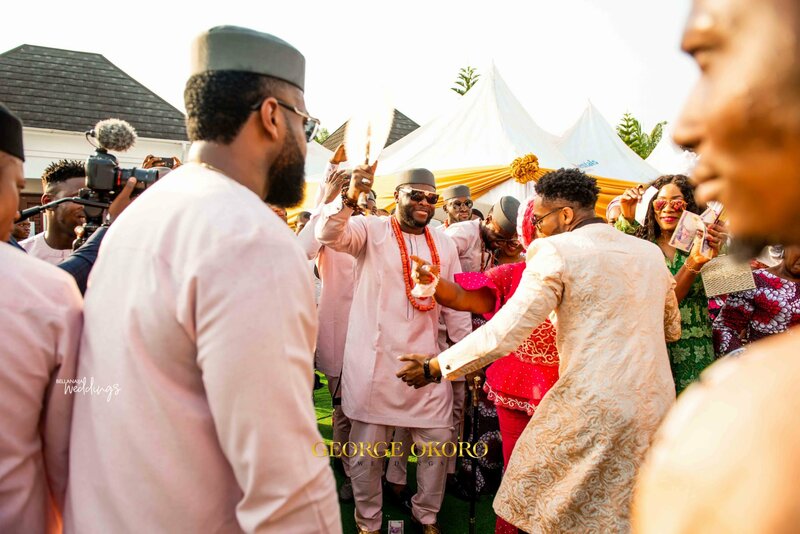 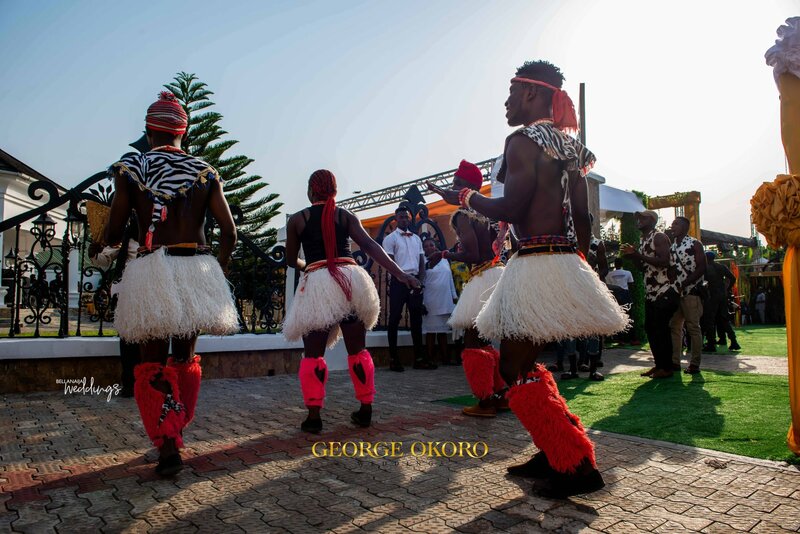 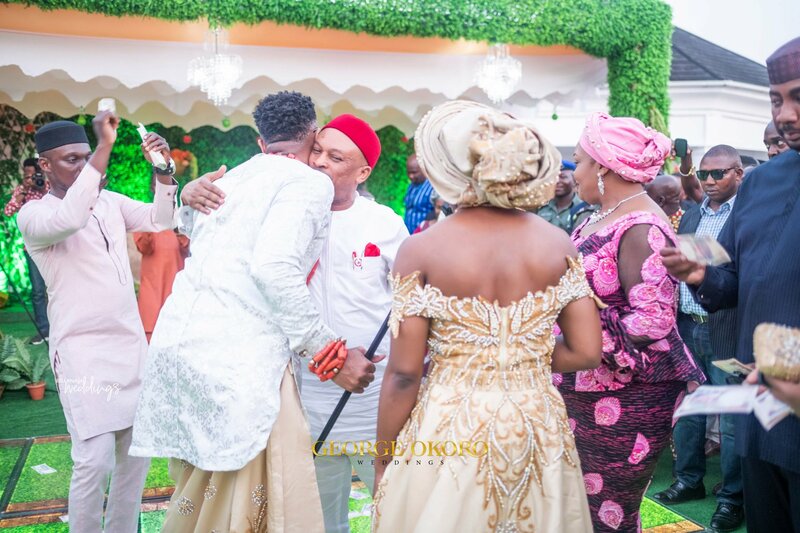 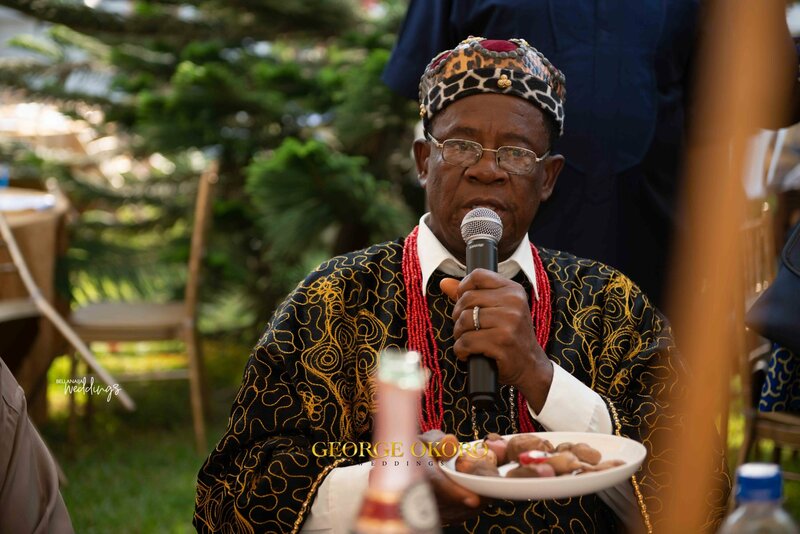 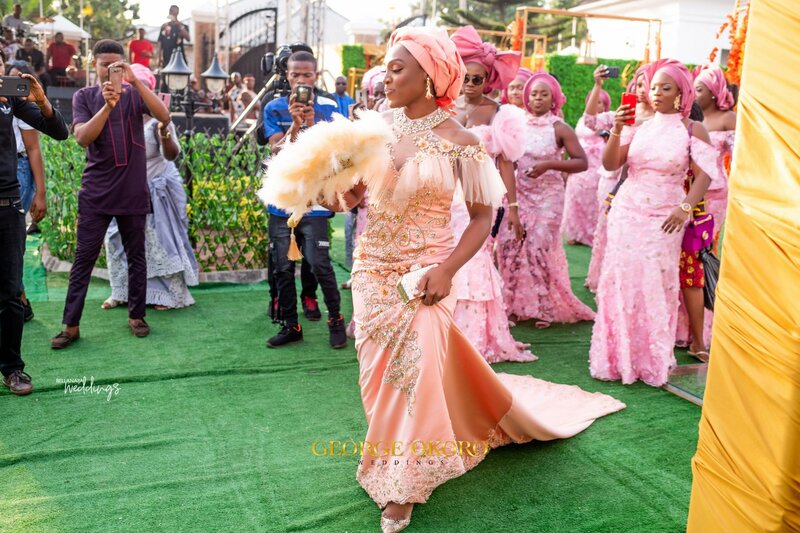 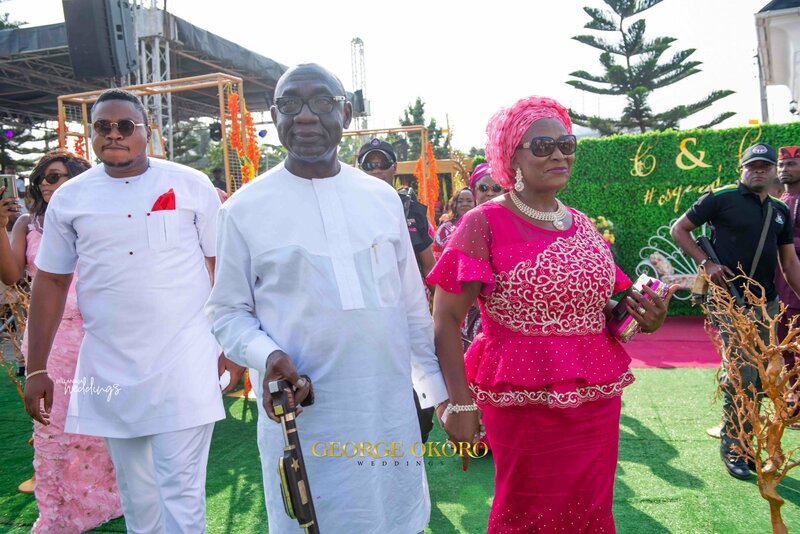 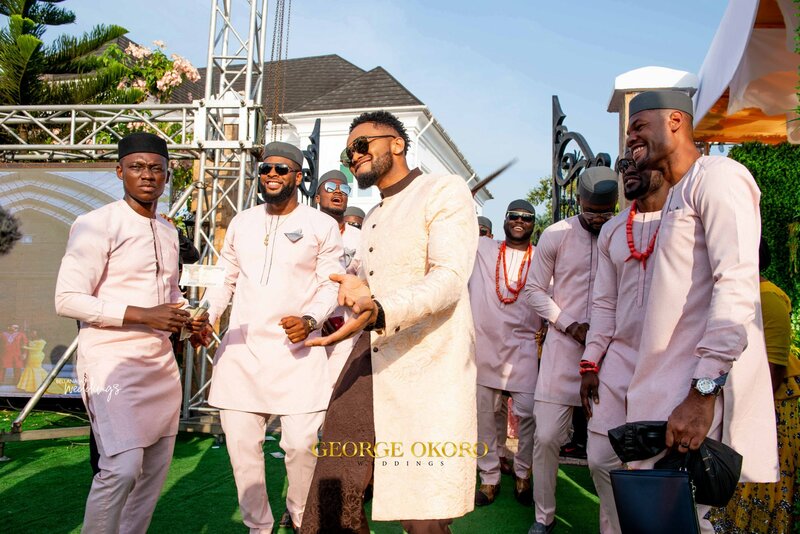 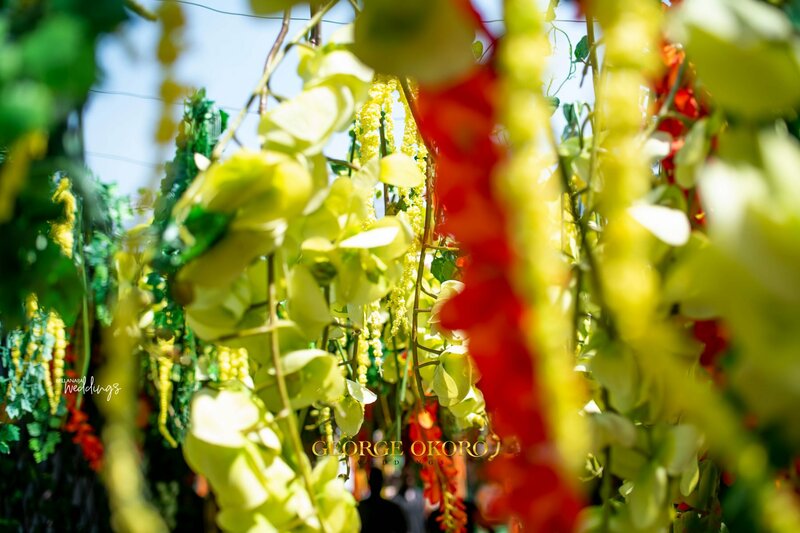 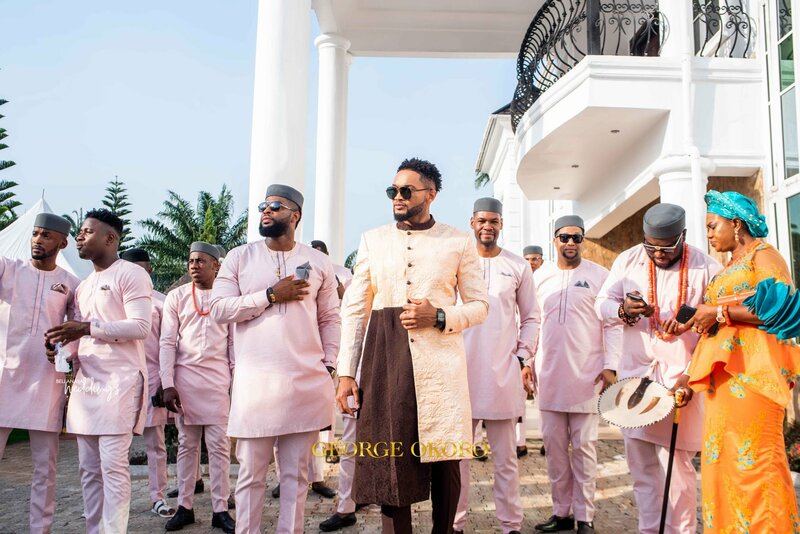 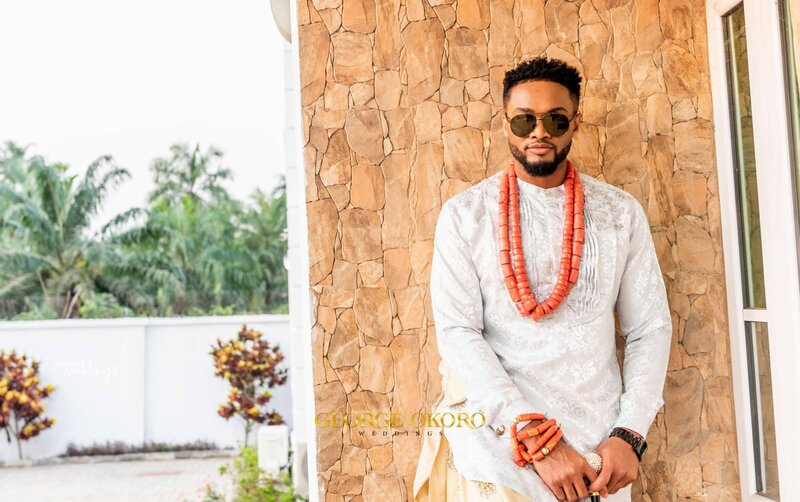 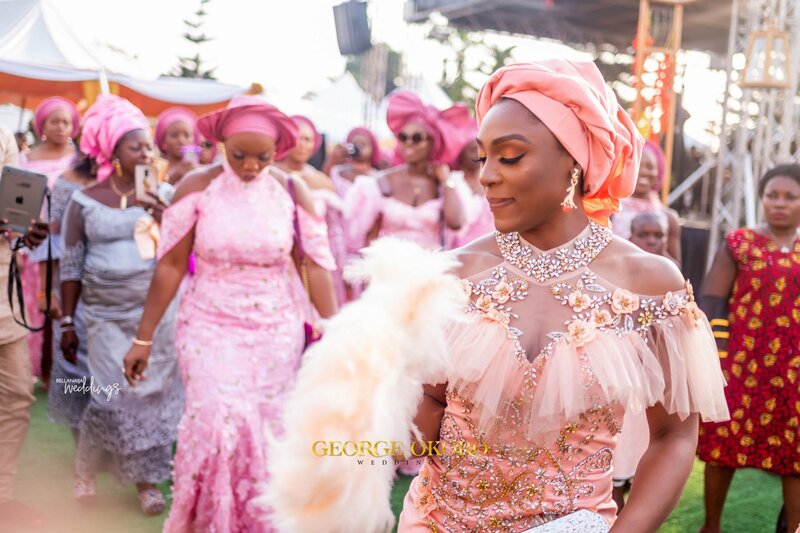 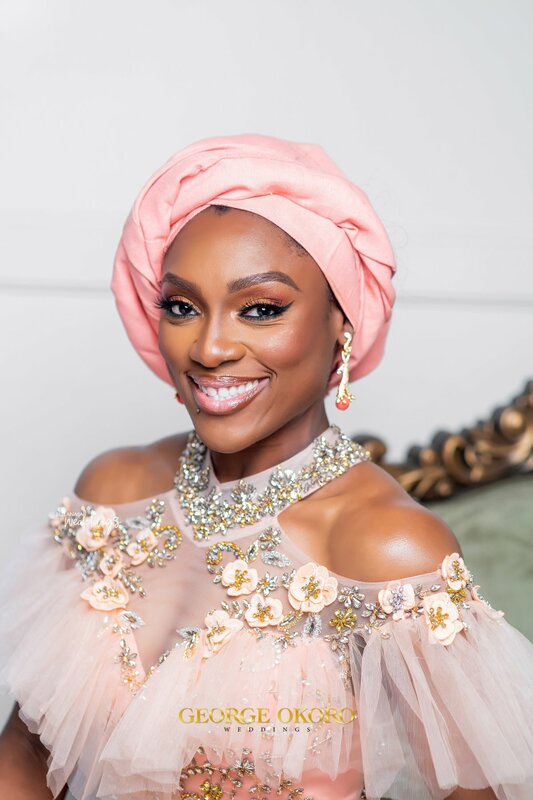 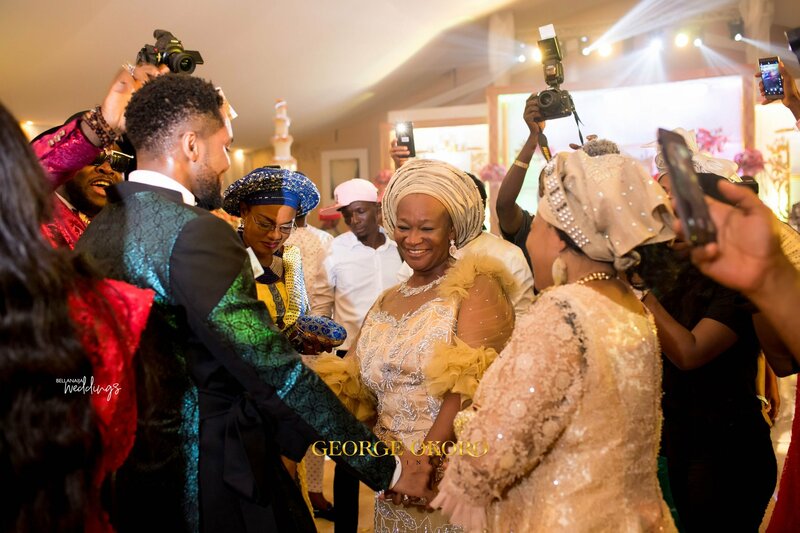 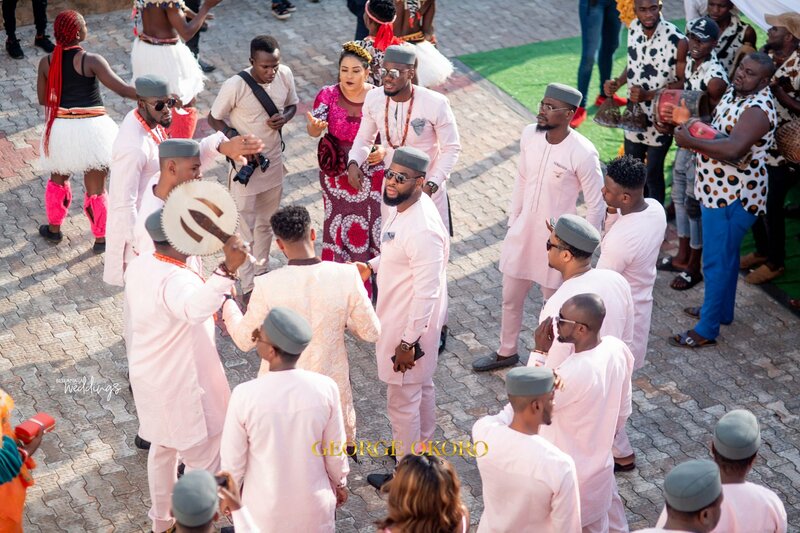 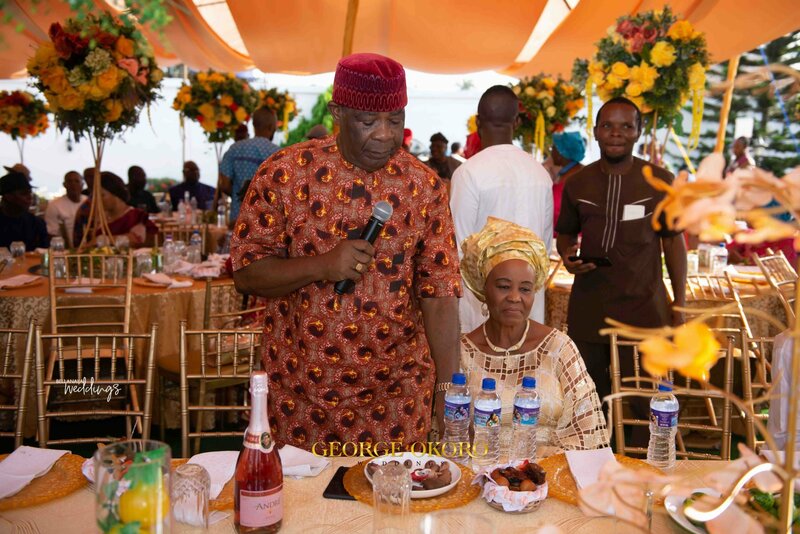 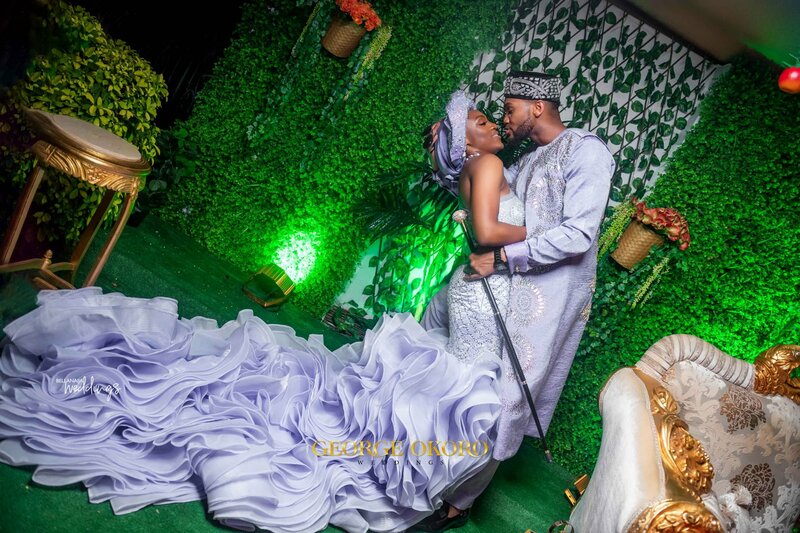 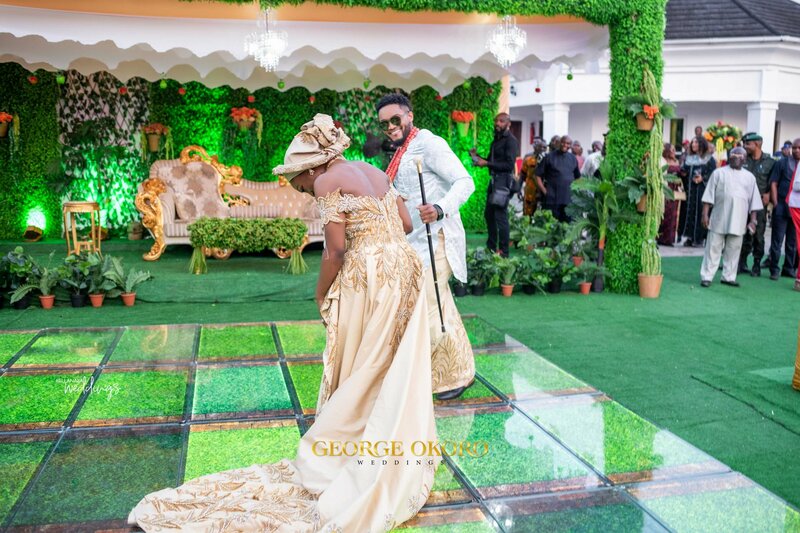 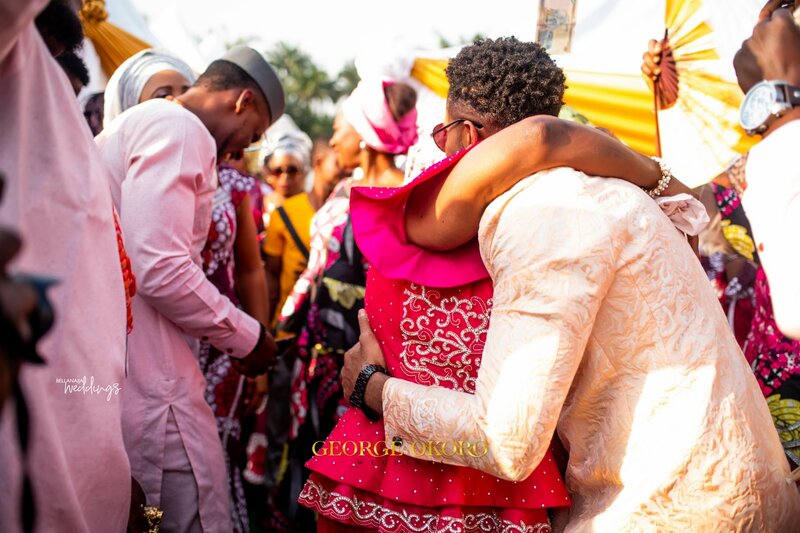 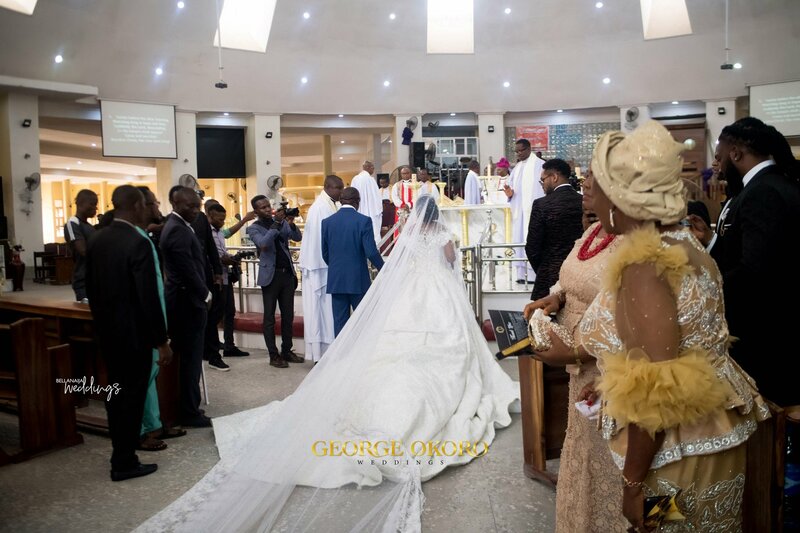 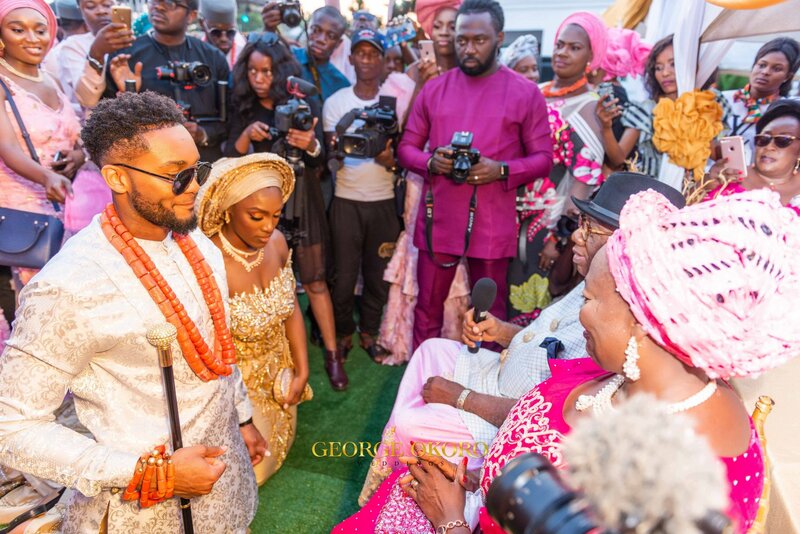 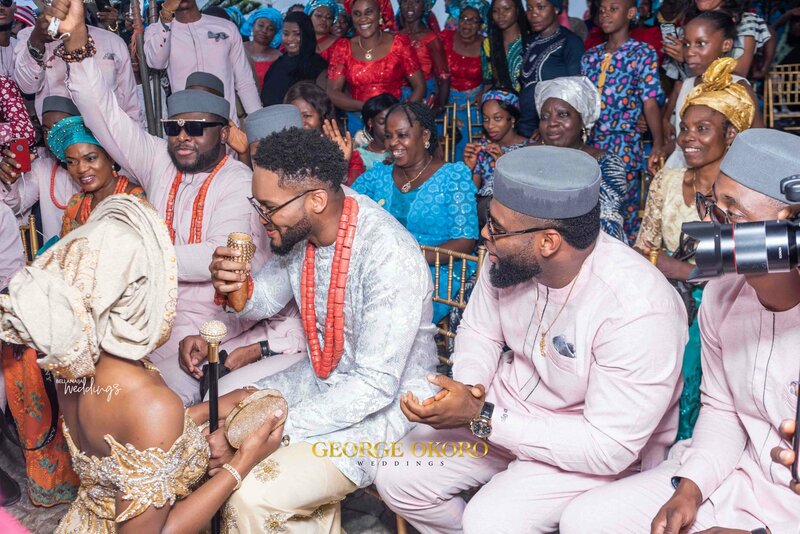 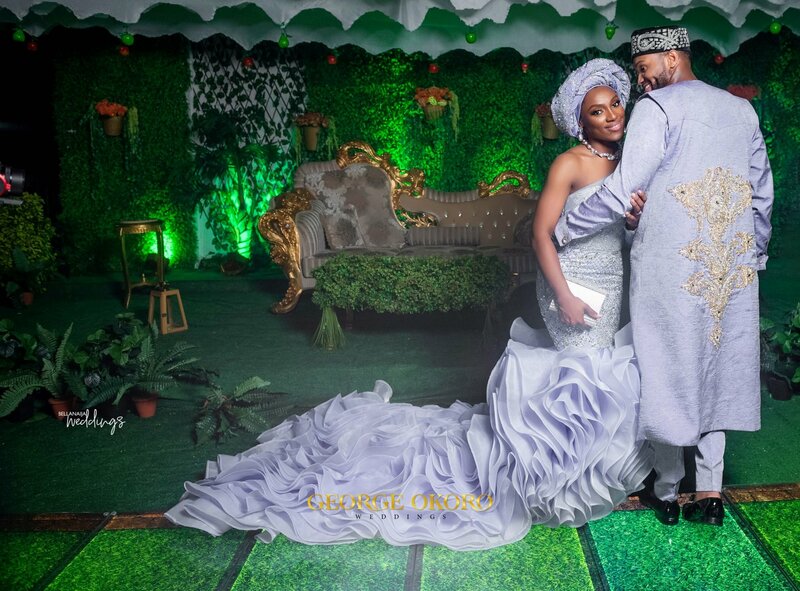 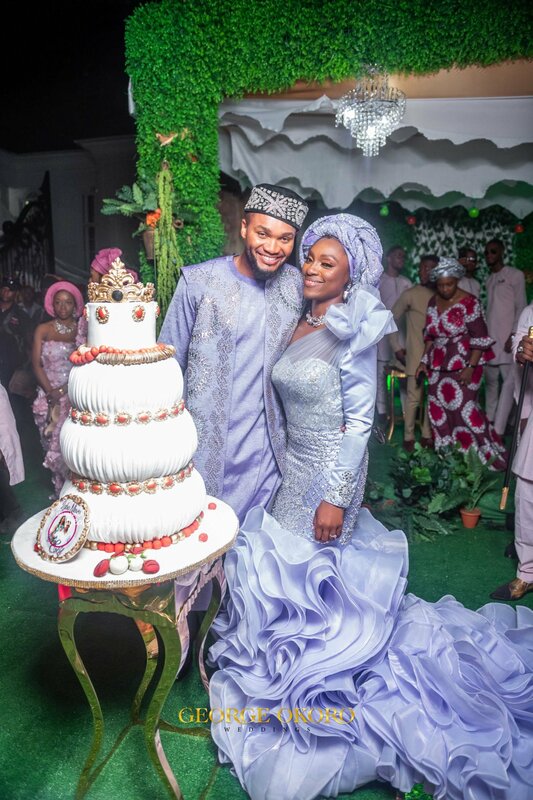 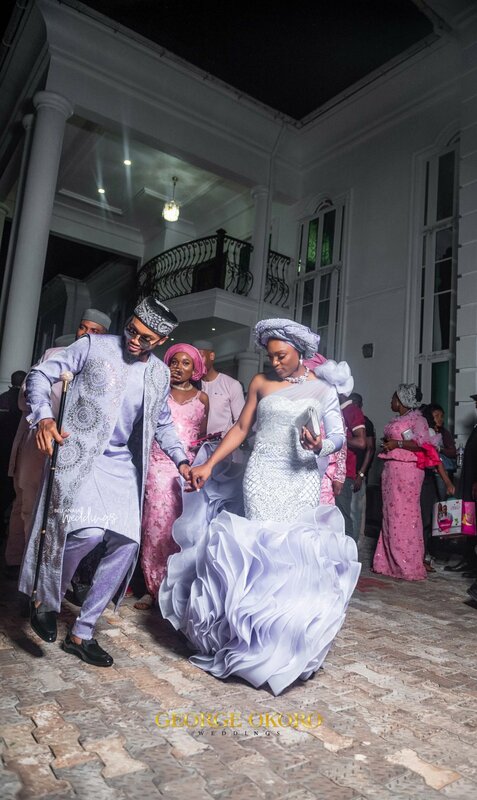 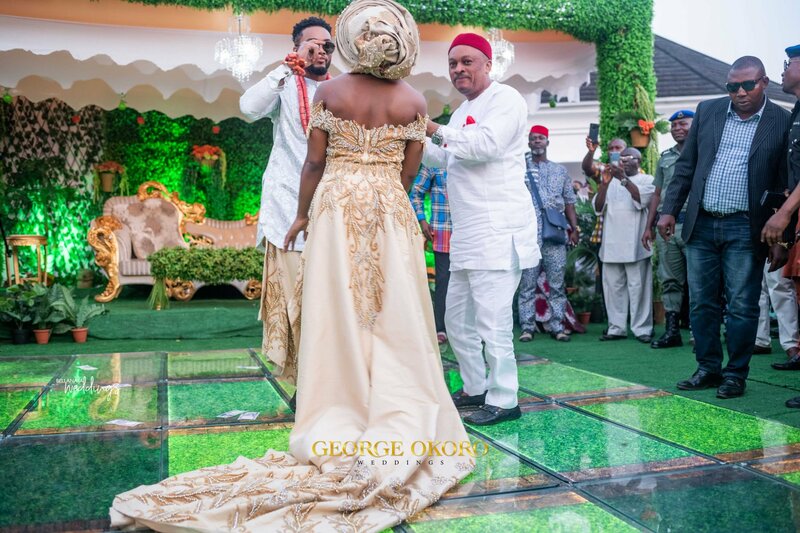 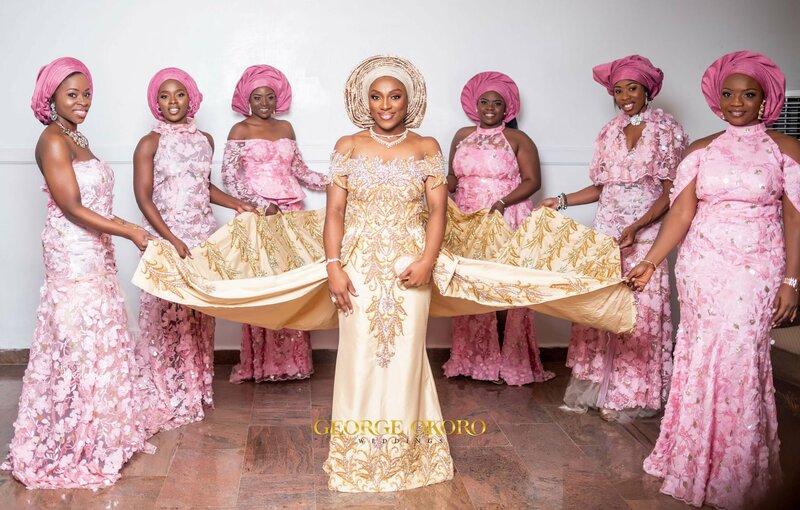 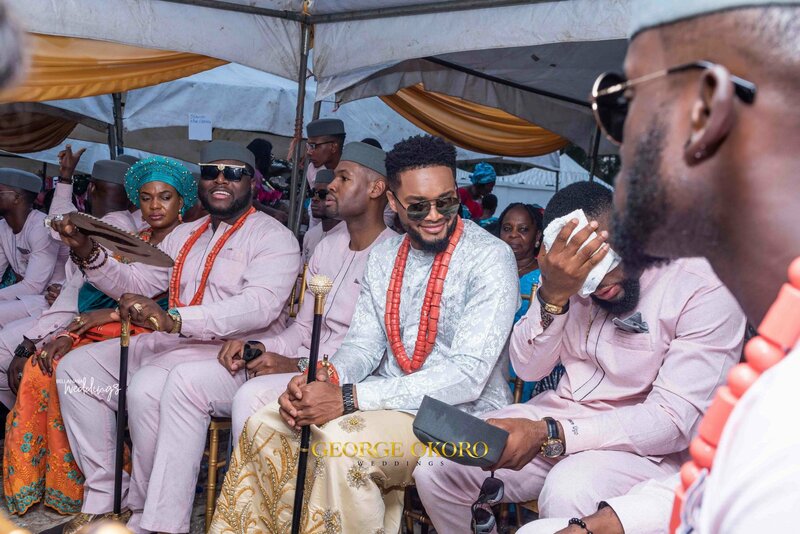 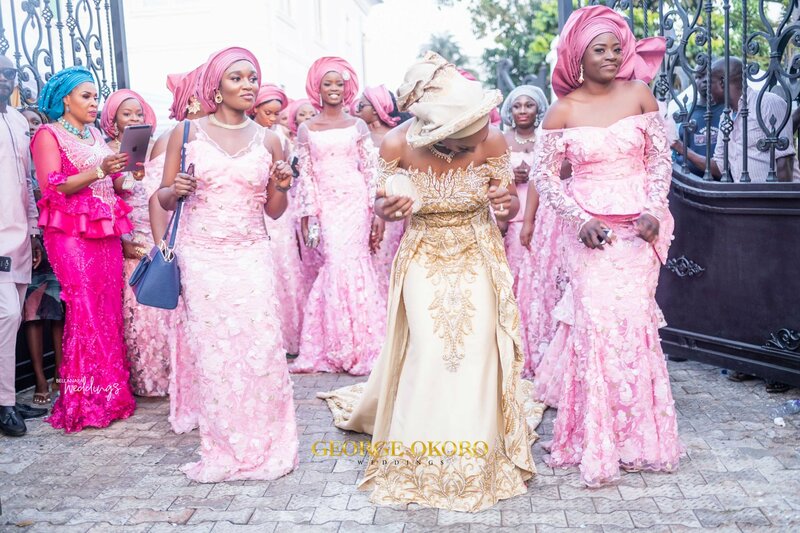 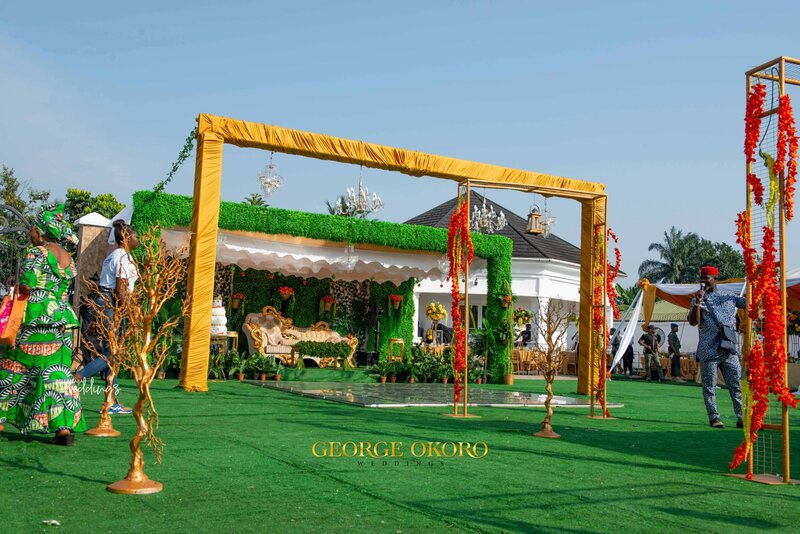 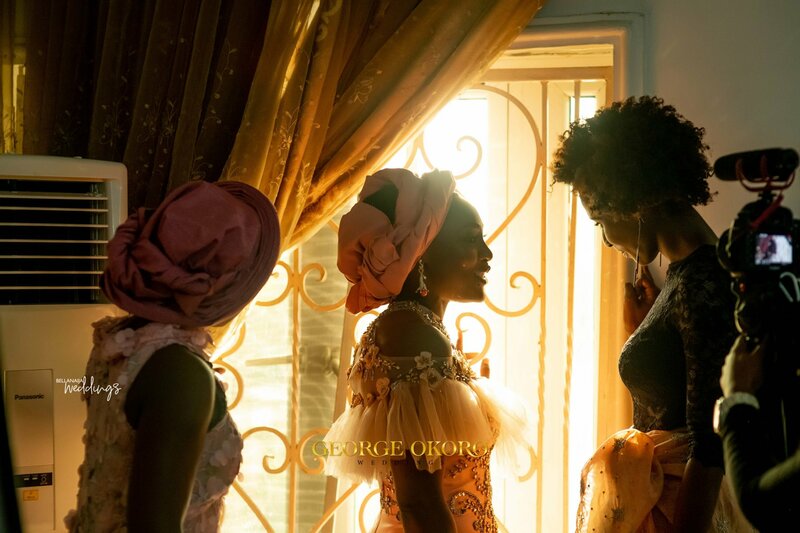 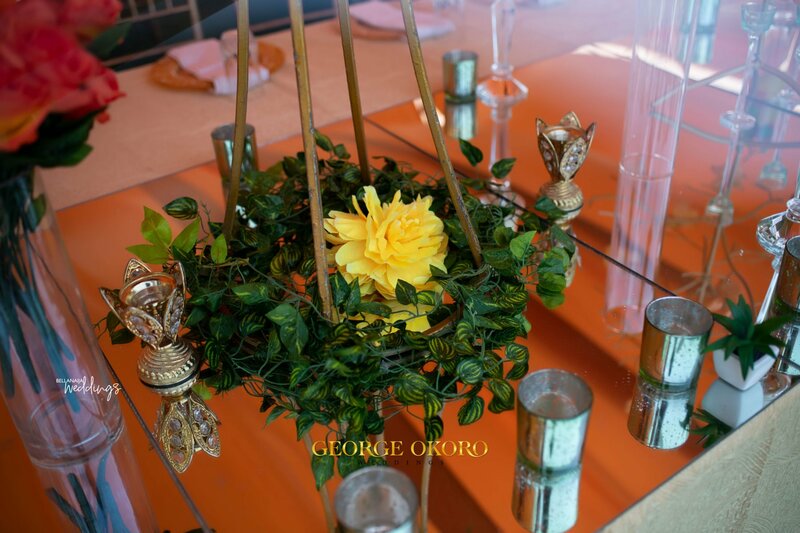 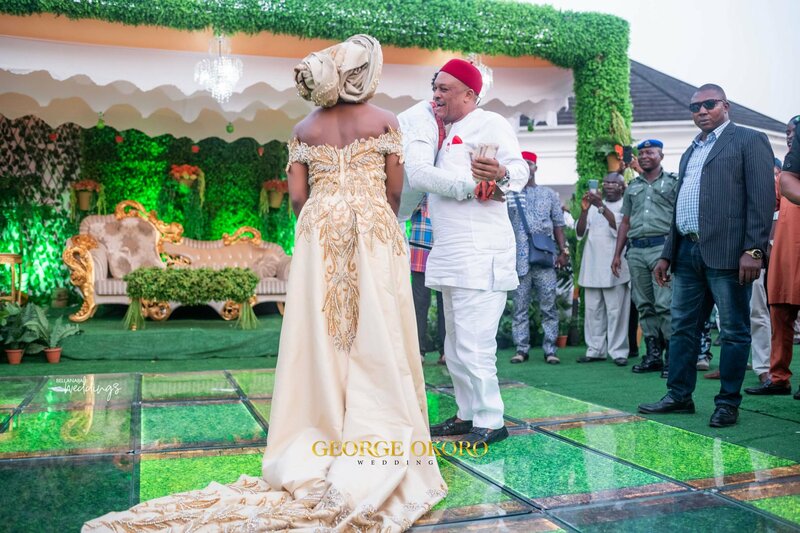 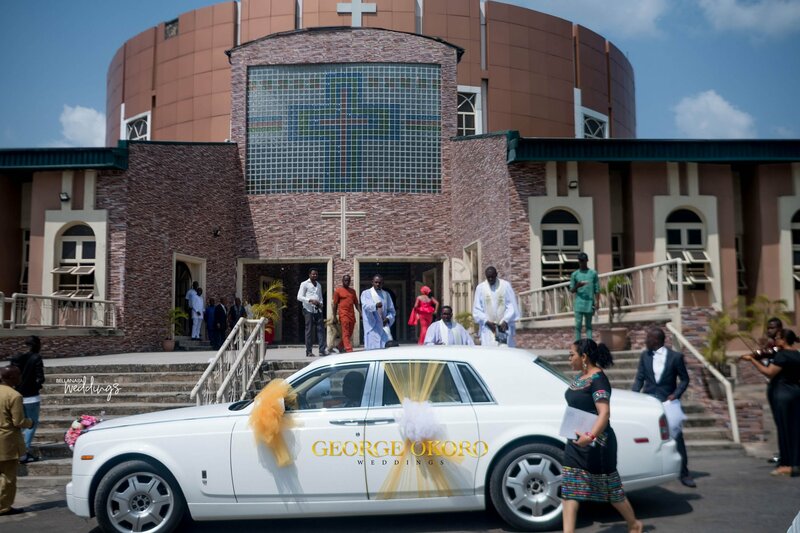 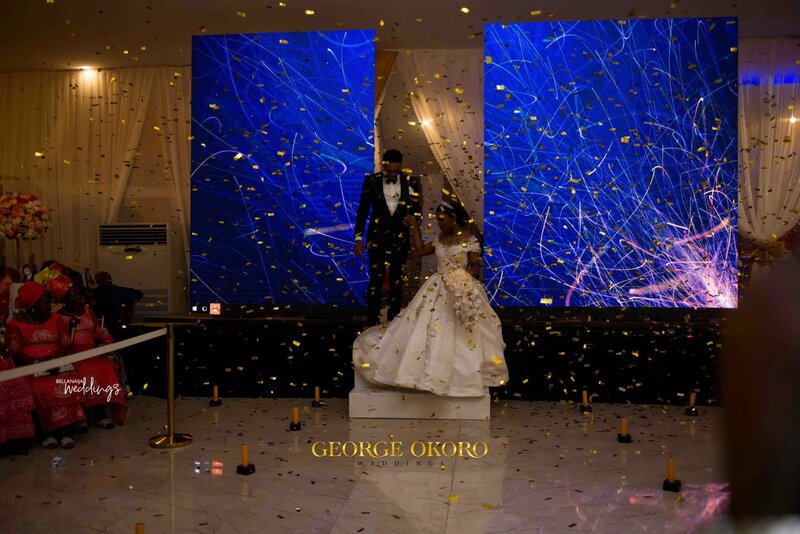 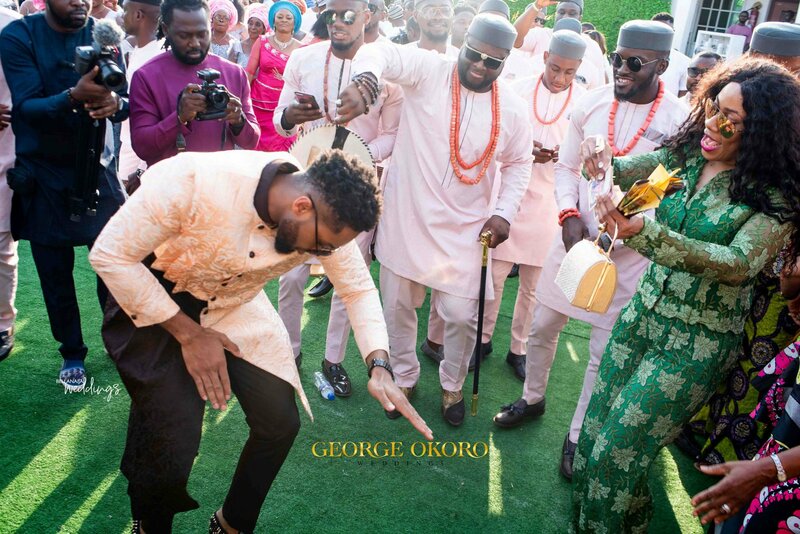 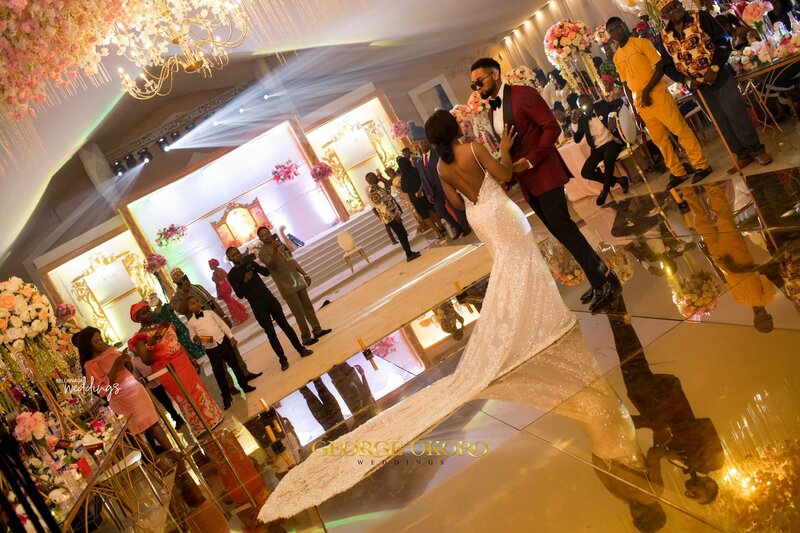 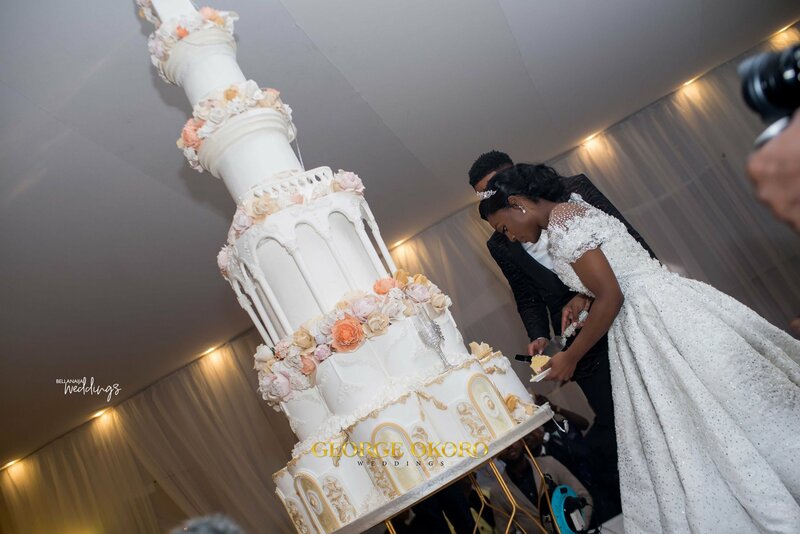 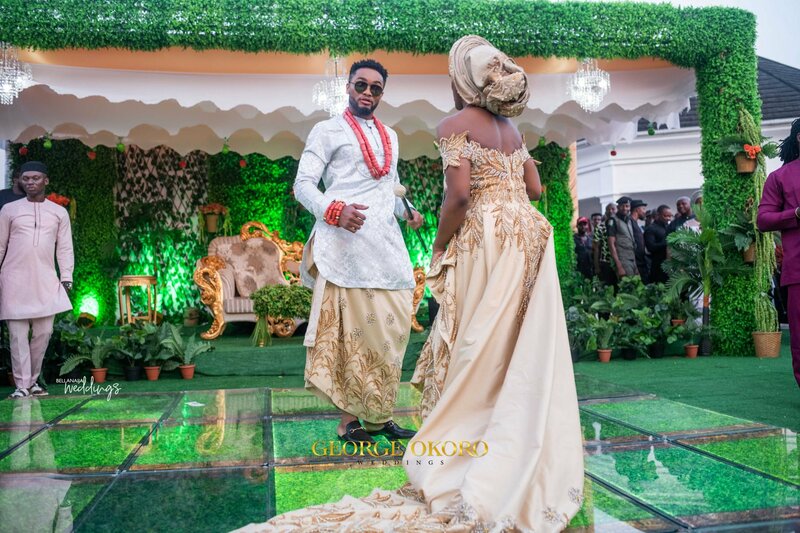 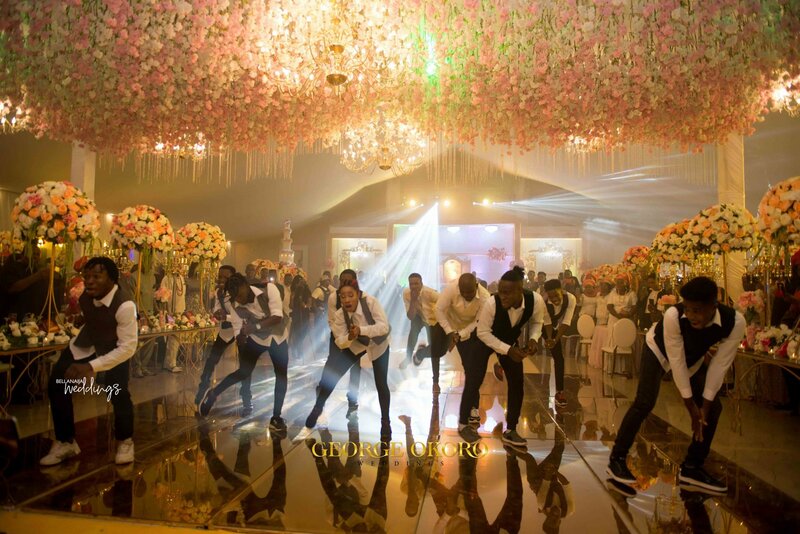 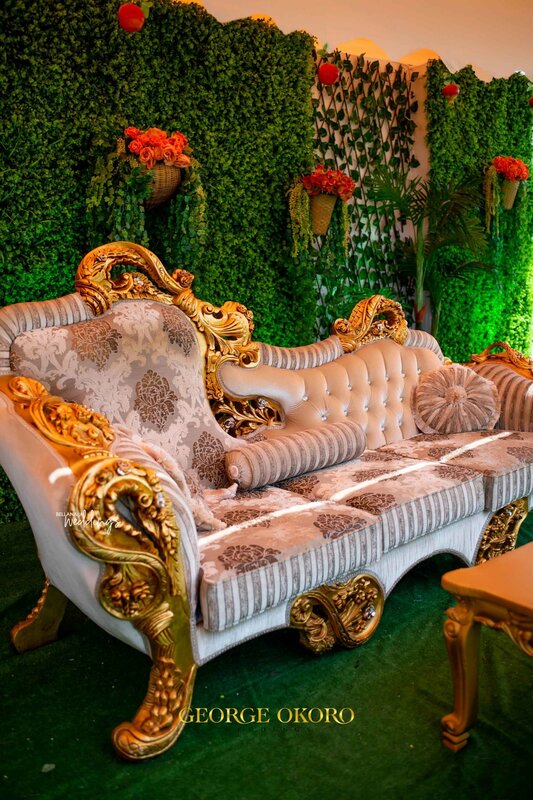 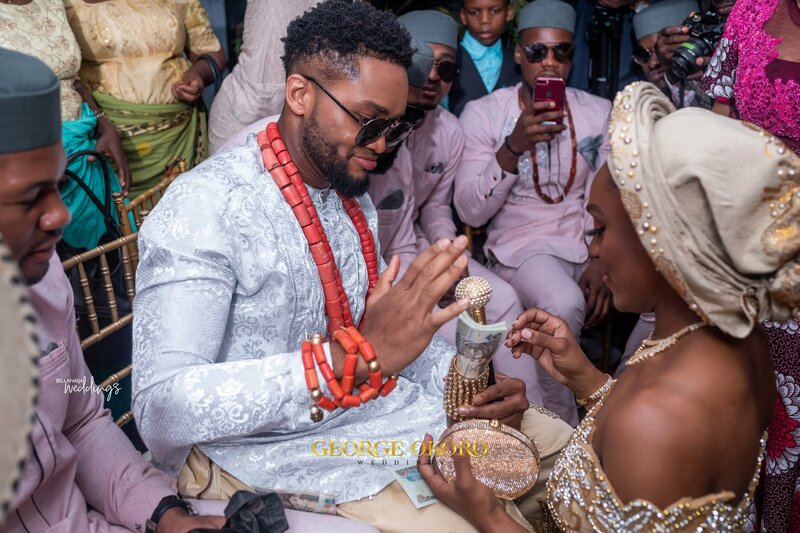 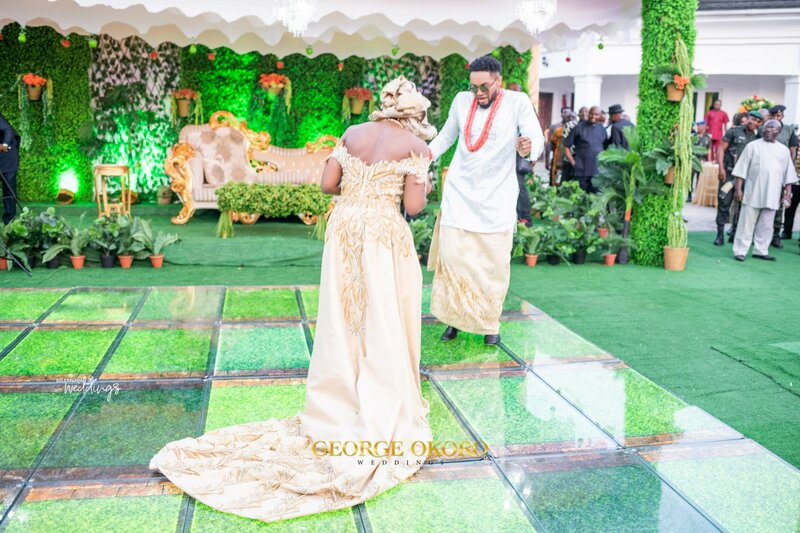 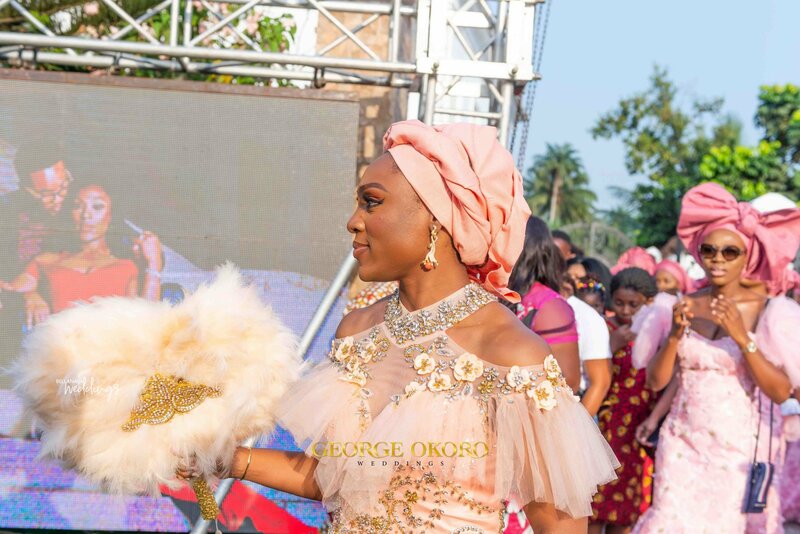 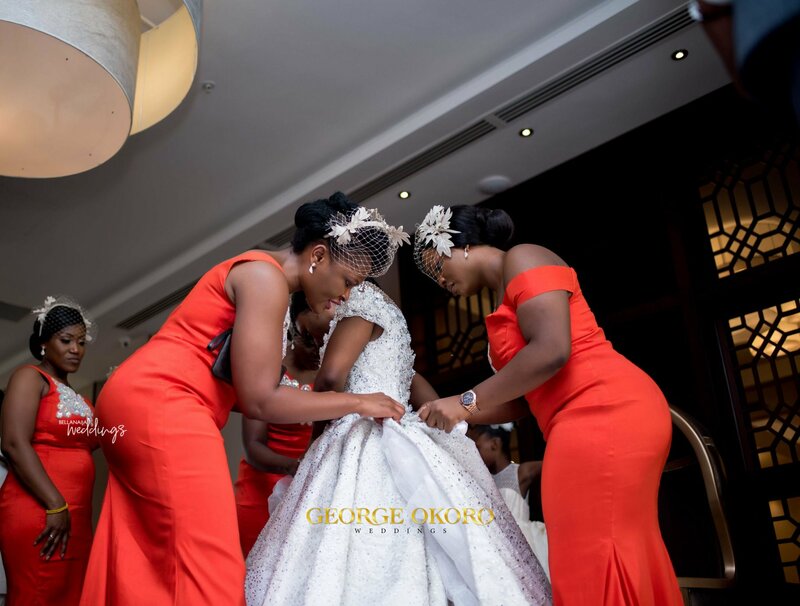 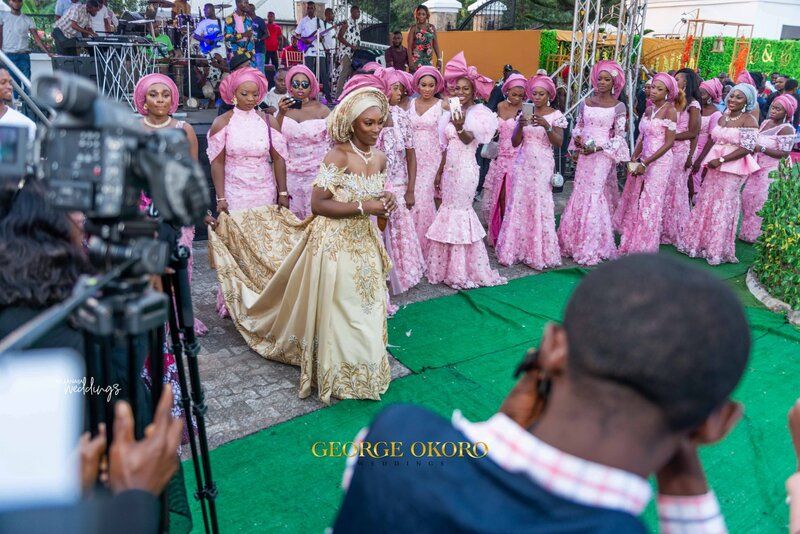 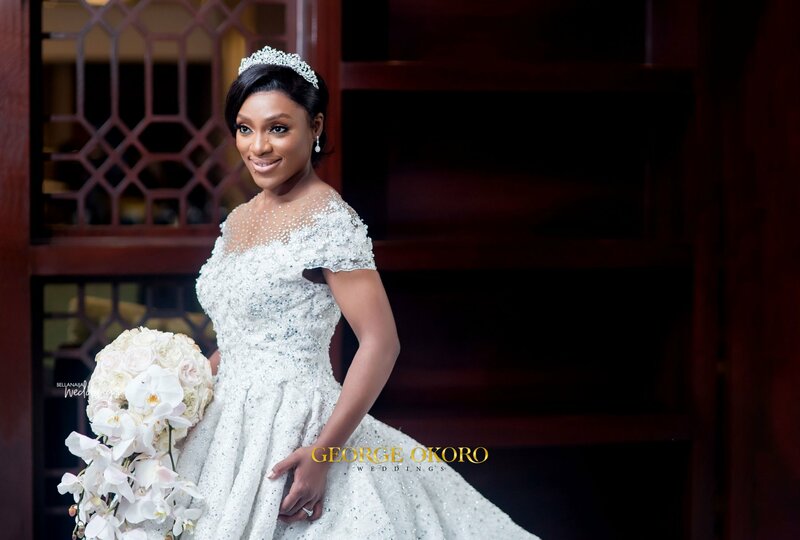 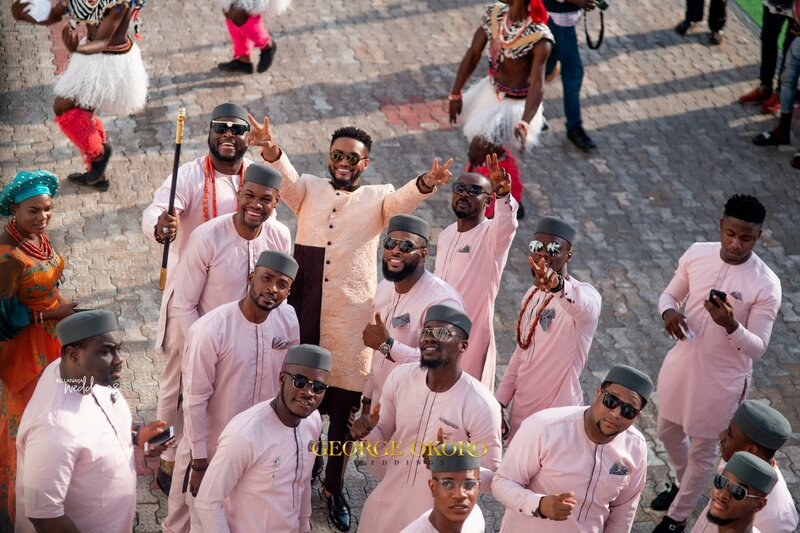 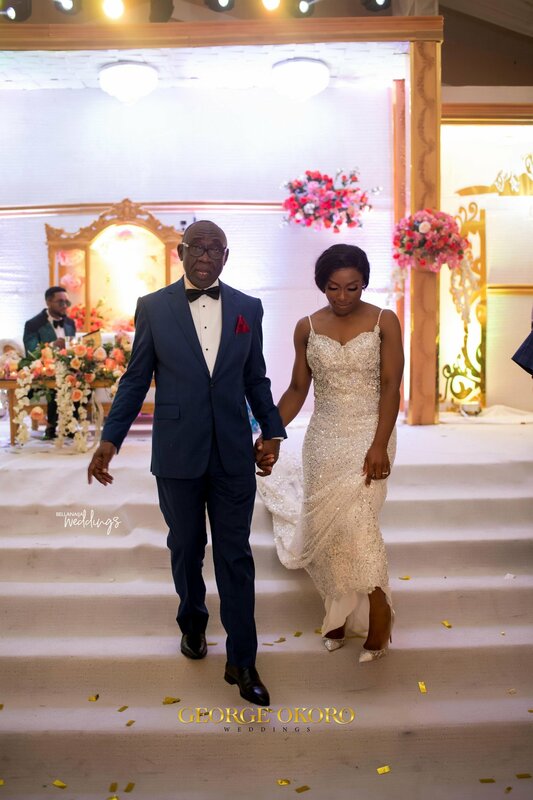 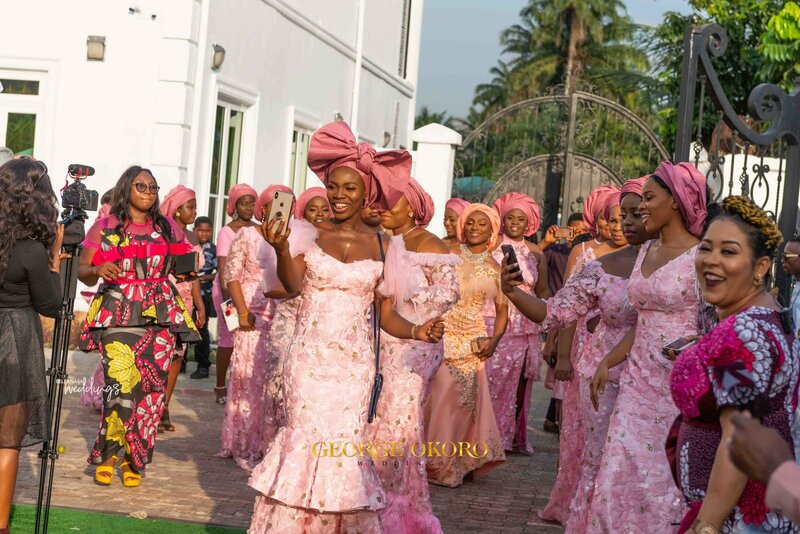 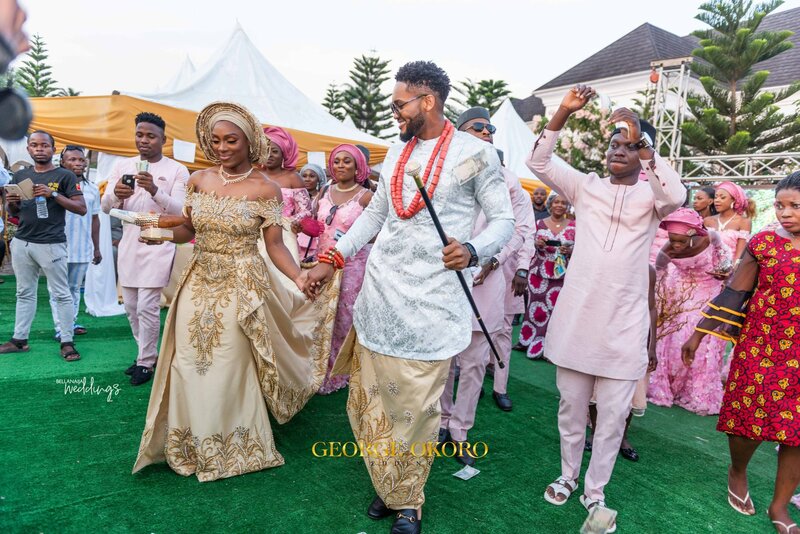 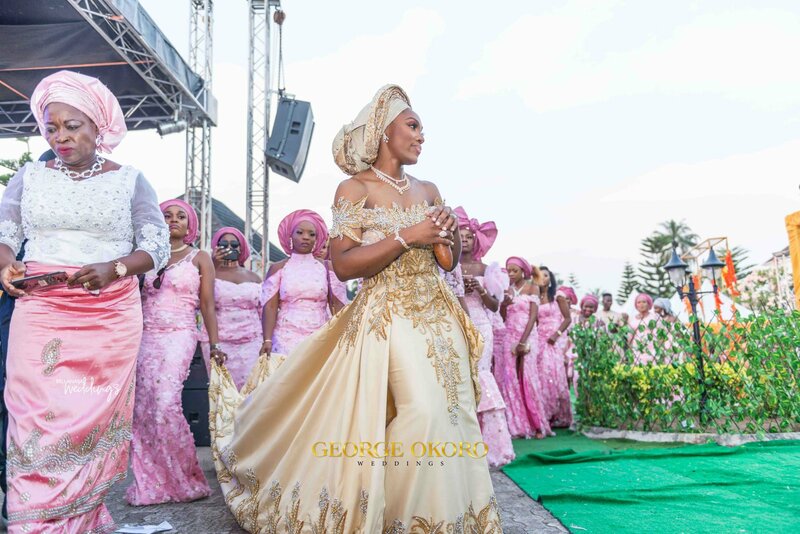 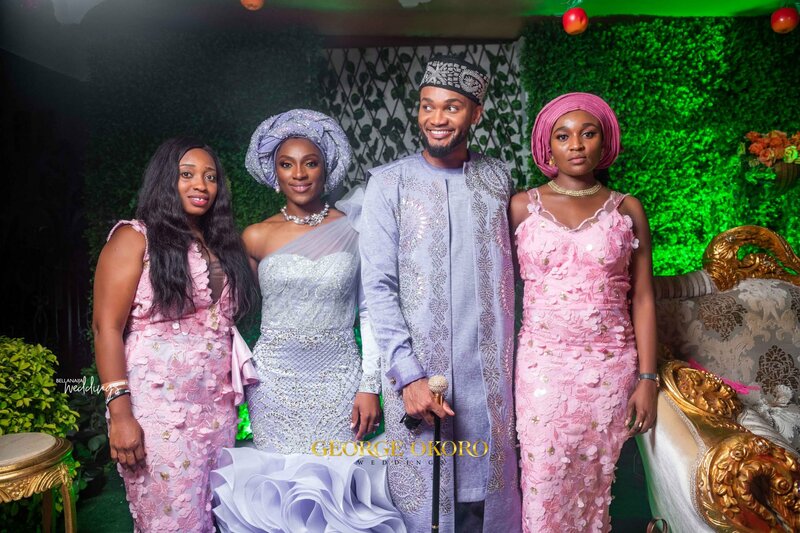 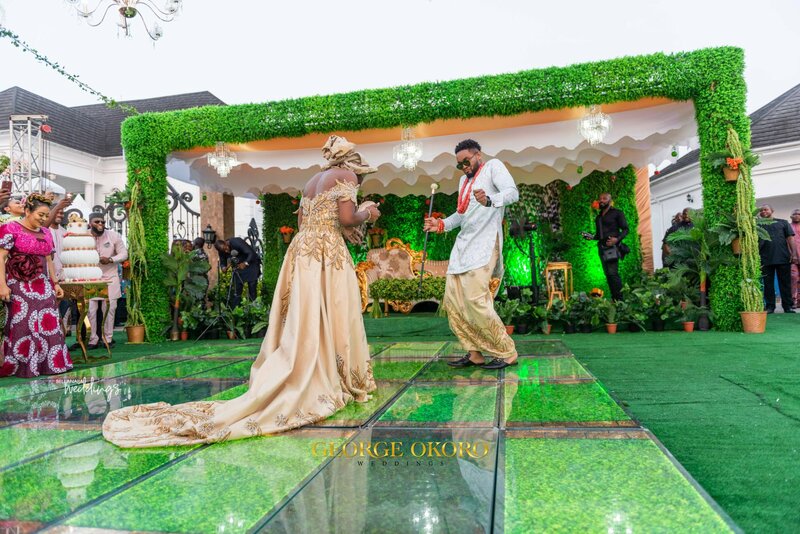 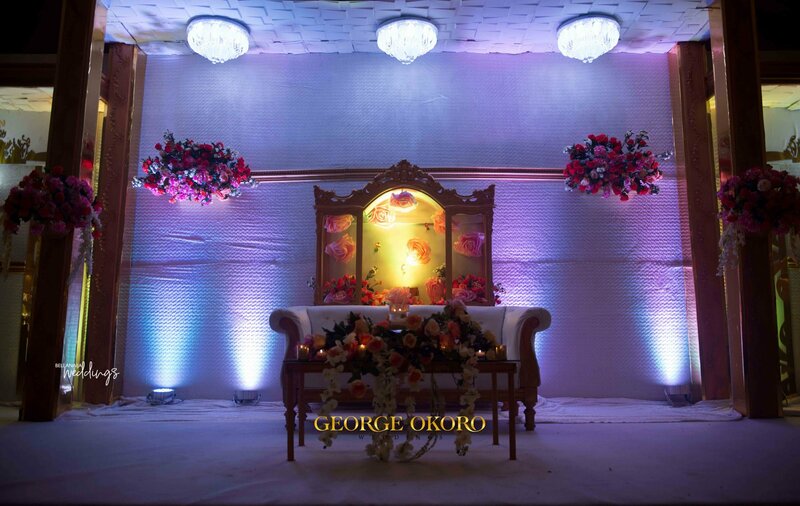 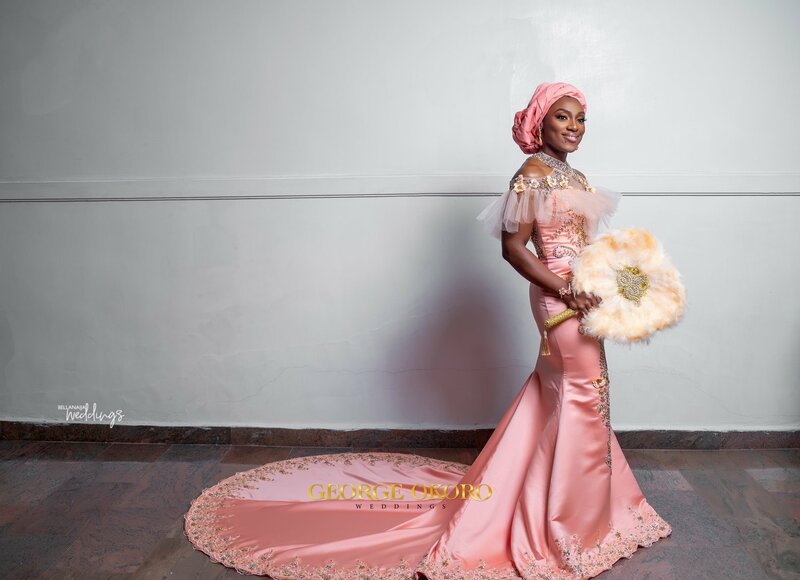 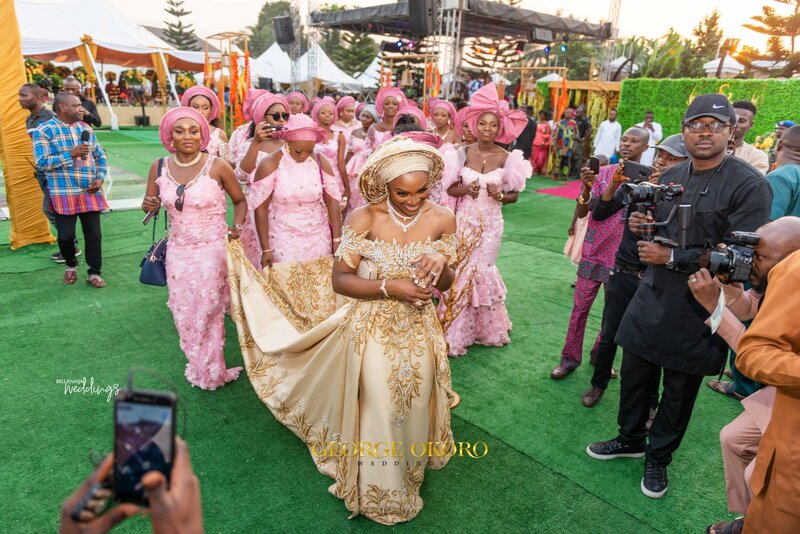 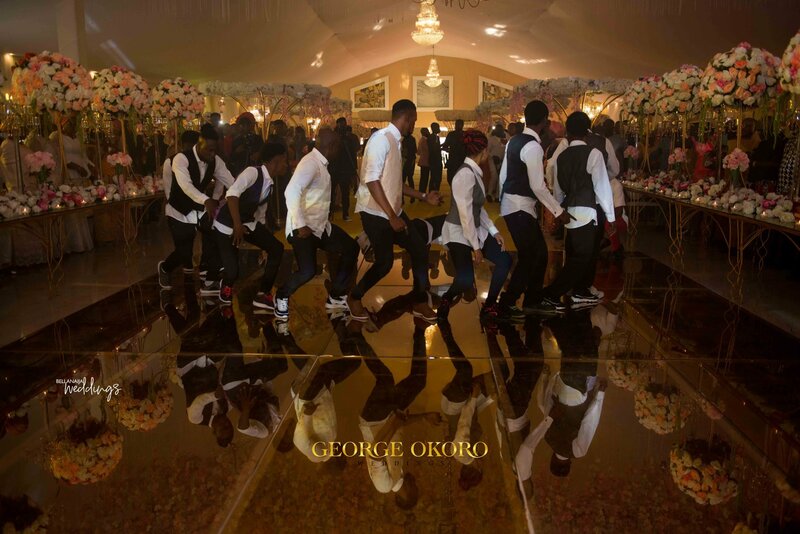 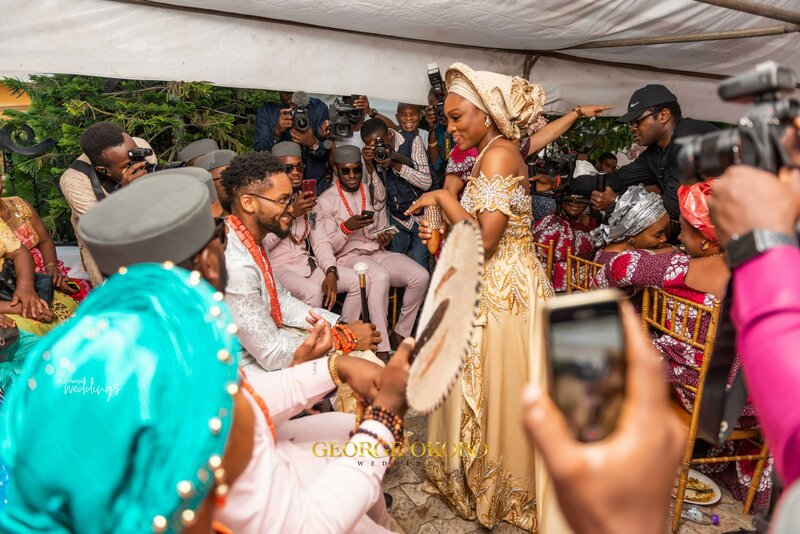 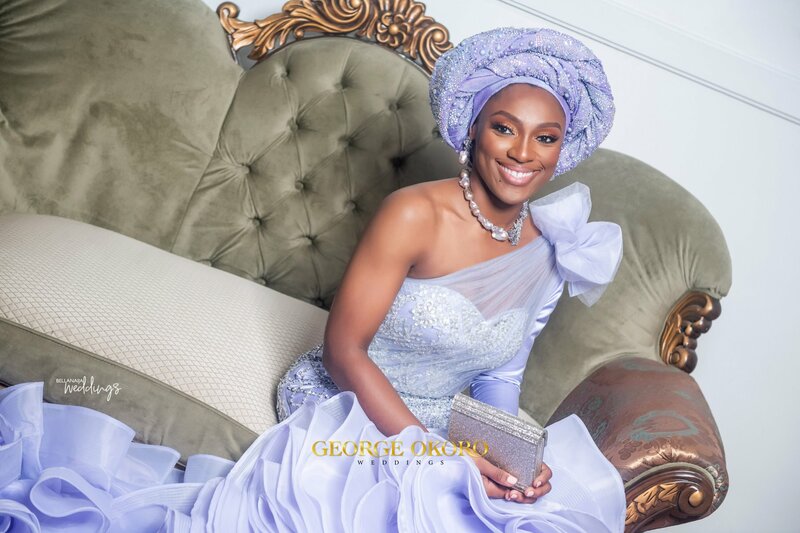 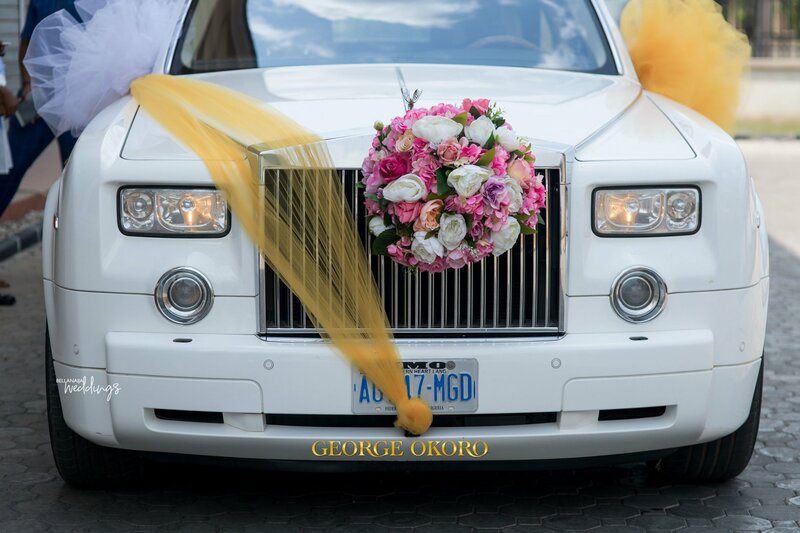 Talk about a wedding that really spotlights the traditions and culture of the Igbos, this wedding is one. 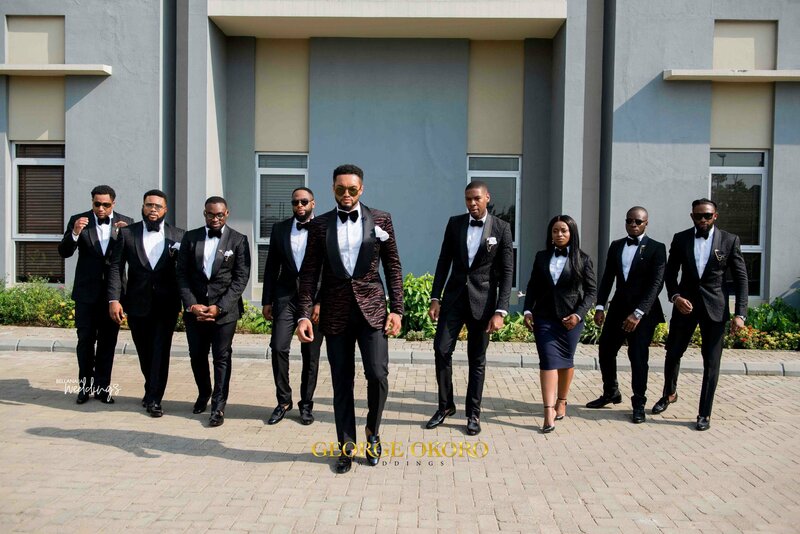 When it came to their style, you should give it up for them. 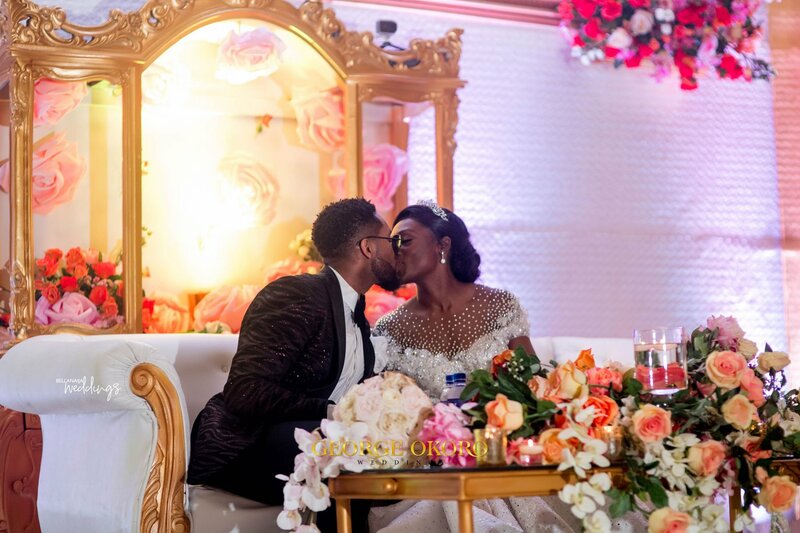 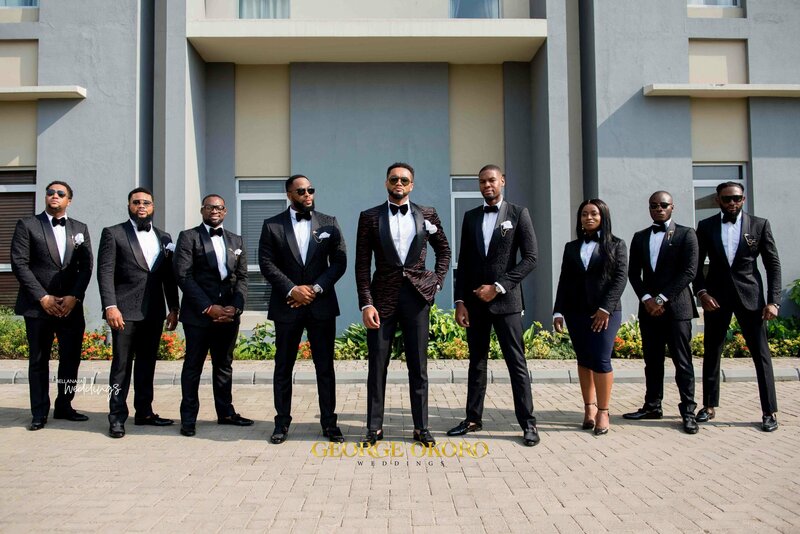 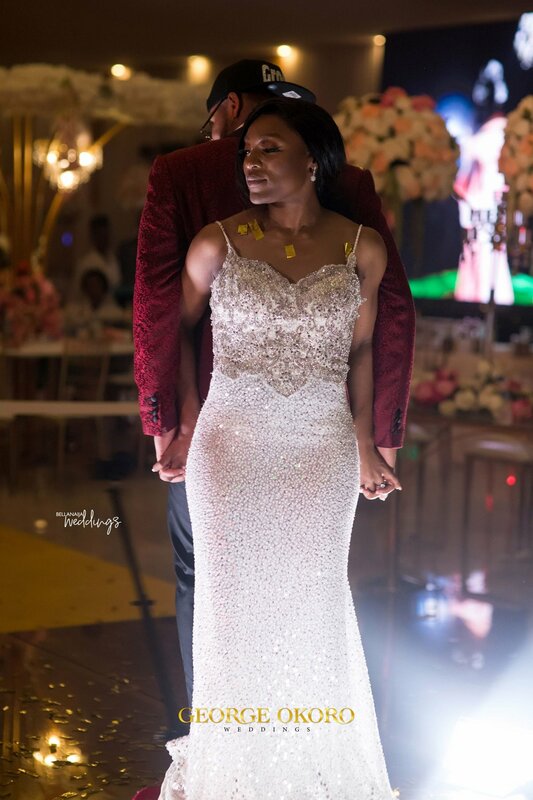 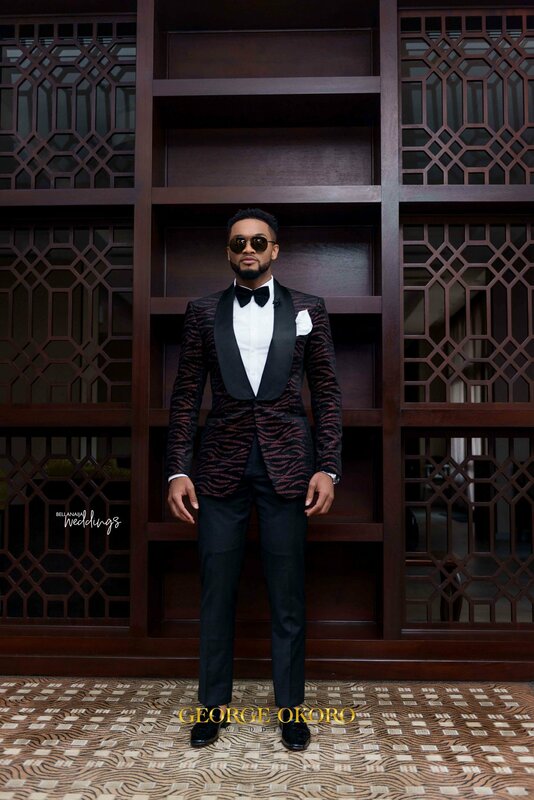 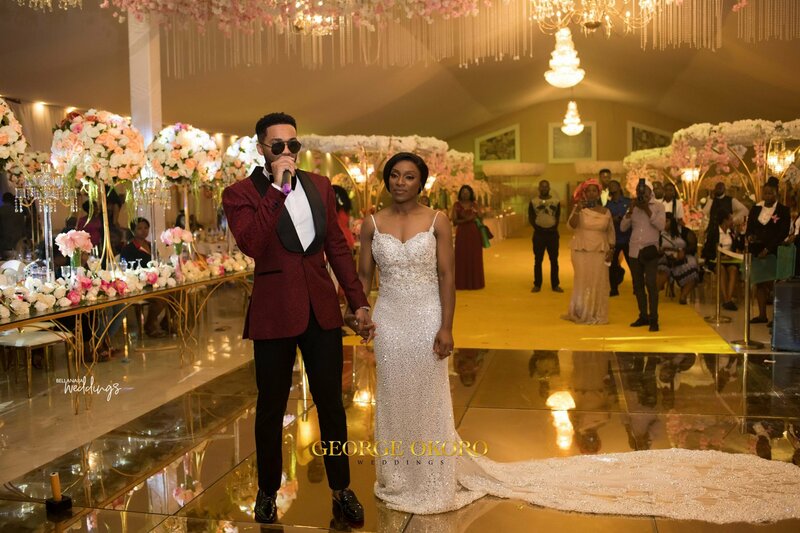 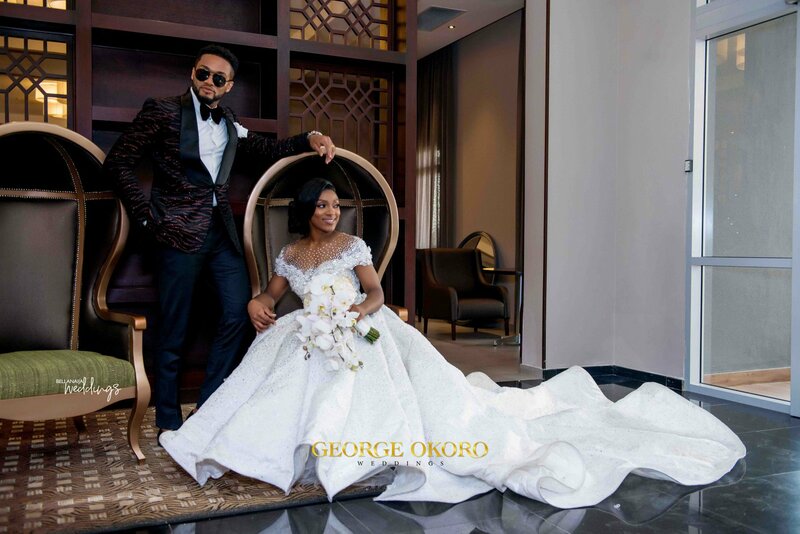 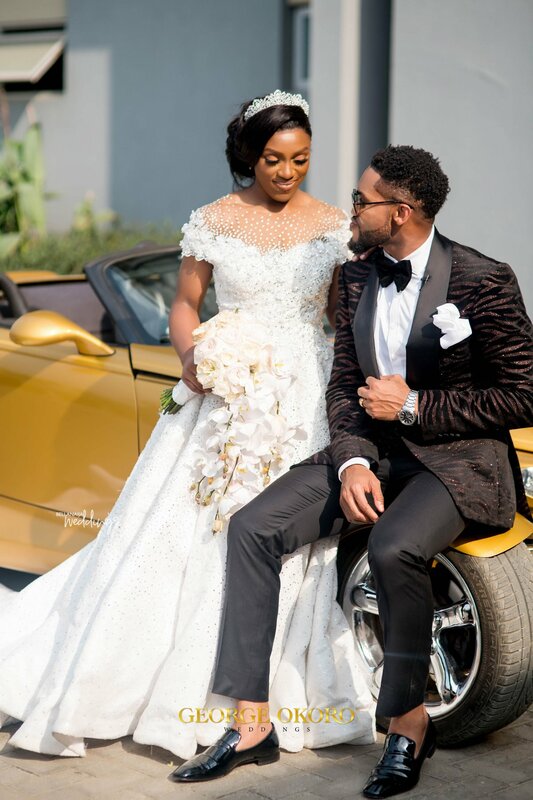 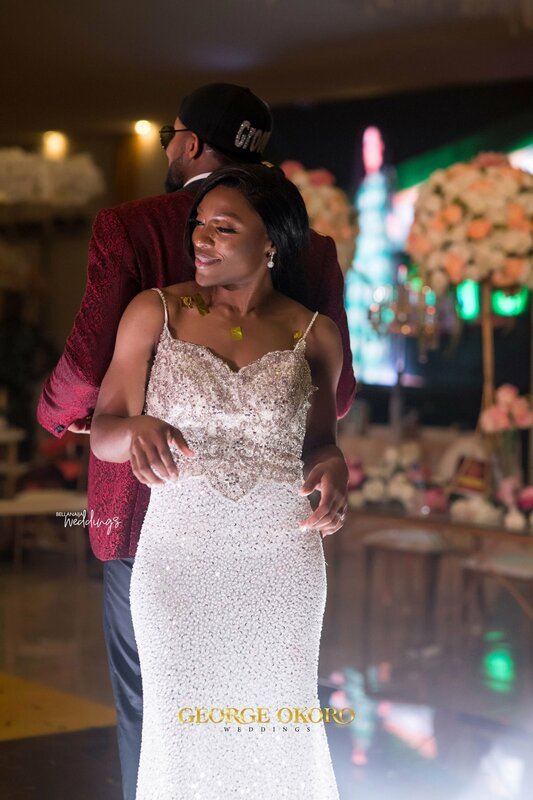 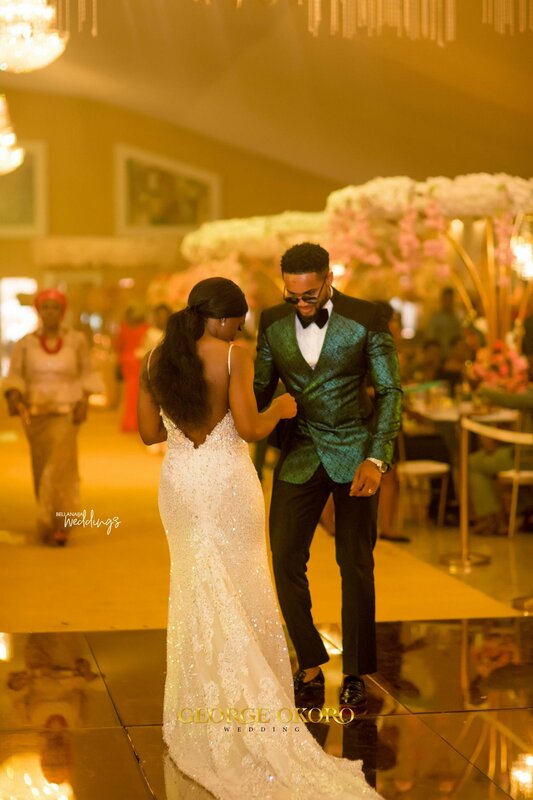 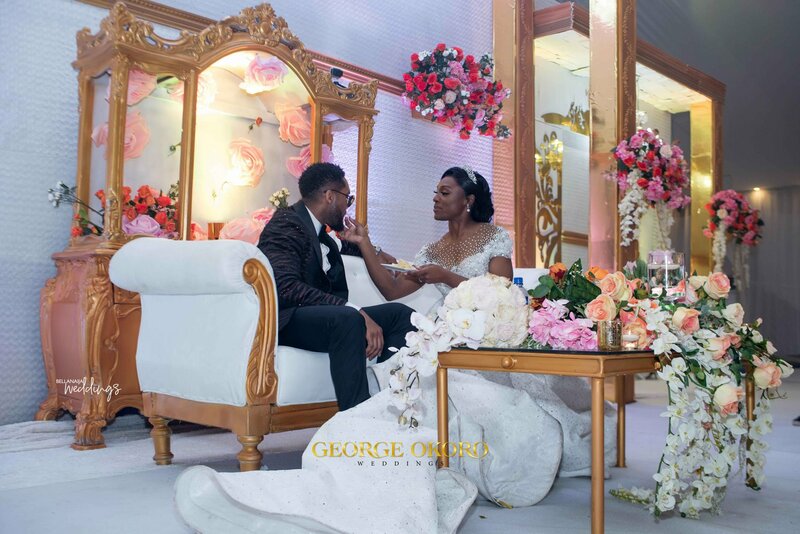 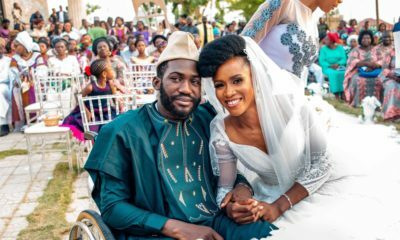 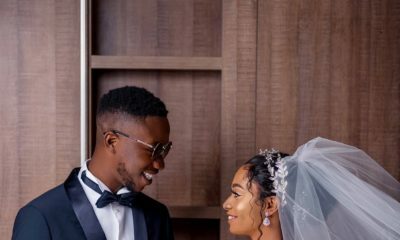 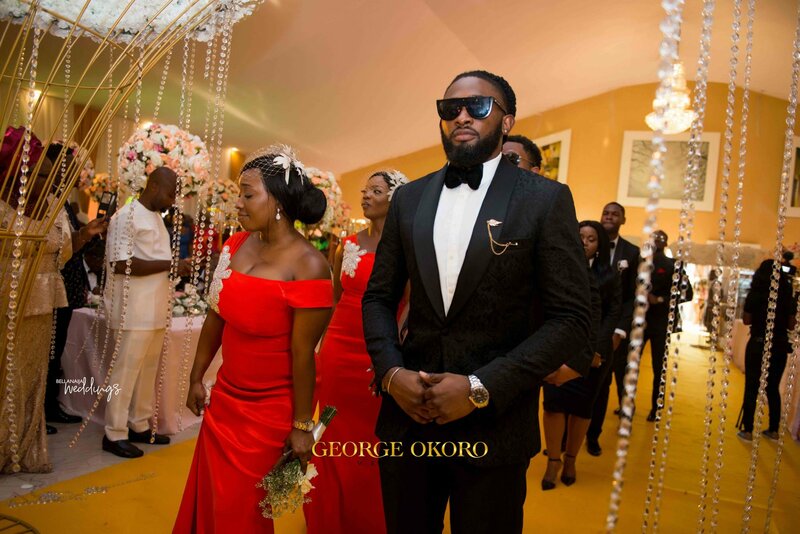 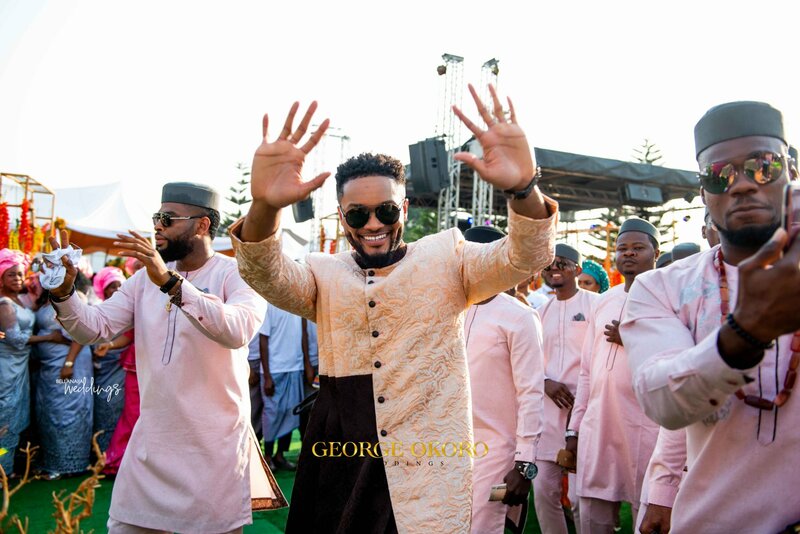 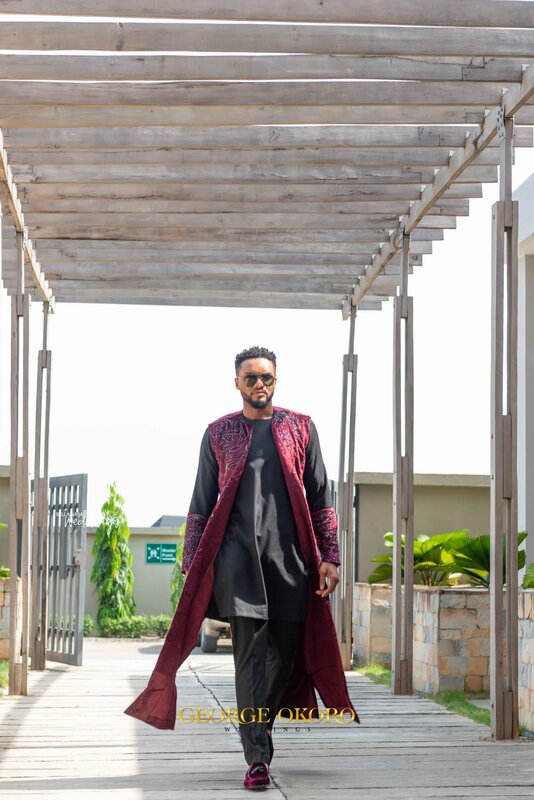 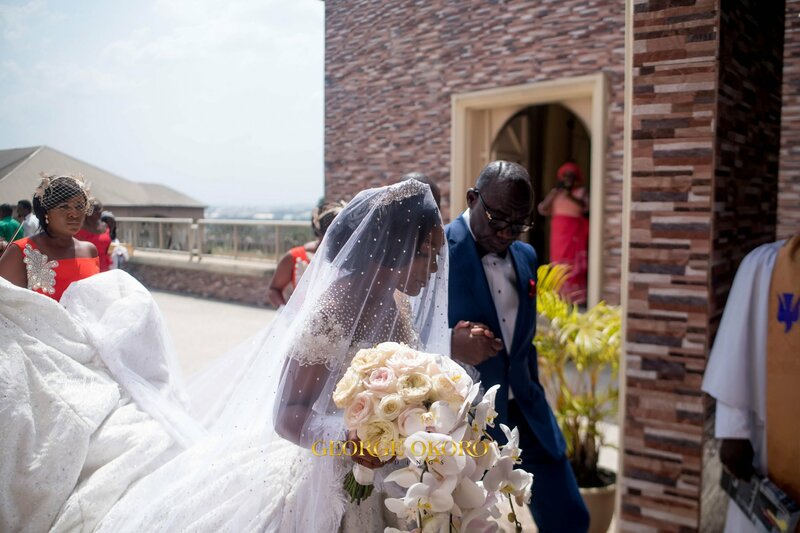 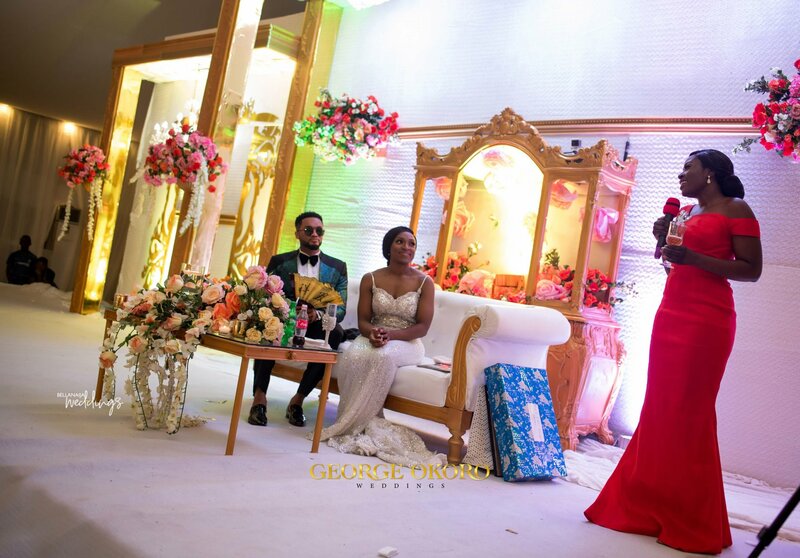 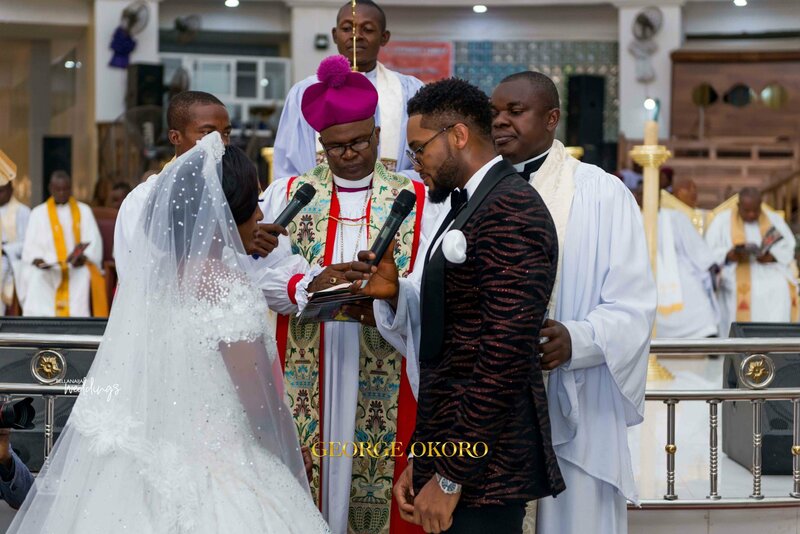 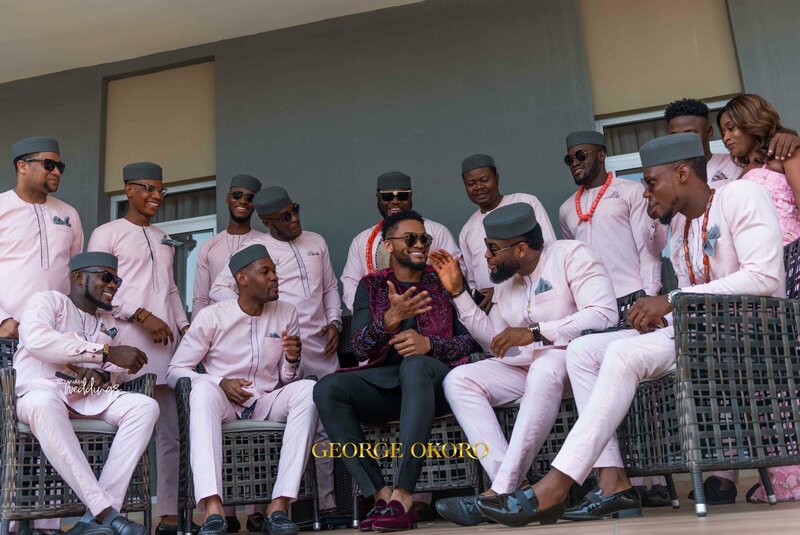 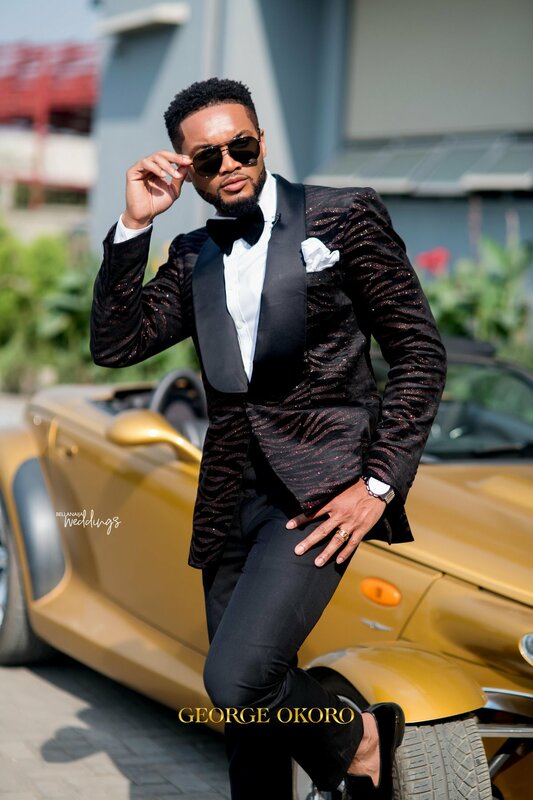 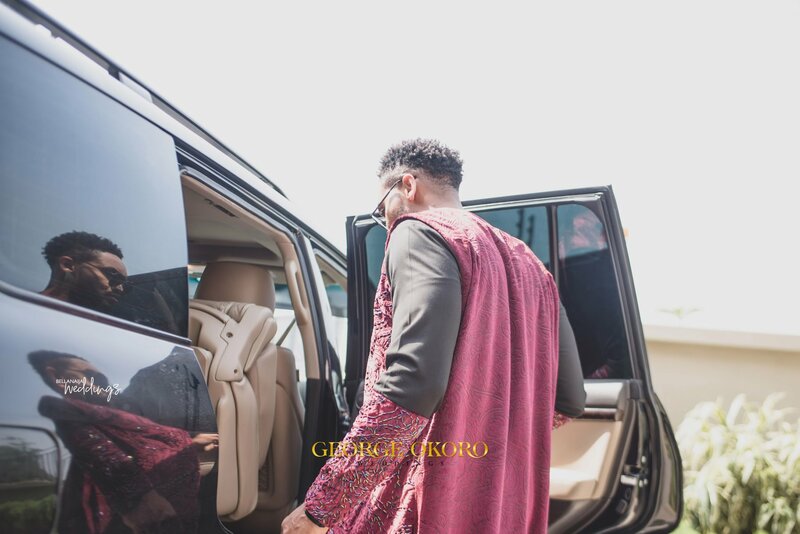 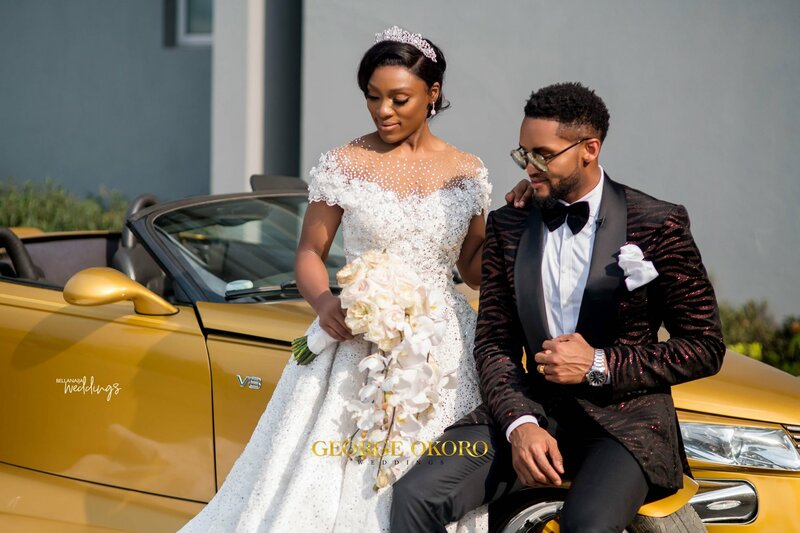 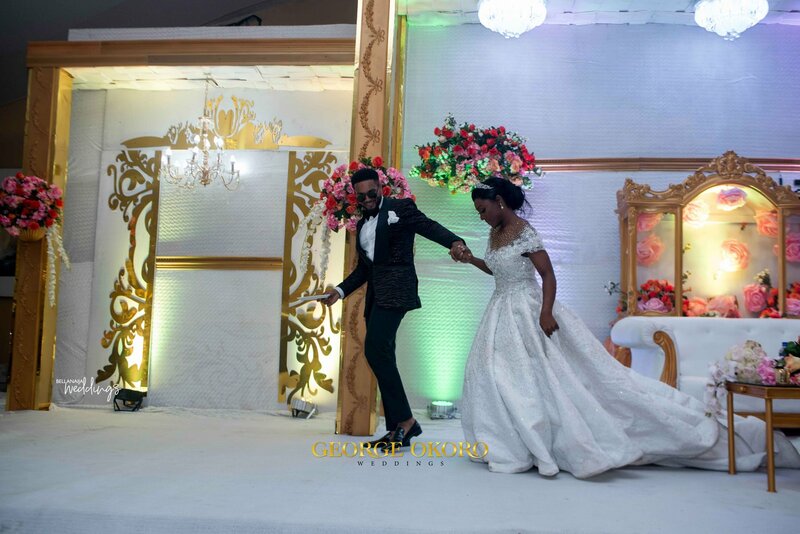 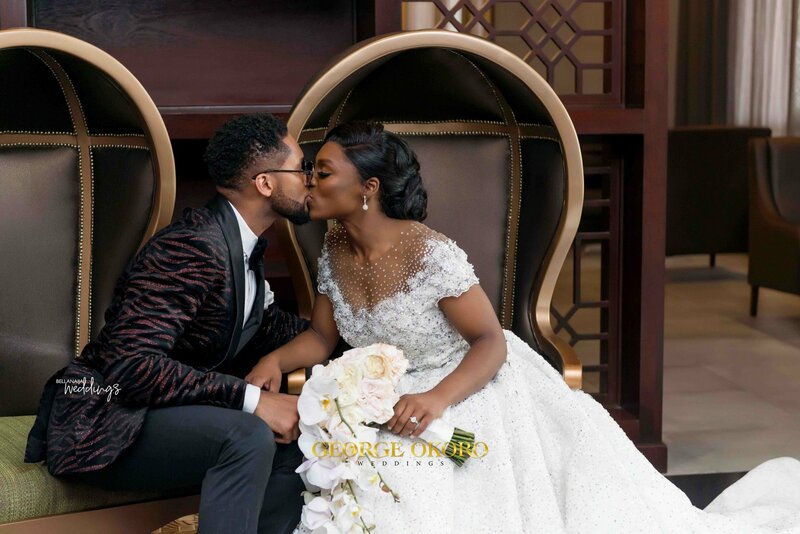 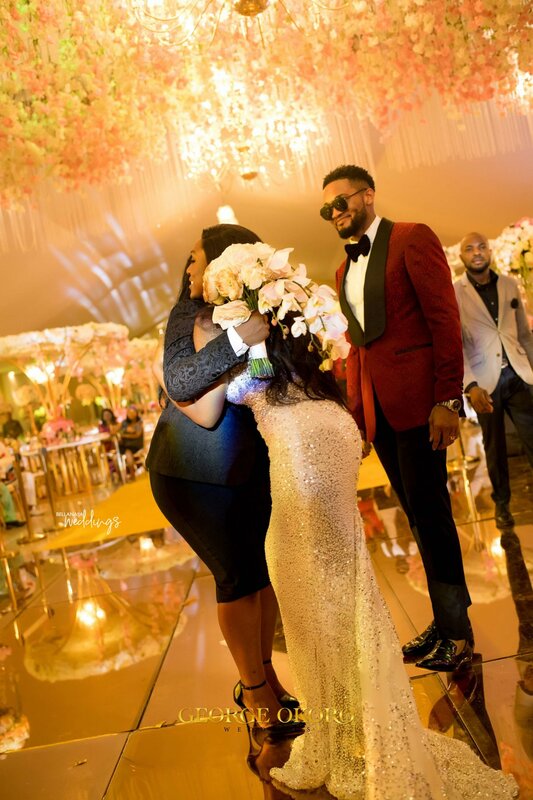 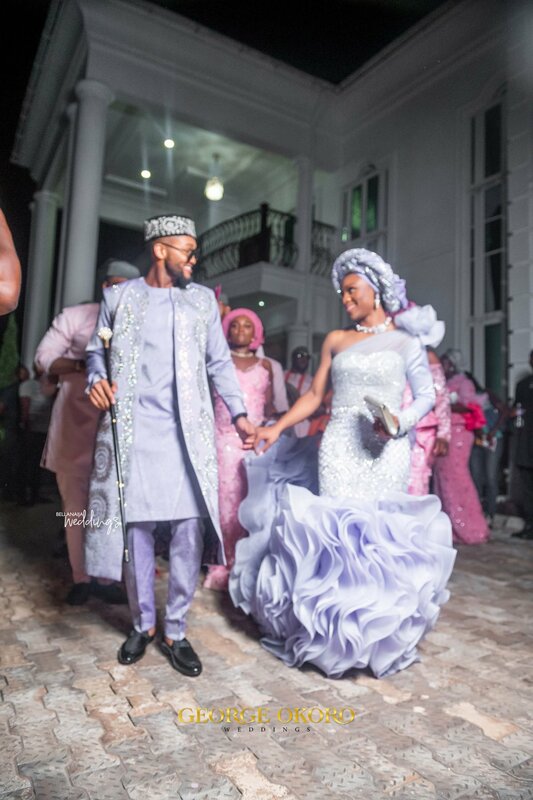 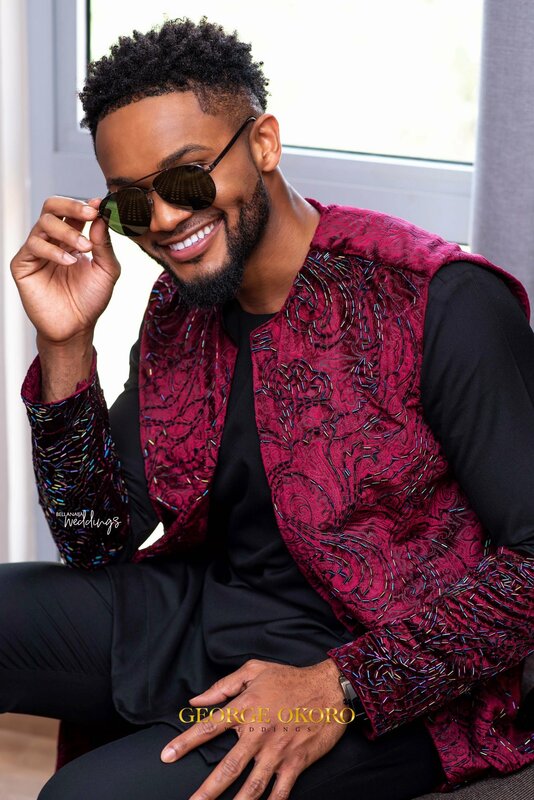 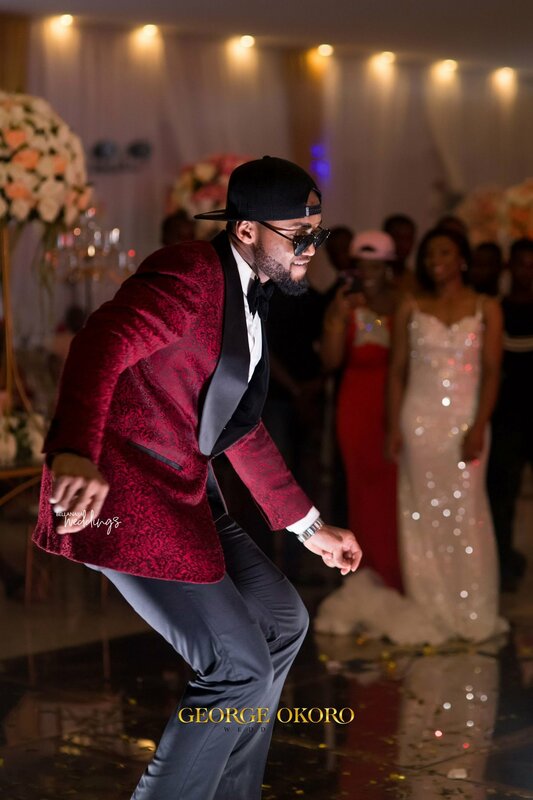 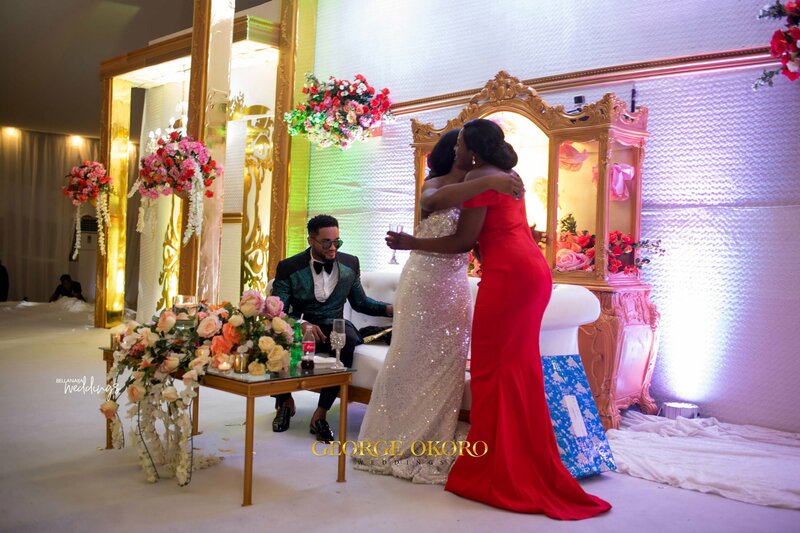 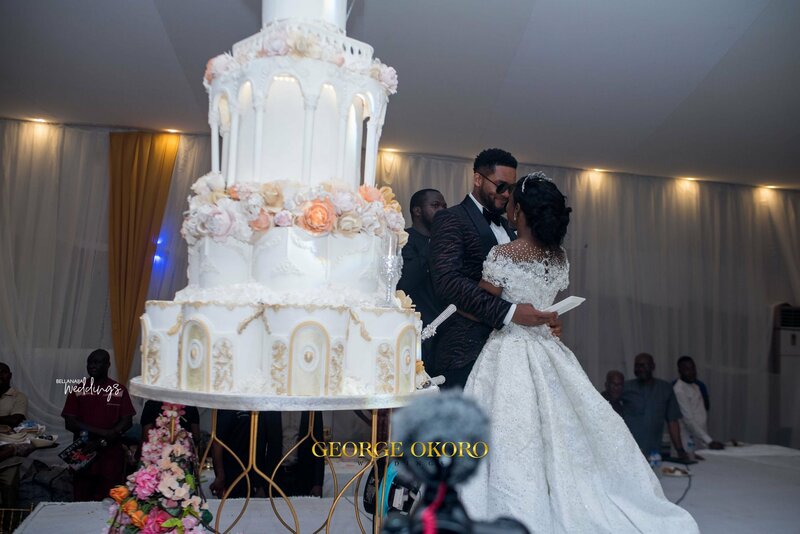 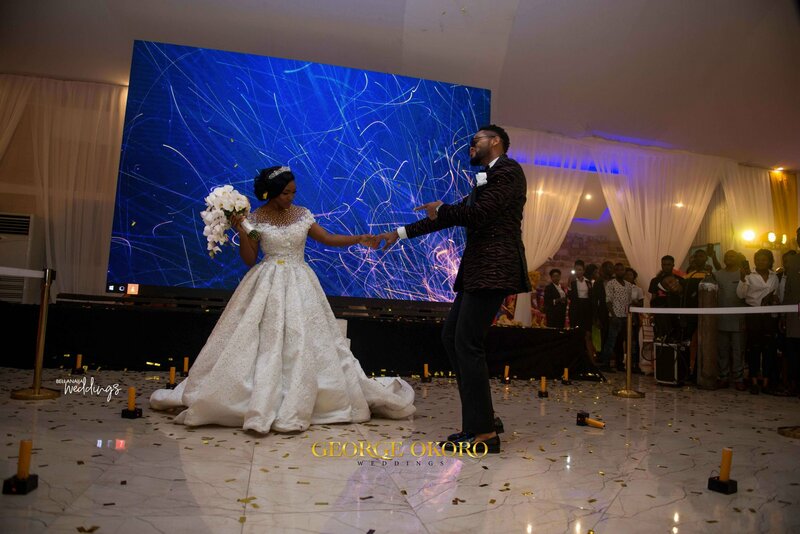 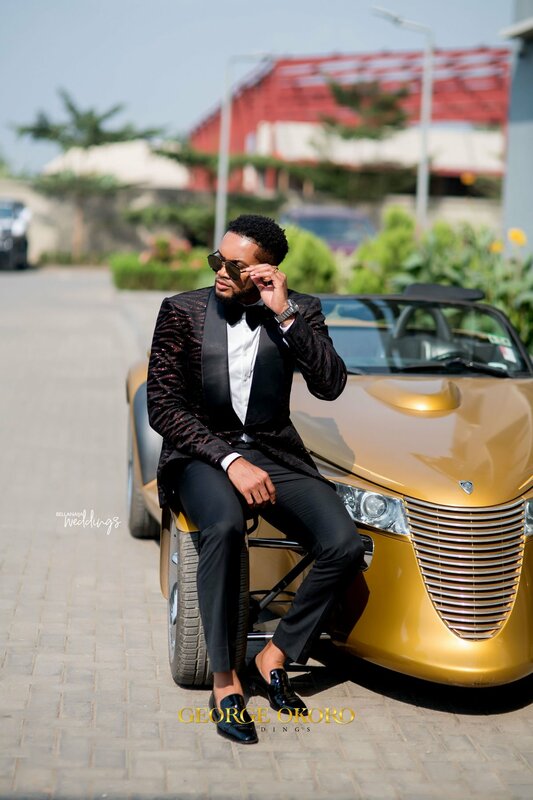 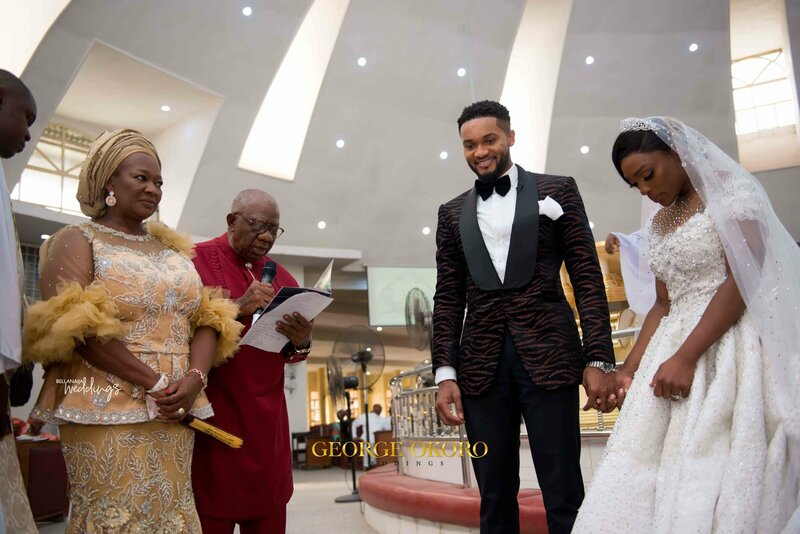 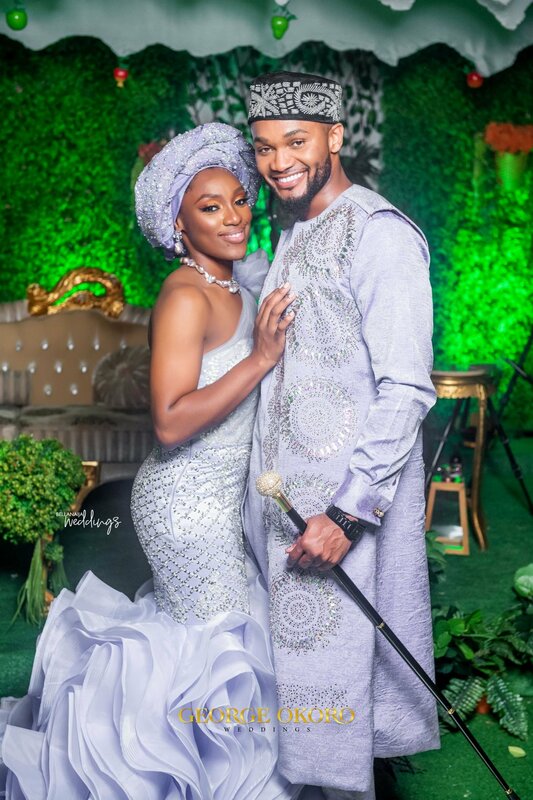 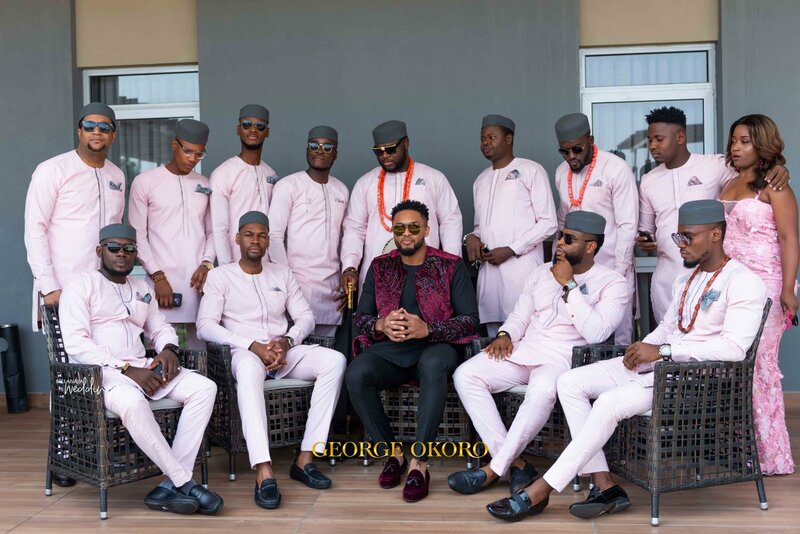 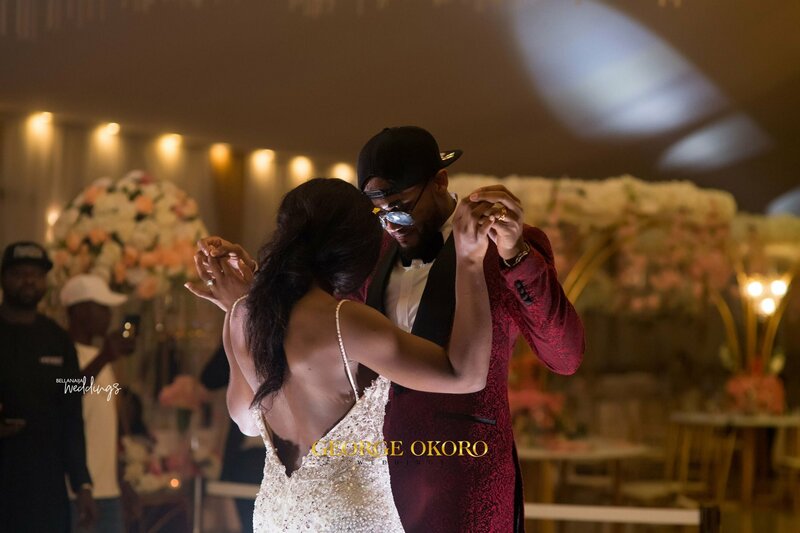 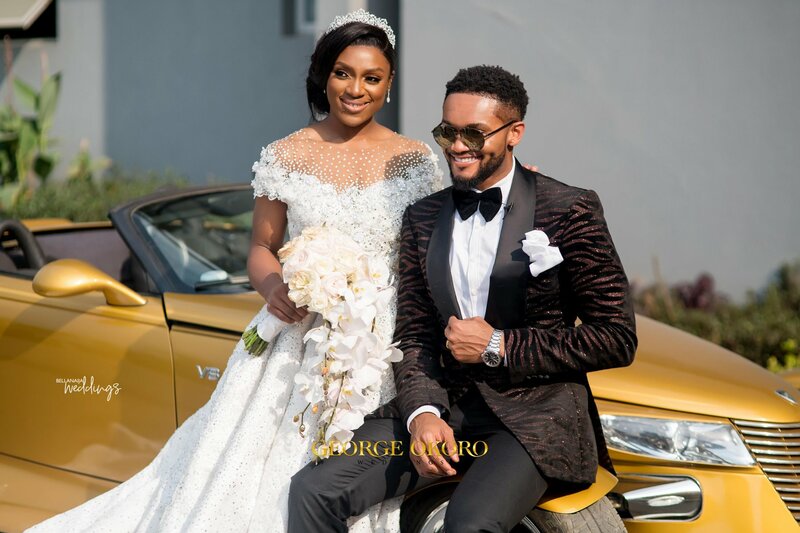 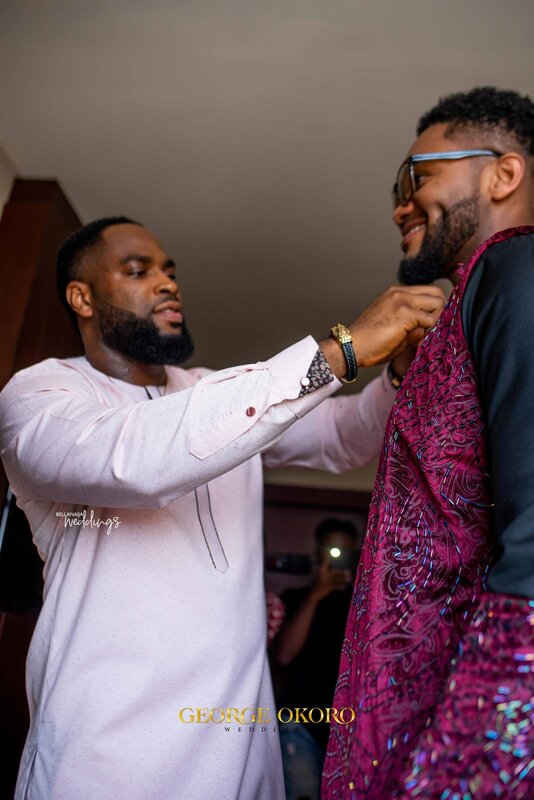 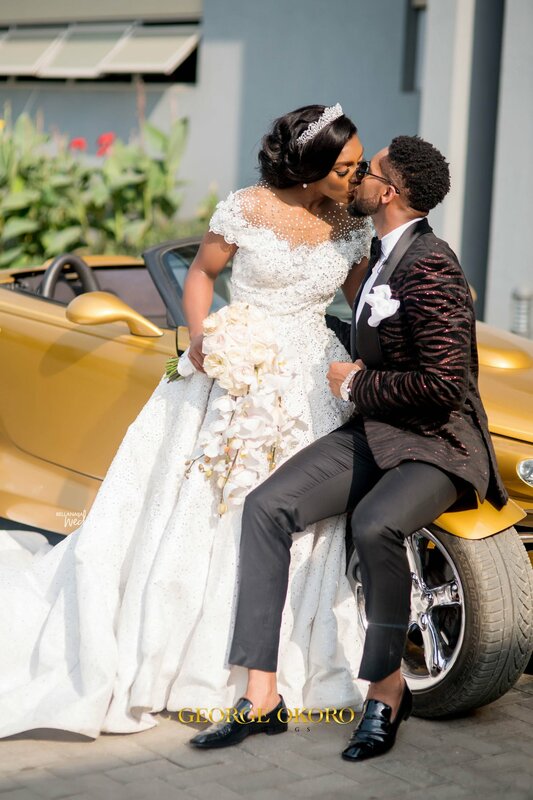 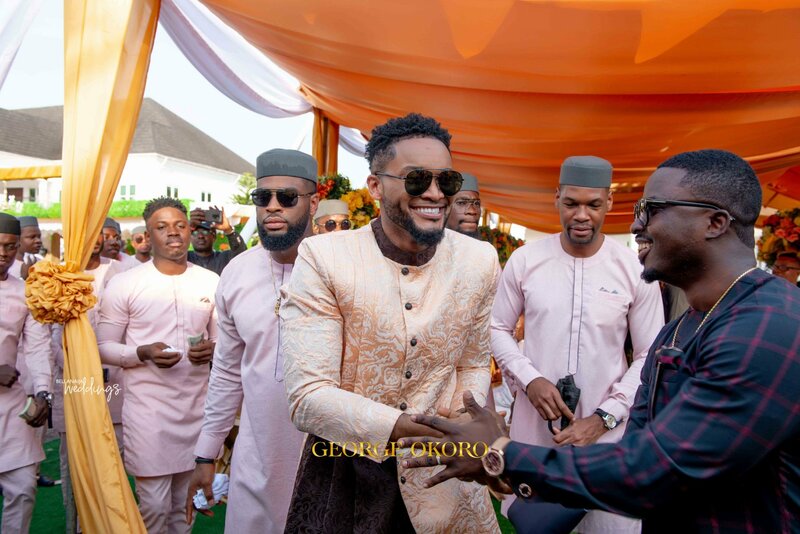 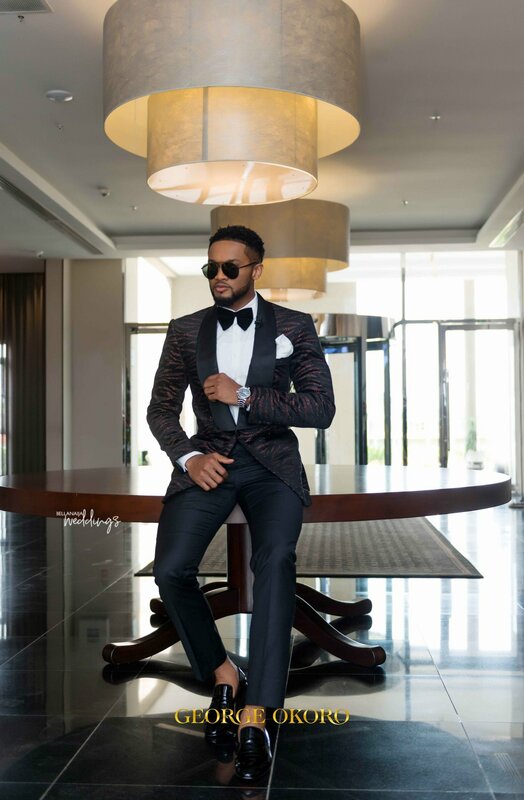 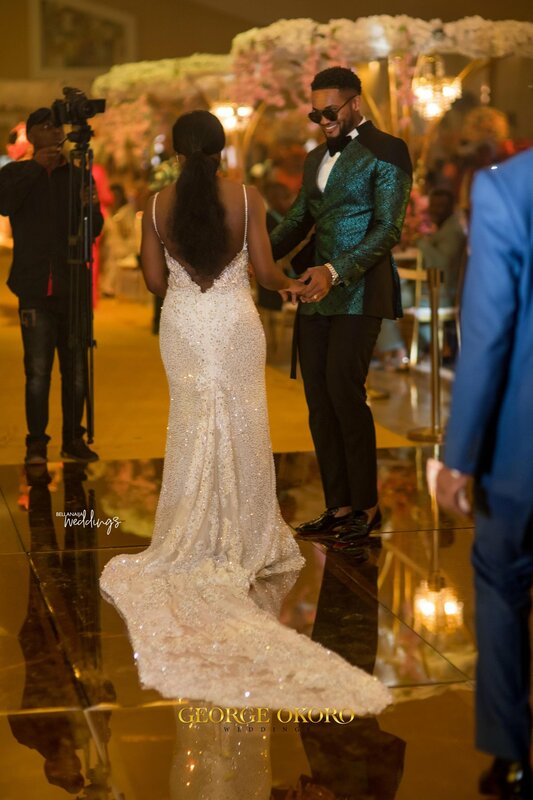 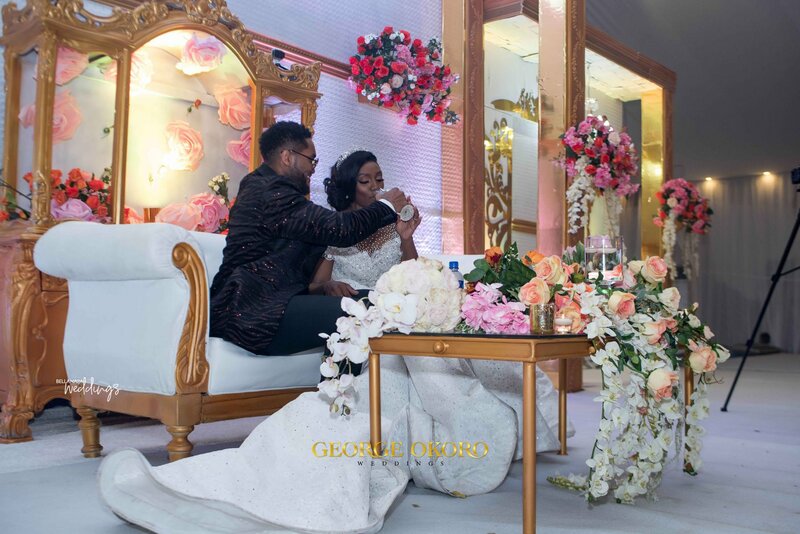 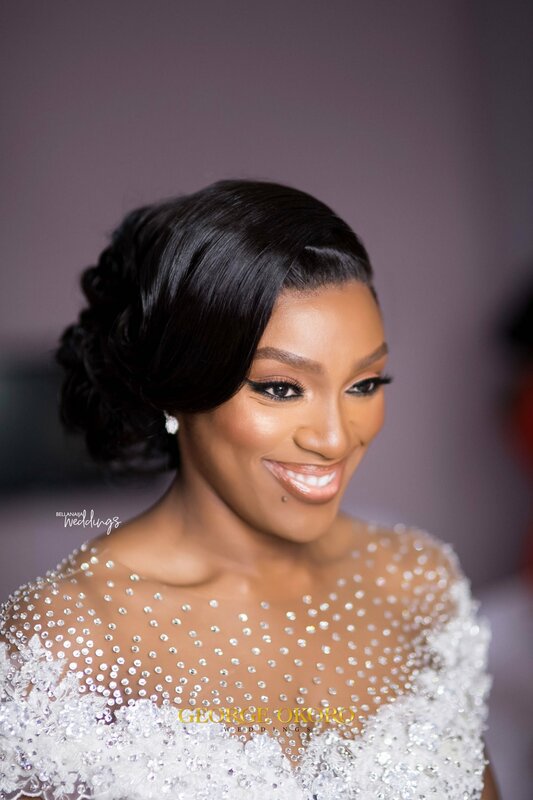 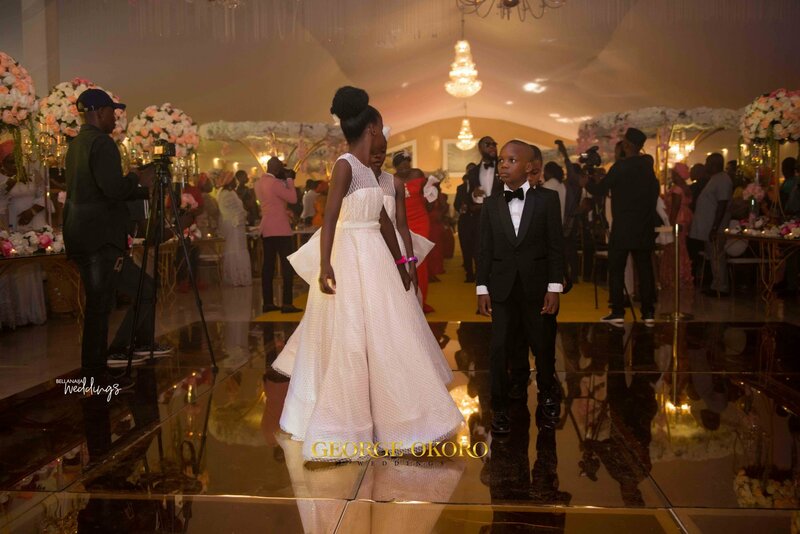 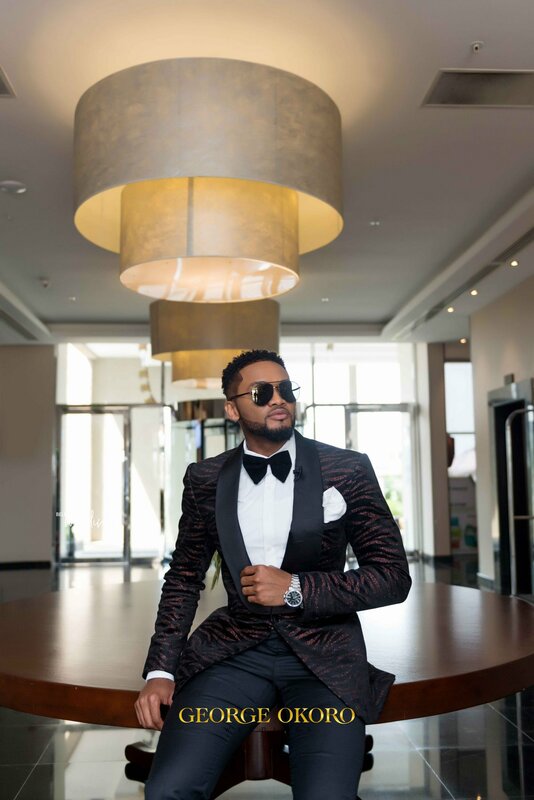 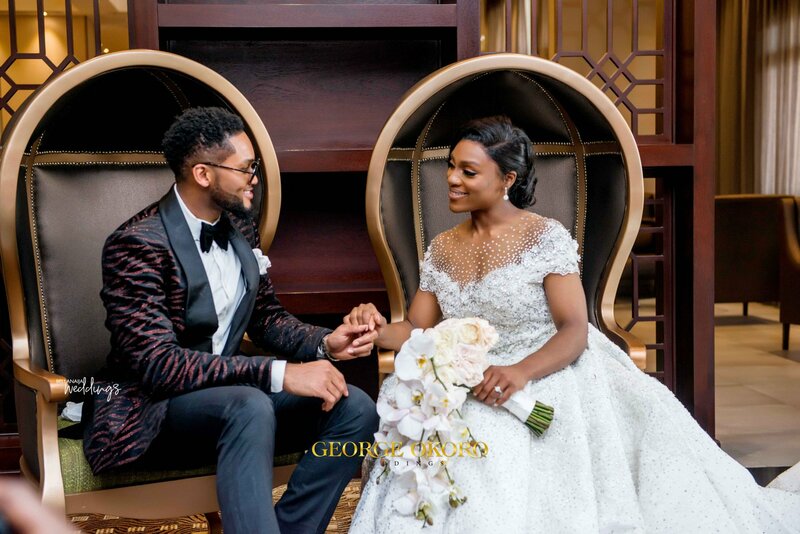 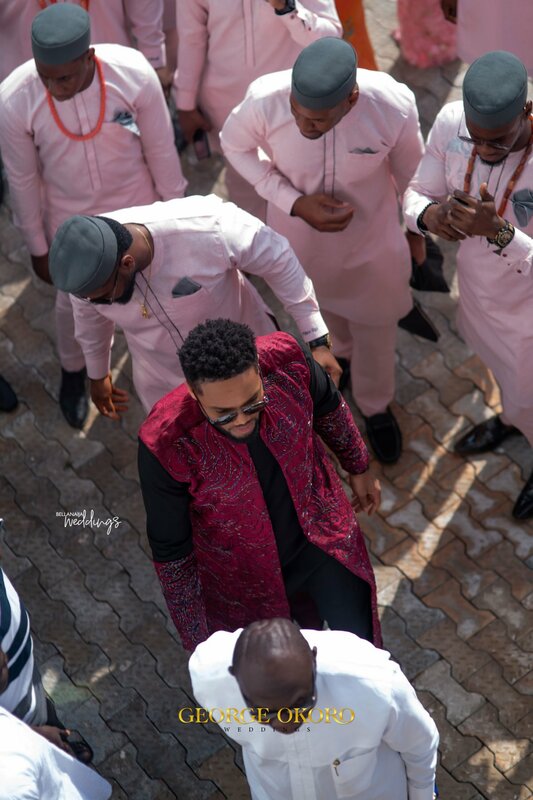 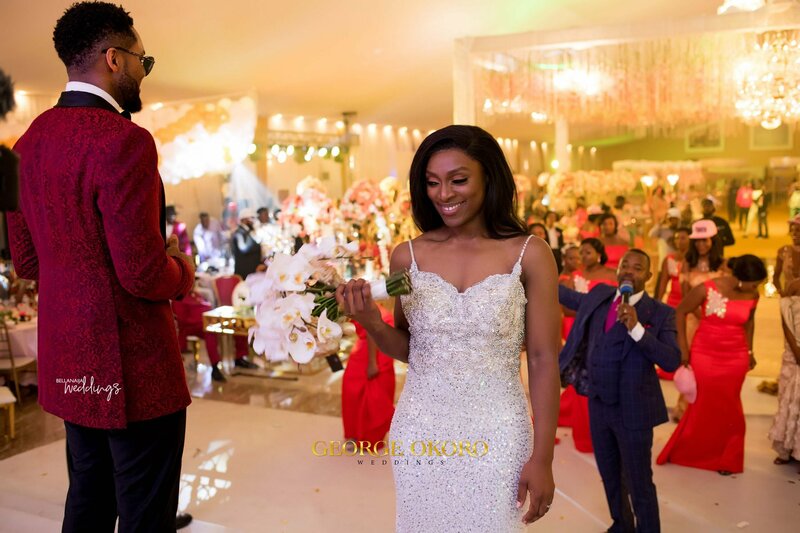 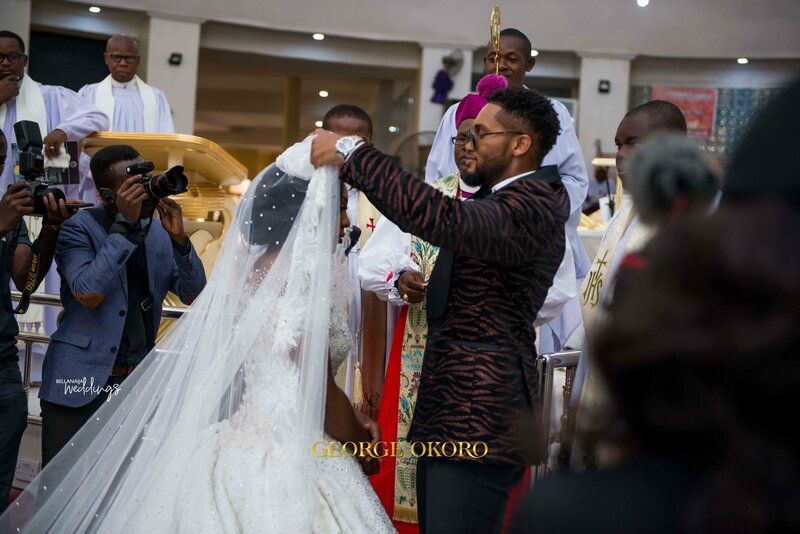 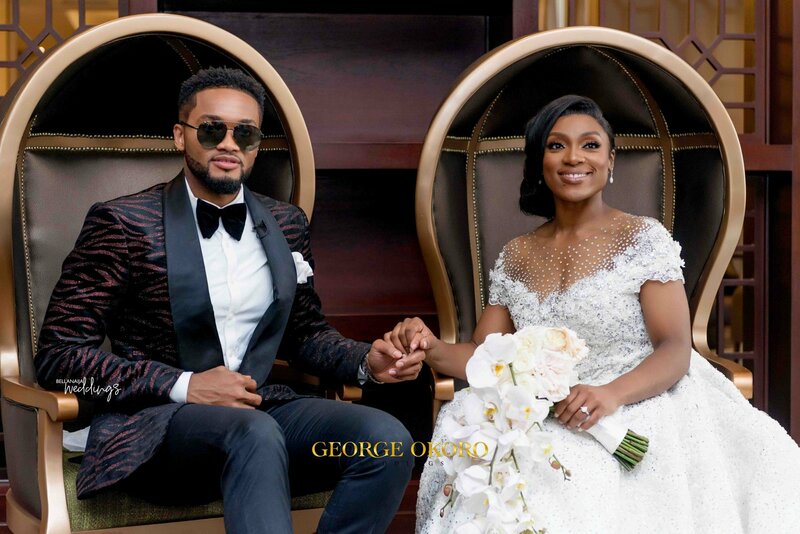 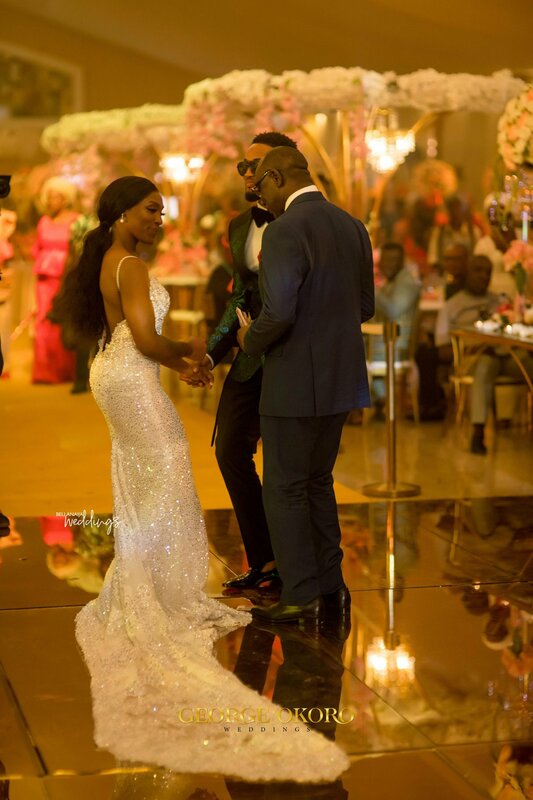 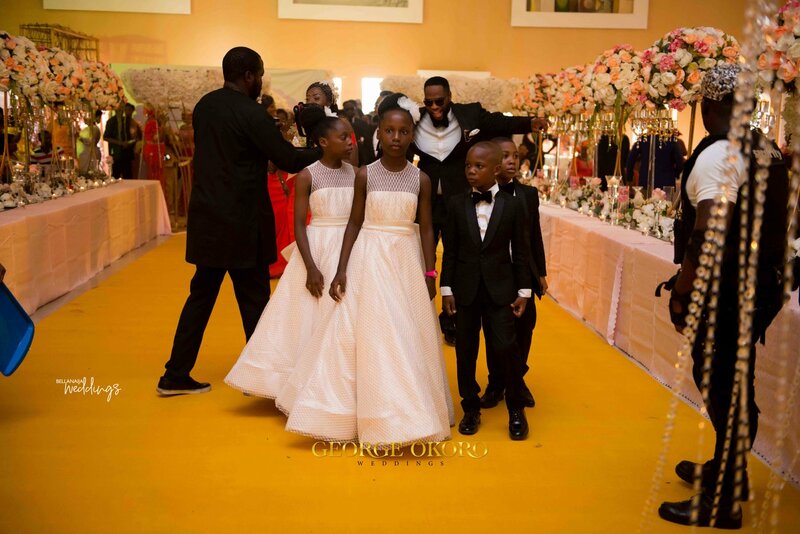 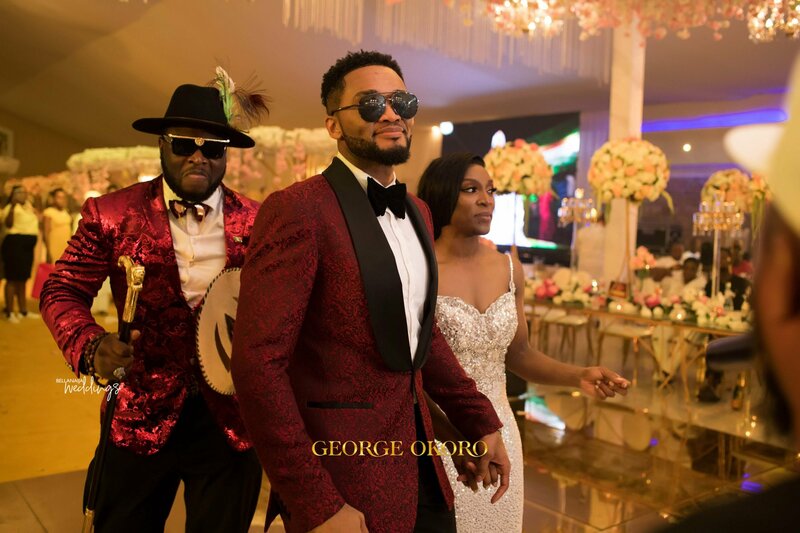 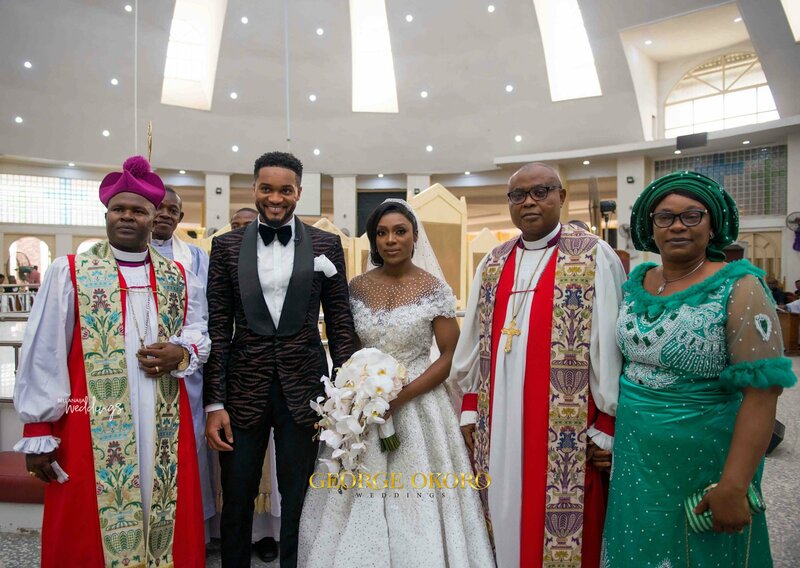 Chukwudi was a complete dapper groom in his tux while his bride was a complete fashion queen in her five eye-catching bridal dresses. 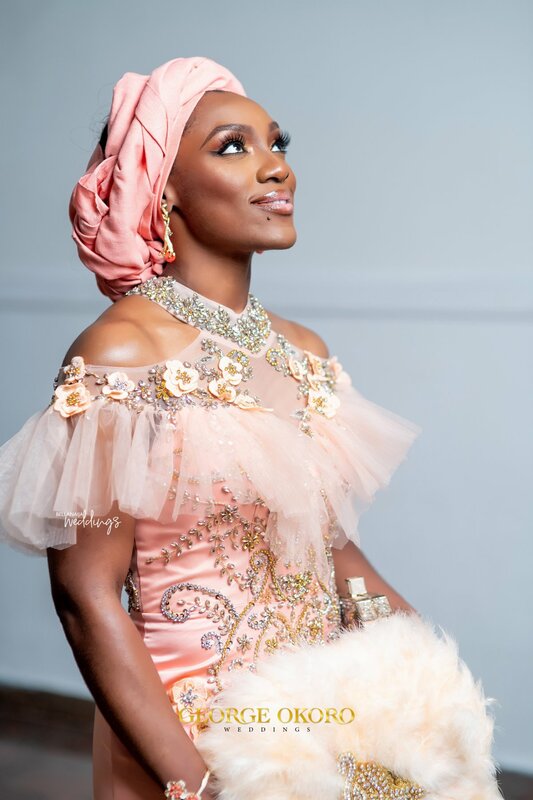 You should check out this feature to see all her looks. 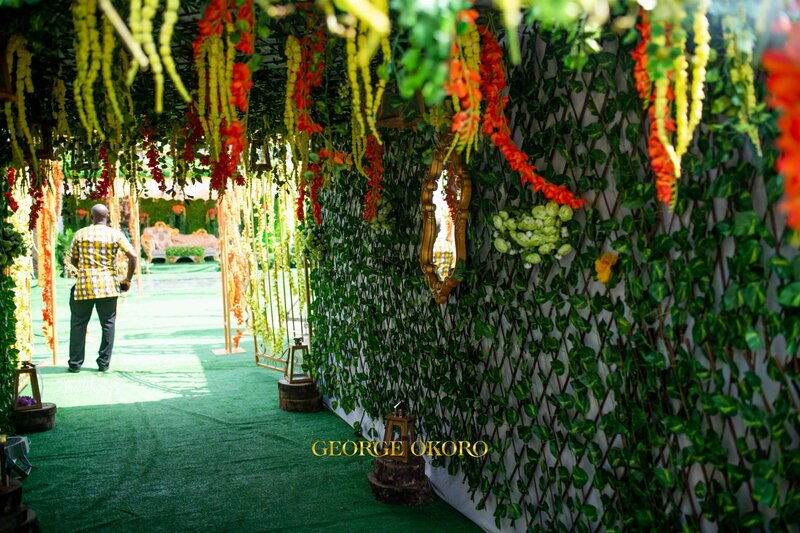 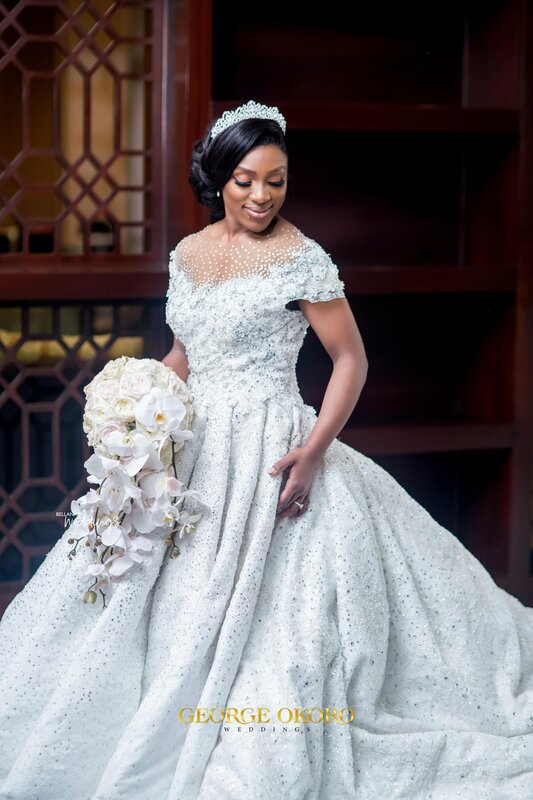 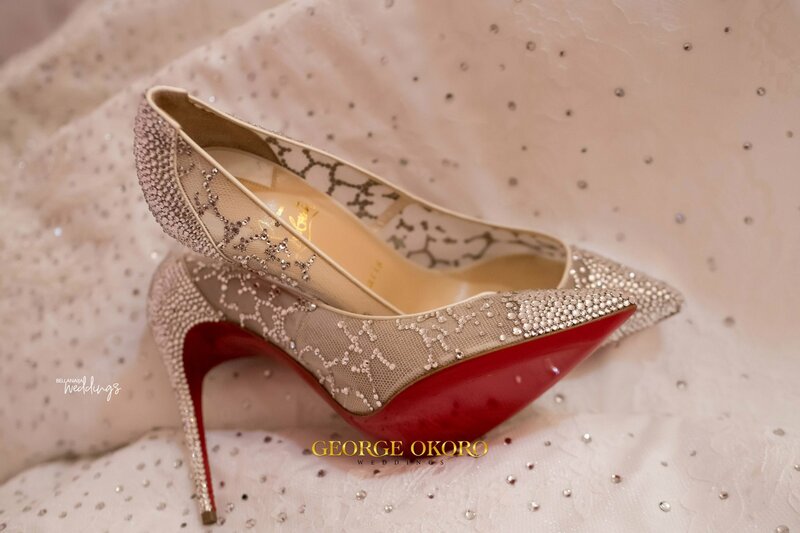 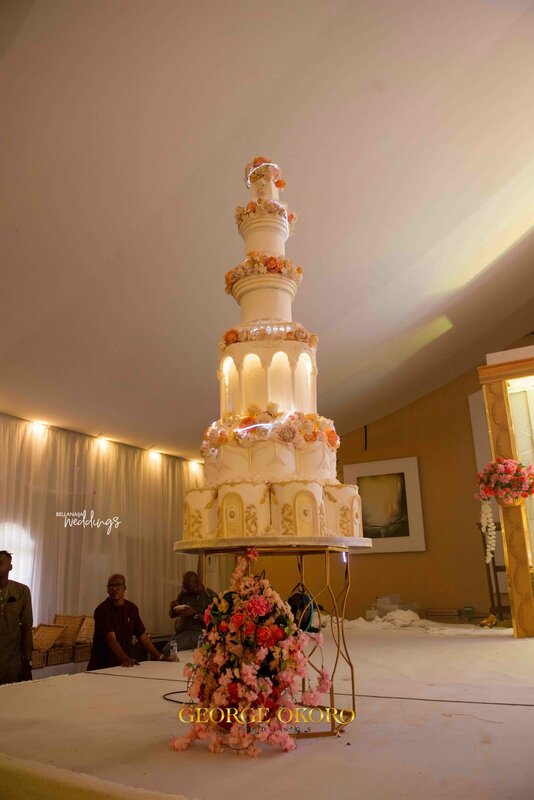 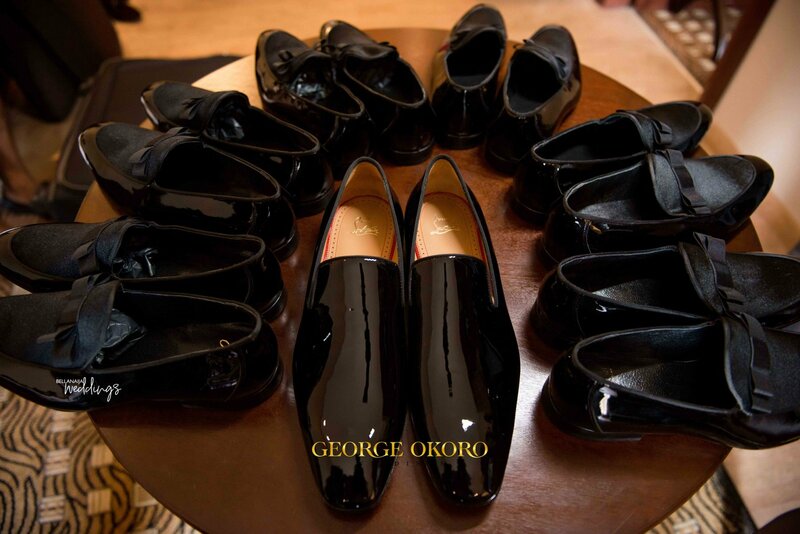 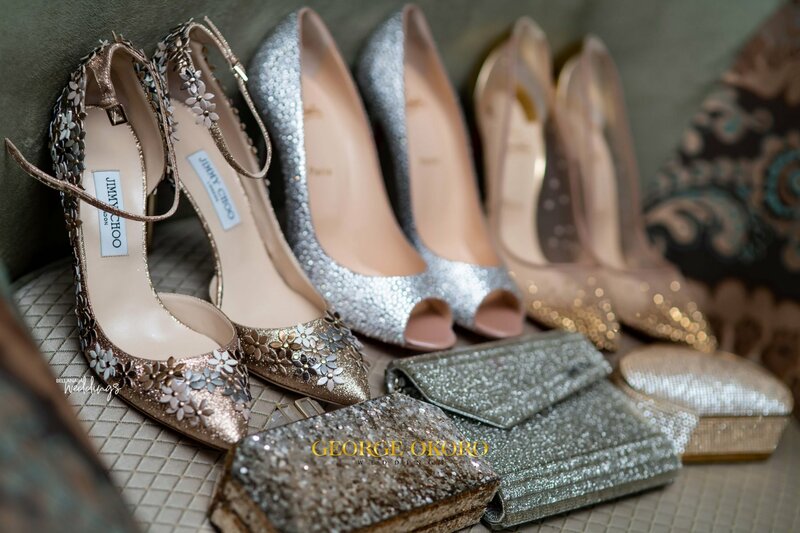 For more wedding contents and inspiration, you know your plug is www.bellanaijaweddings.com. 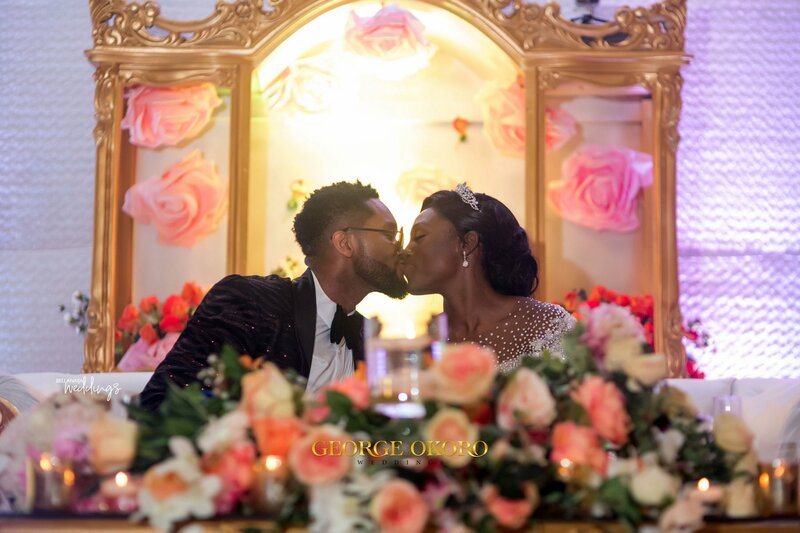 Nyong’s – what make up was off? 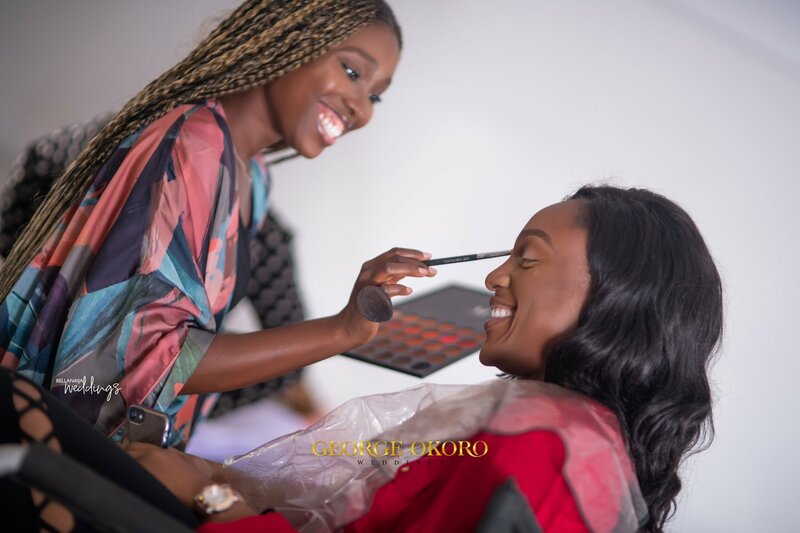 Looks like you like and are used to the face painting and masks people do these days. 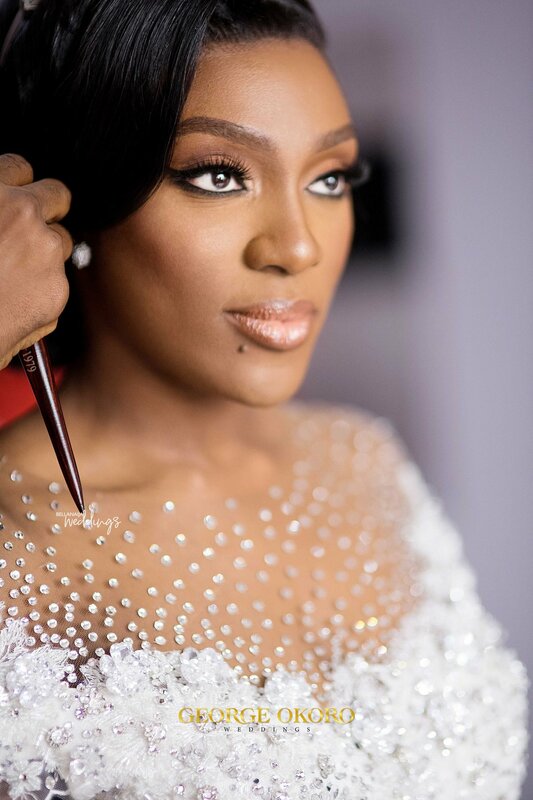 I like the subtlety of her make up.